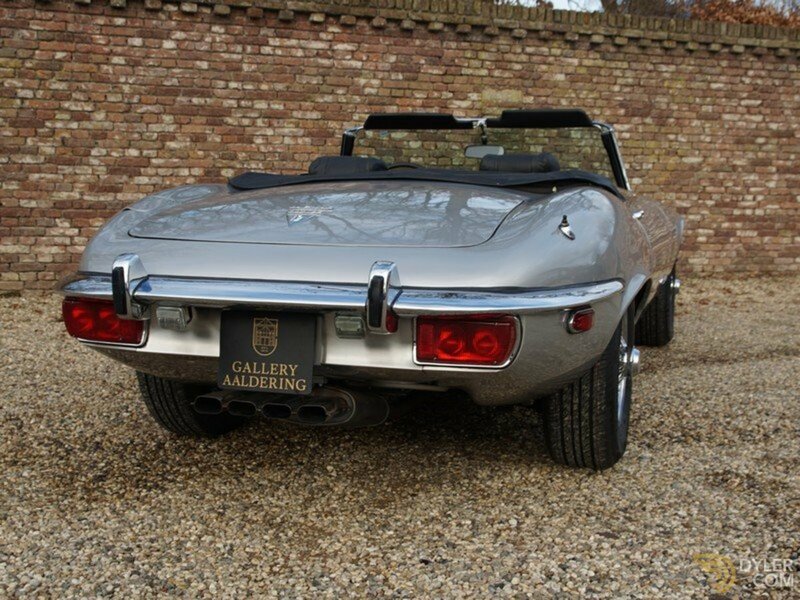 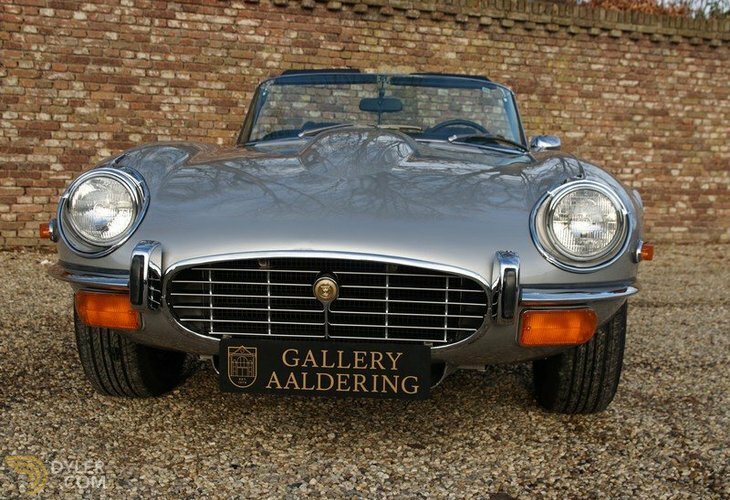 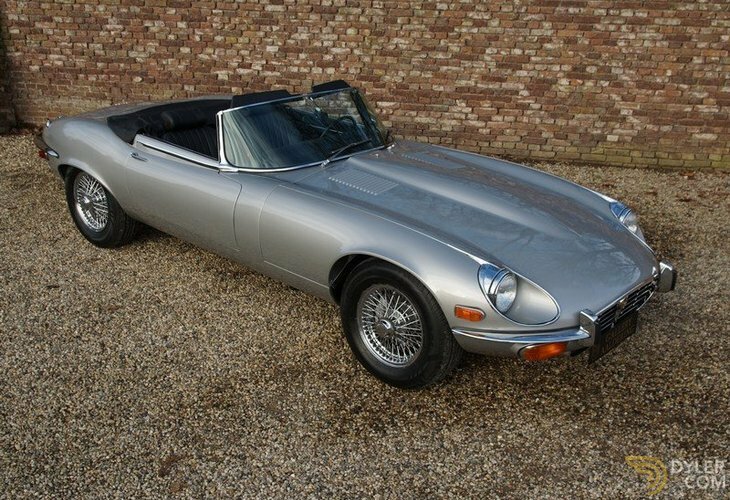 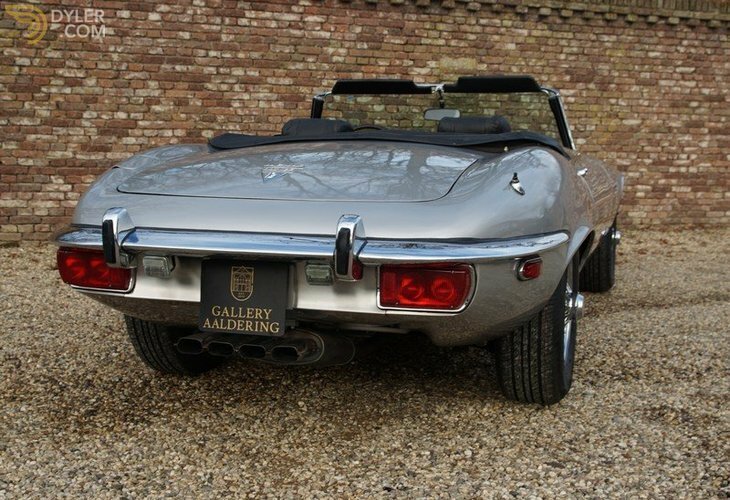 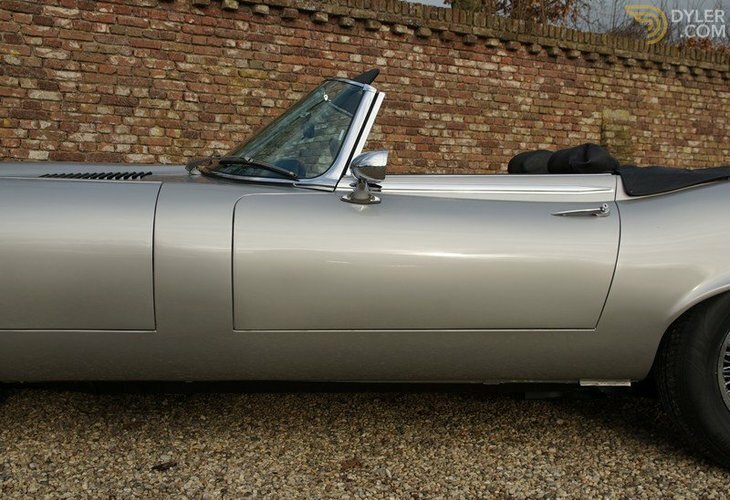 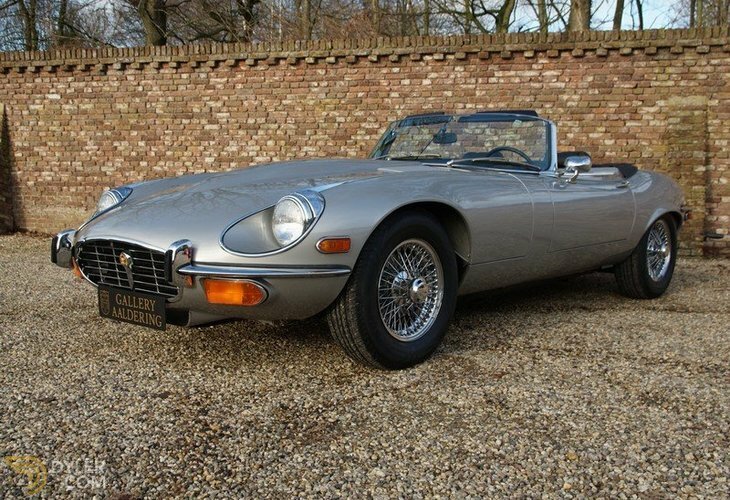 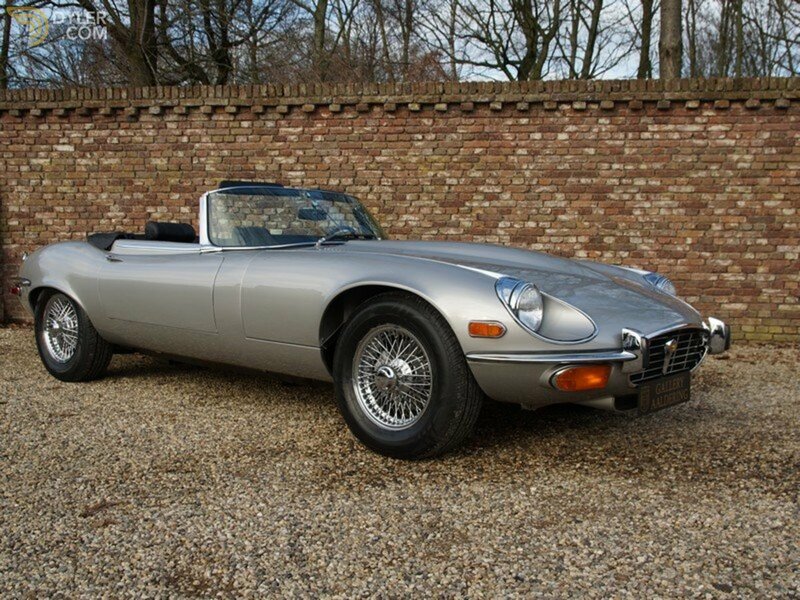 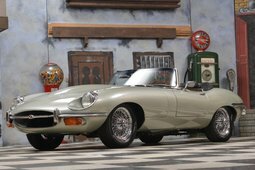 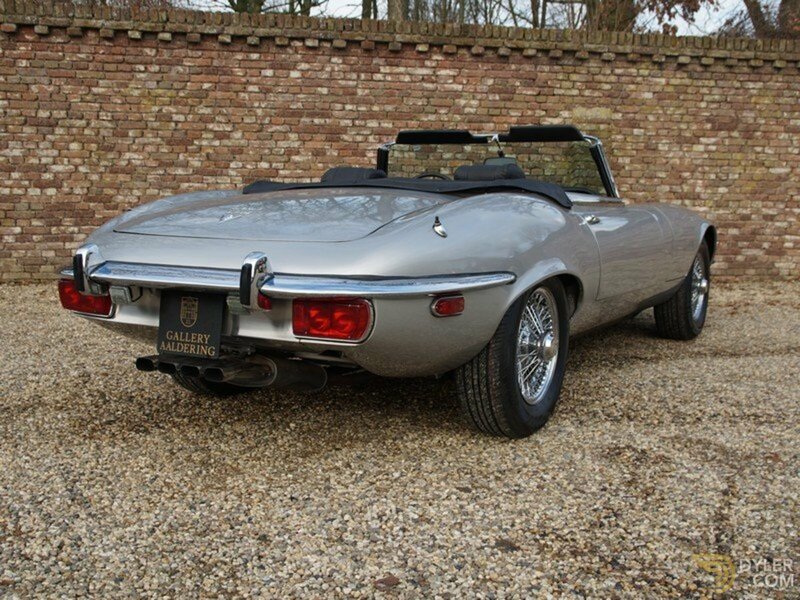 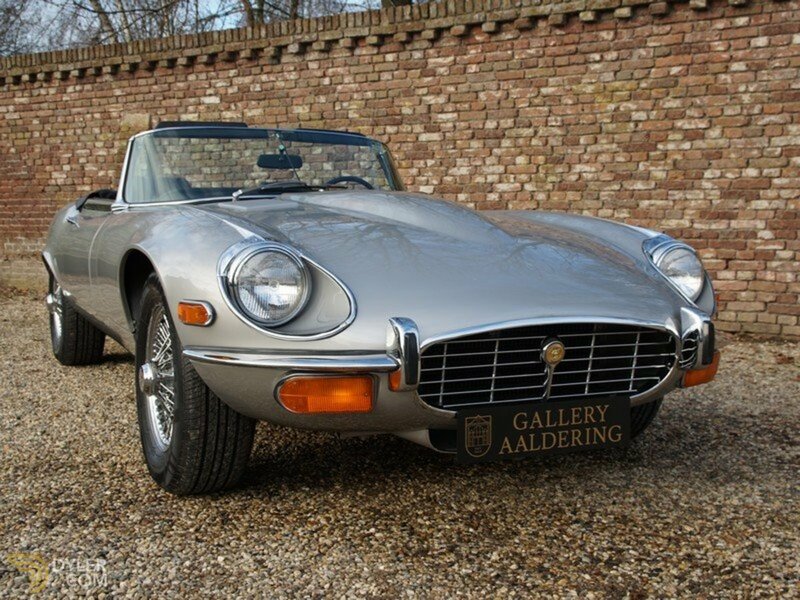 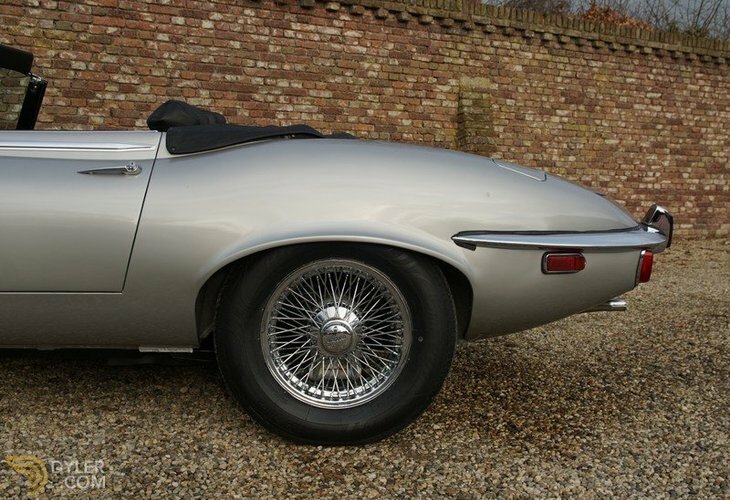 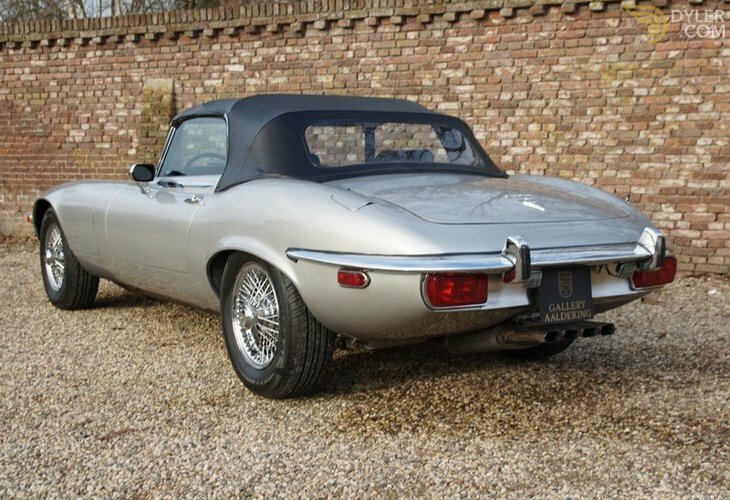 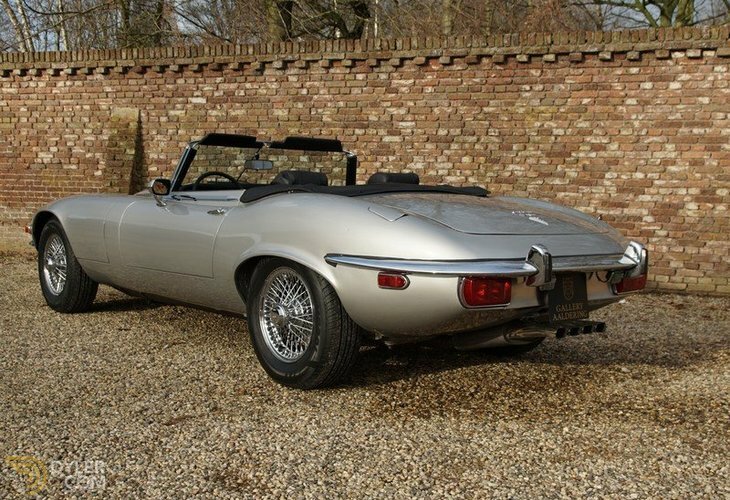 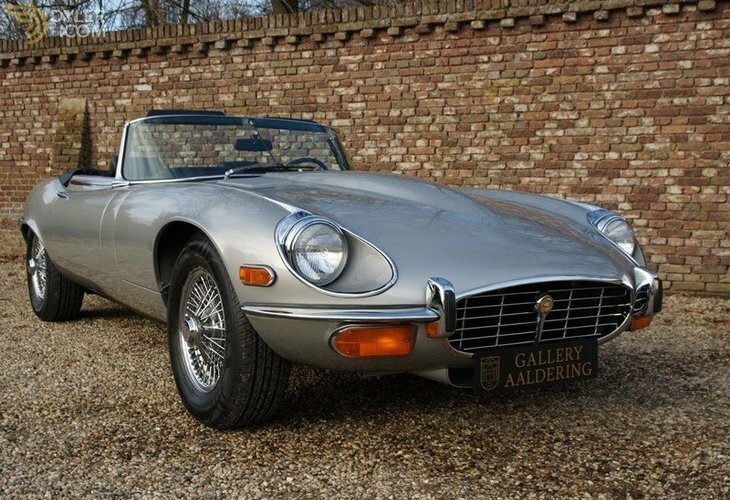 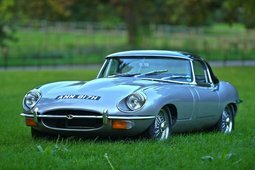 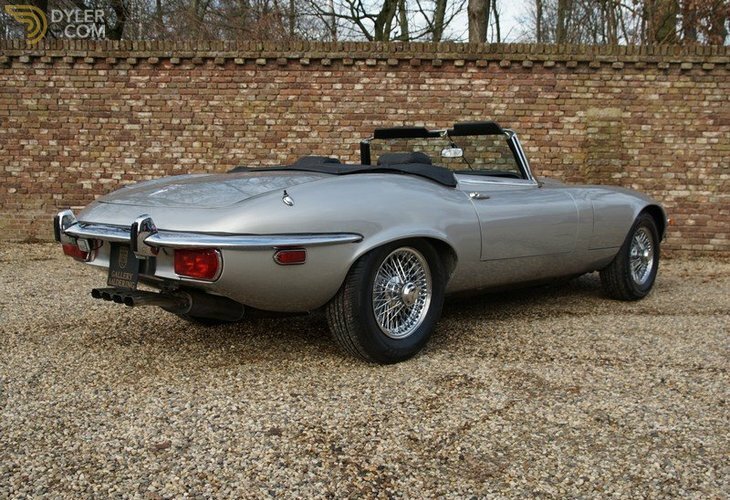 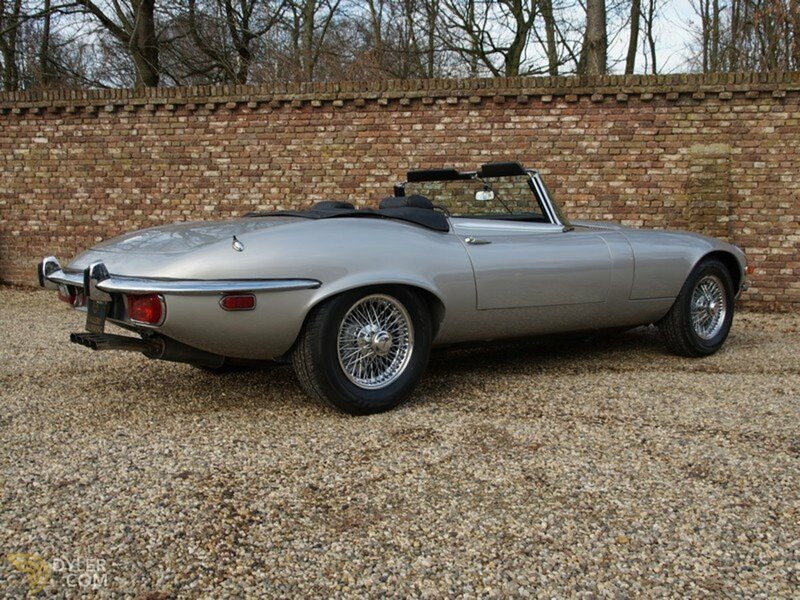 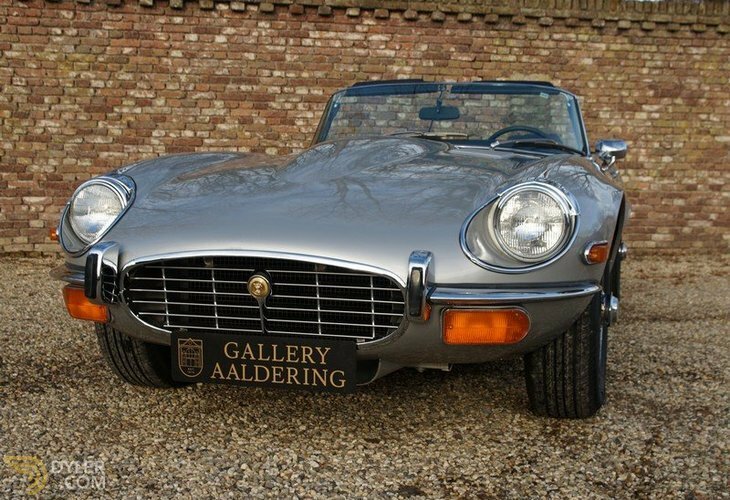 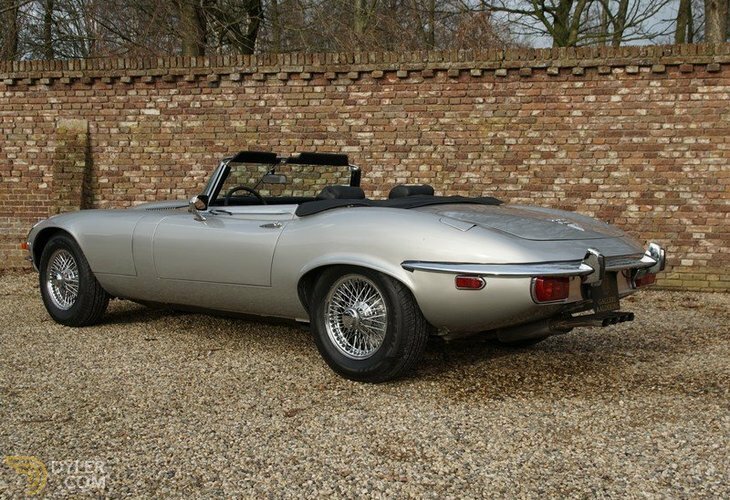 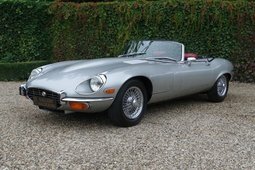 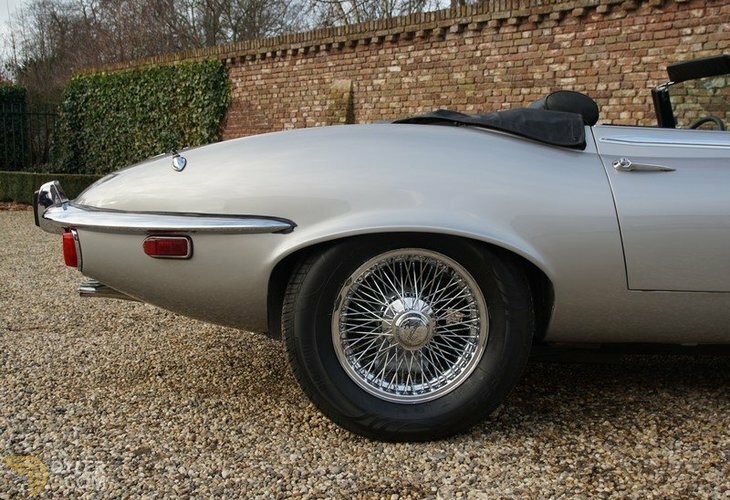 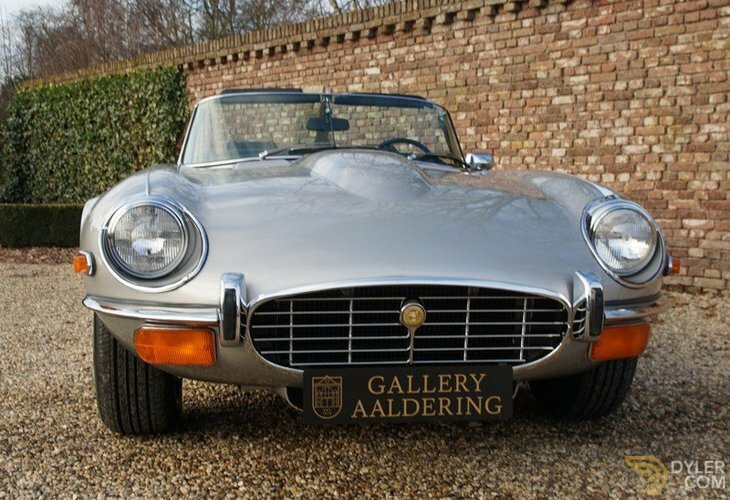 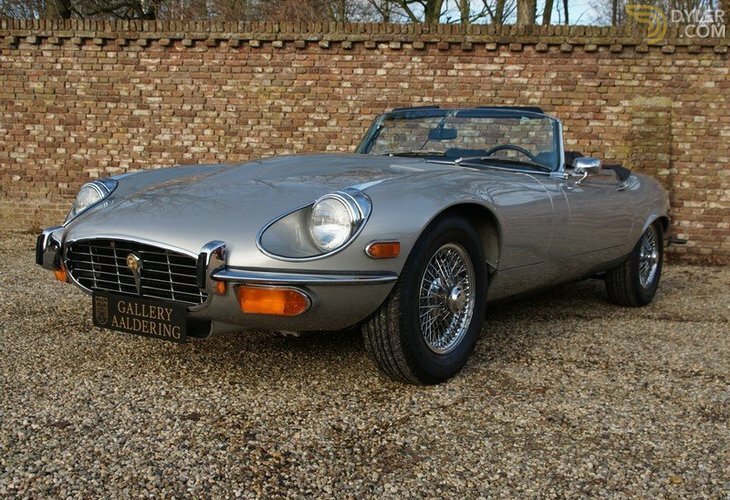 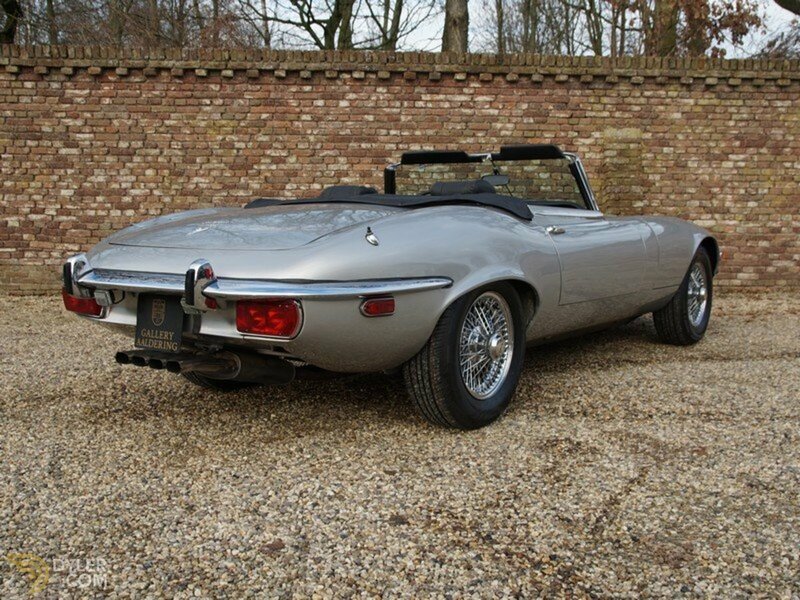 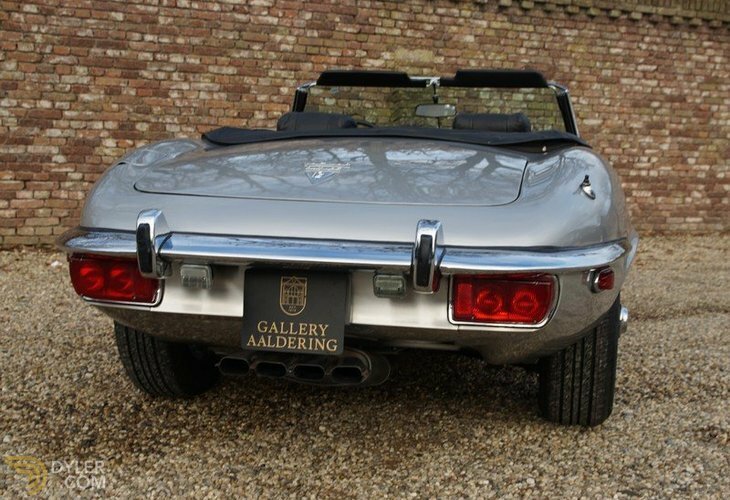 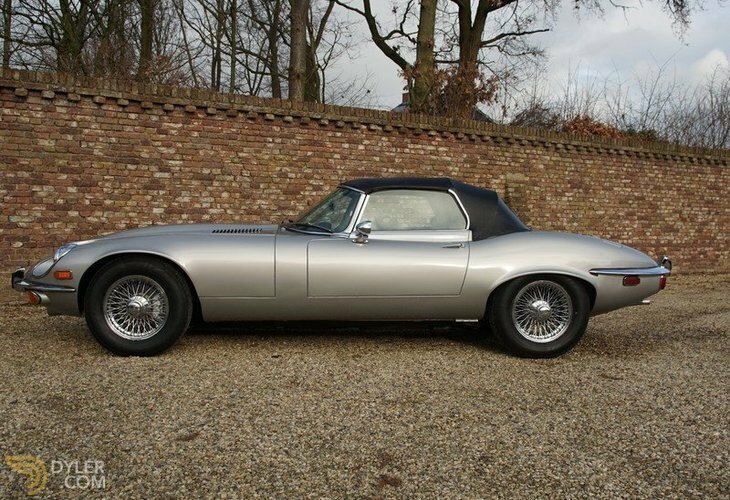 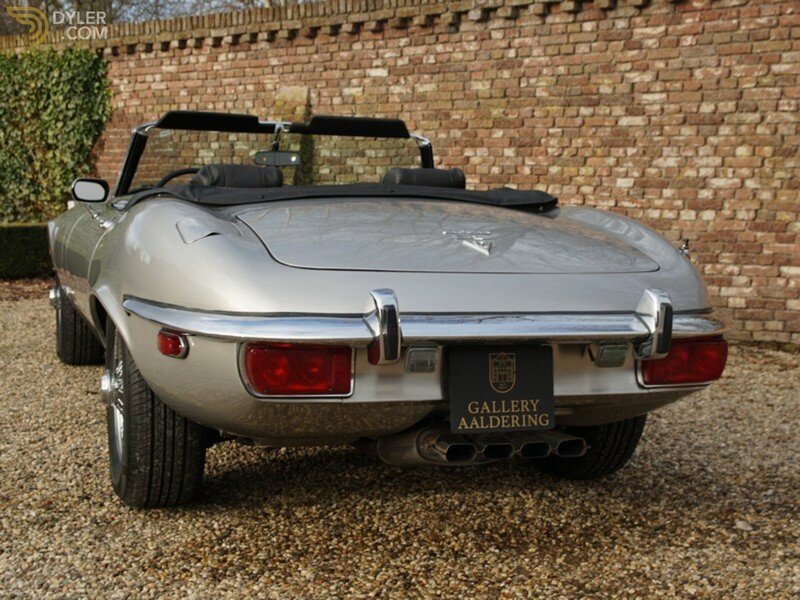 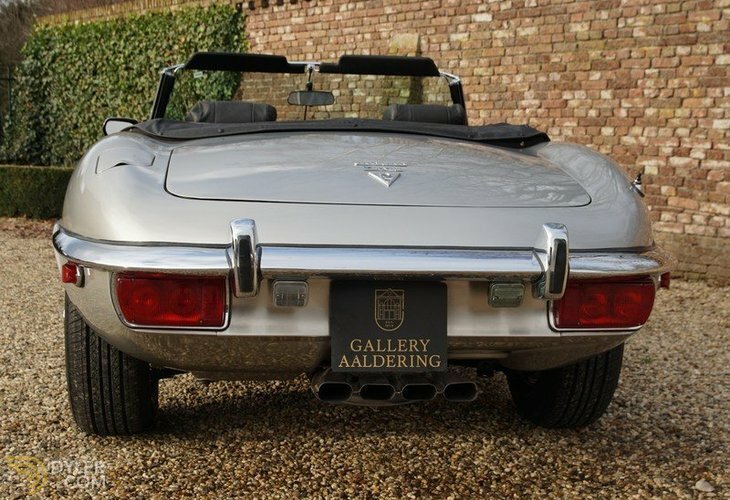 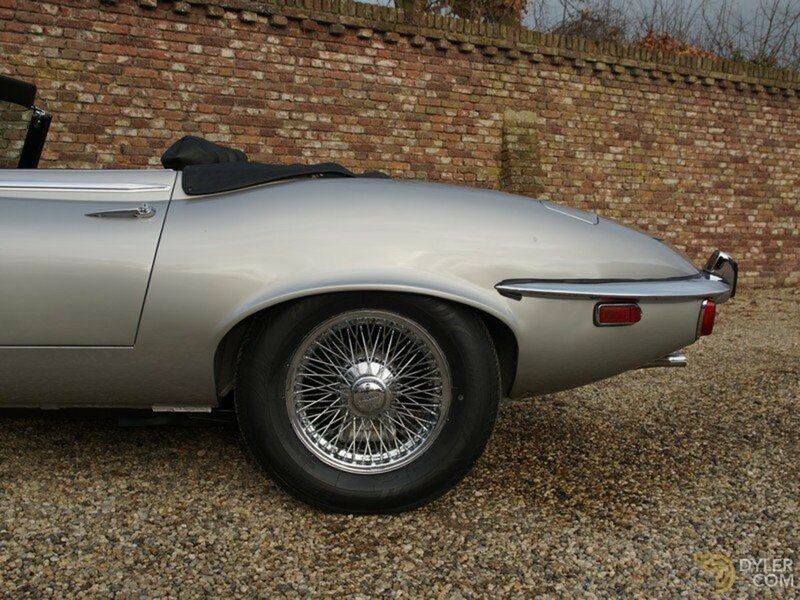 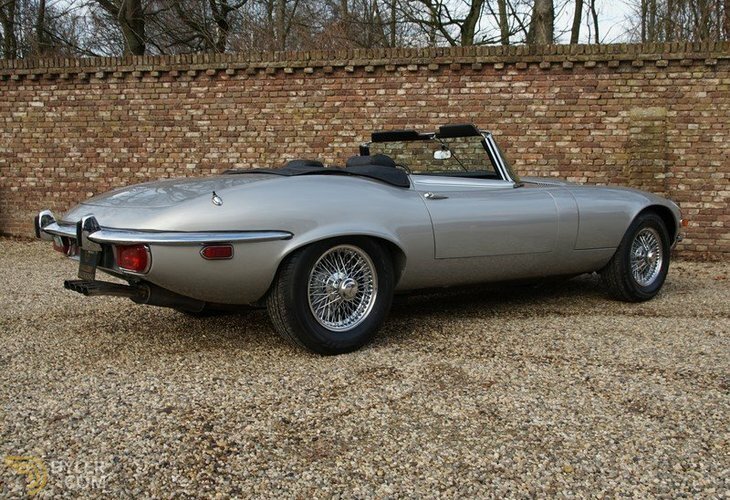 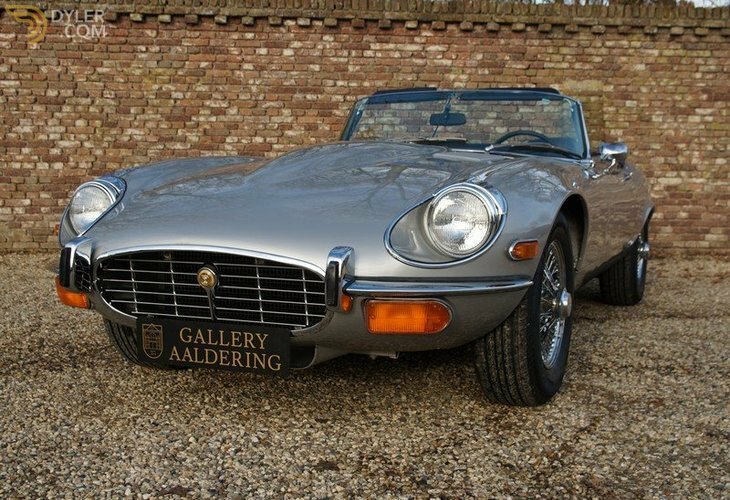 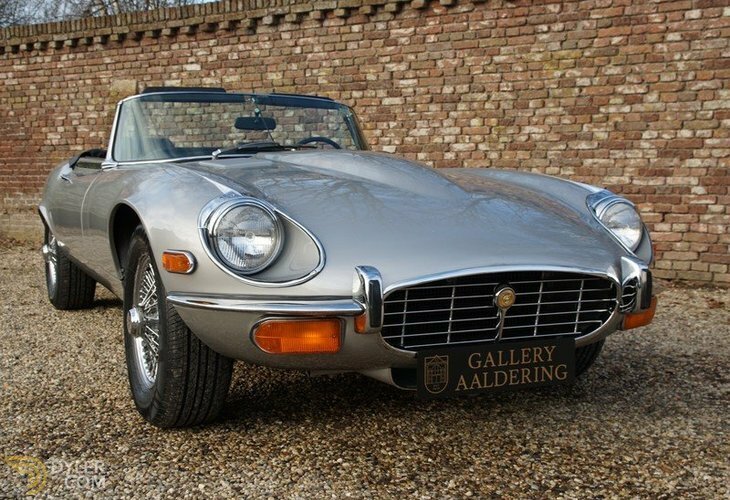 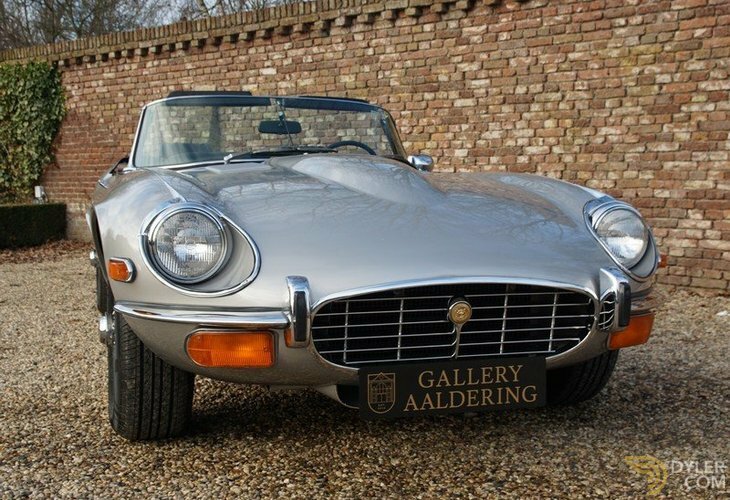 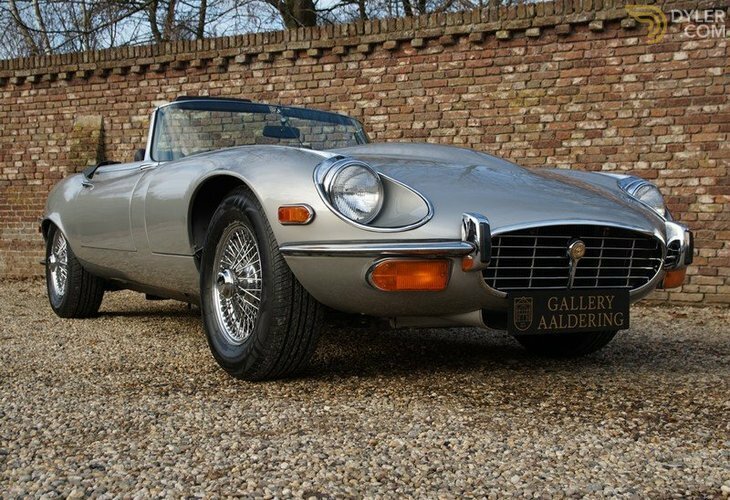 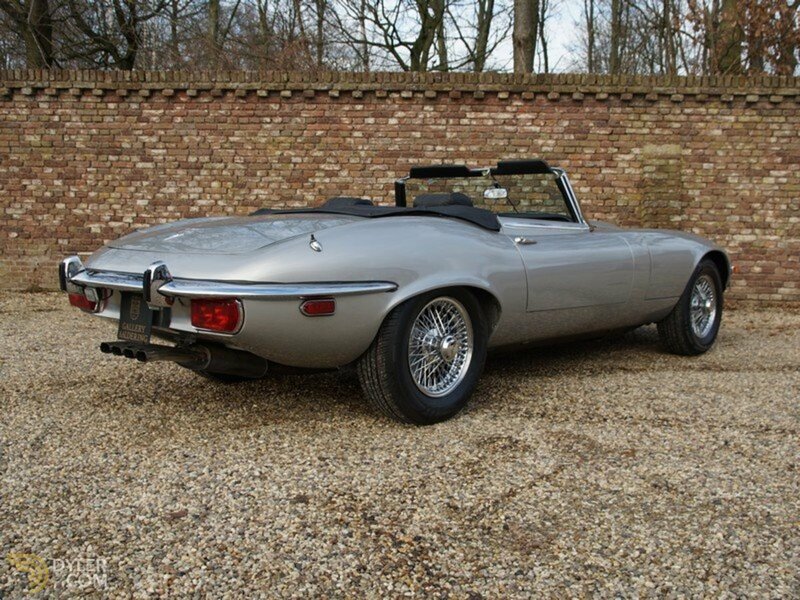 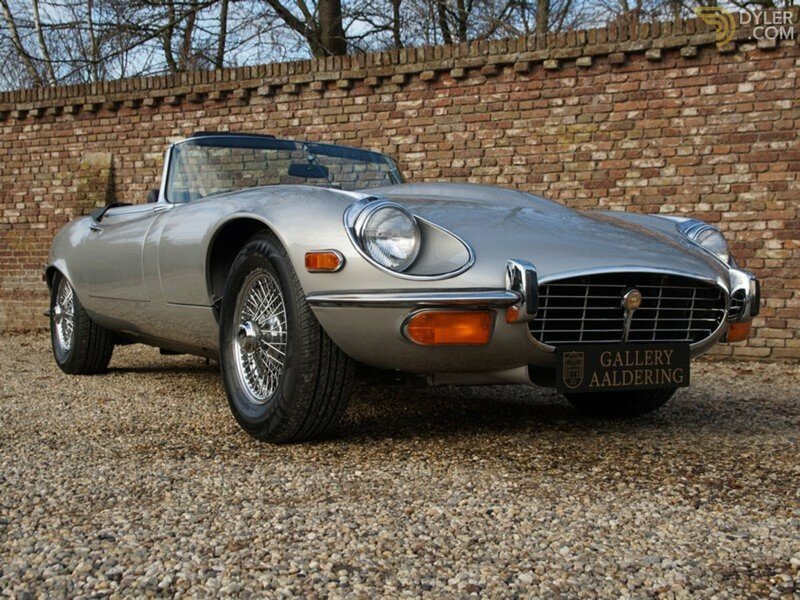 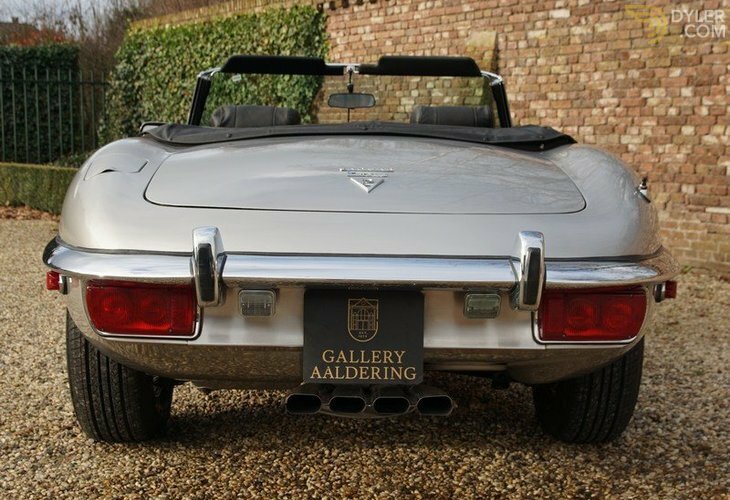 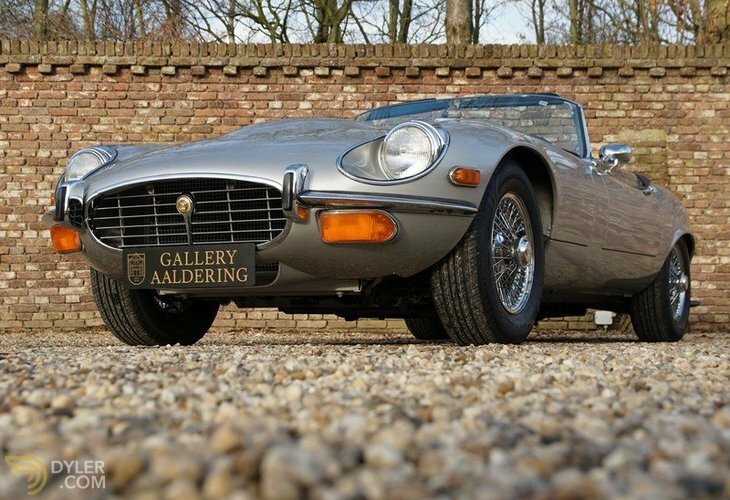 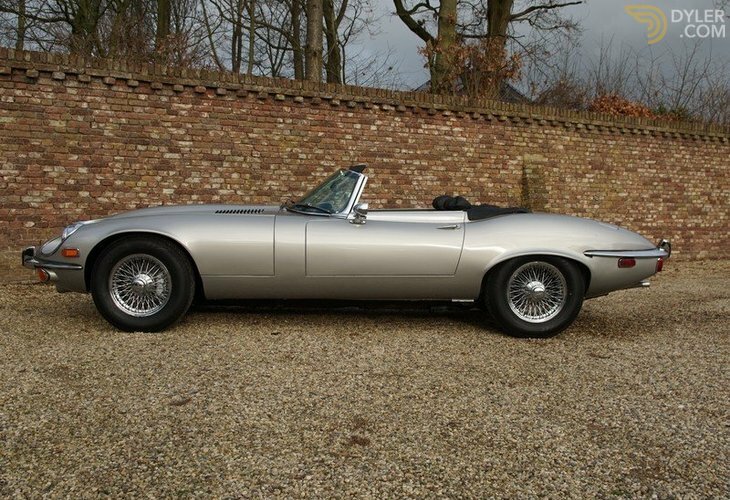 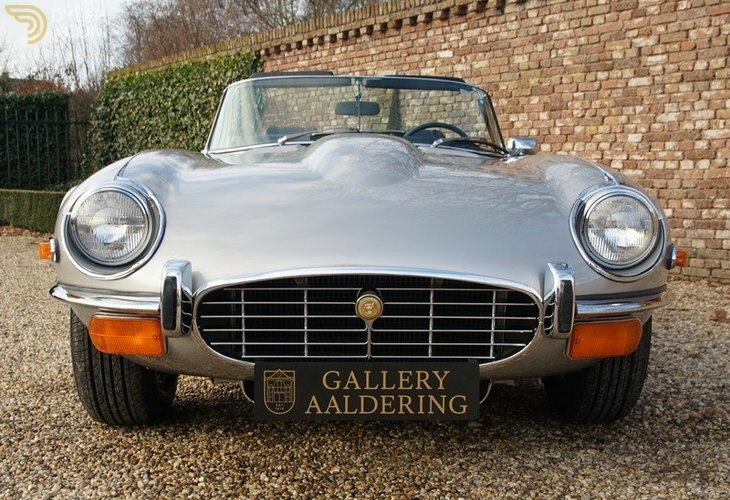 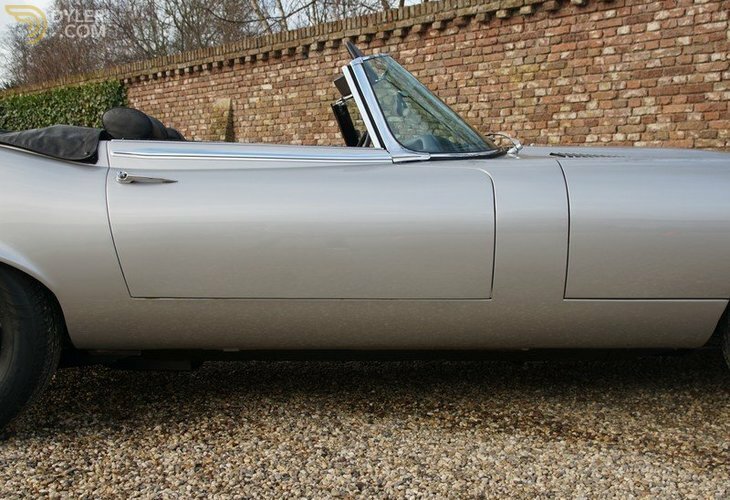 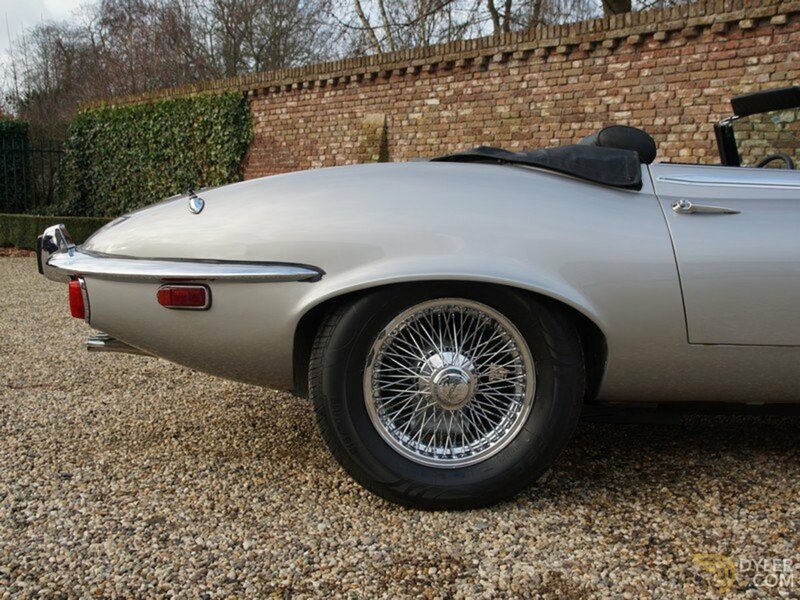 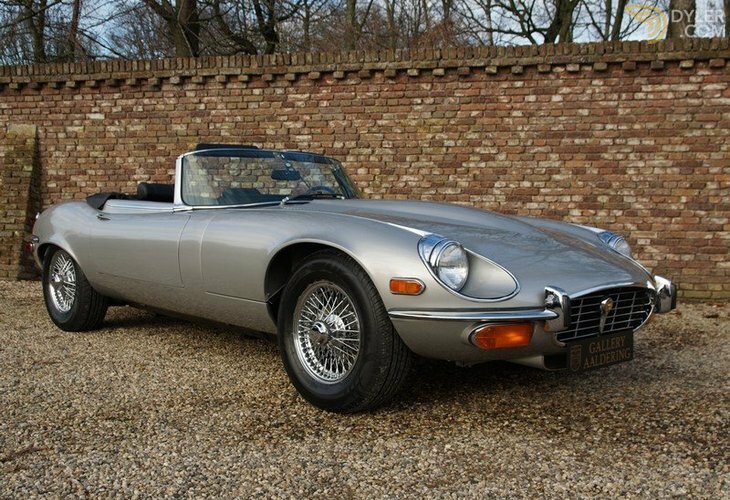 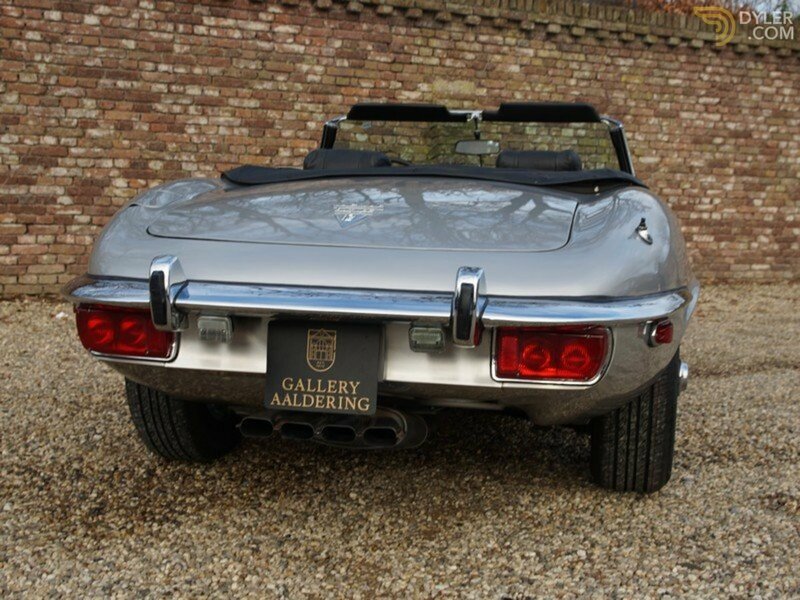 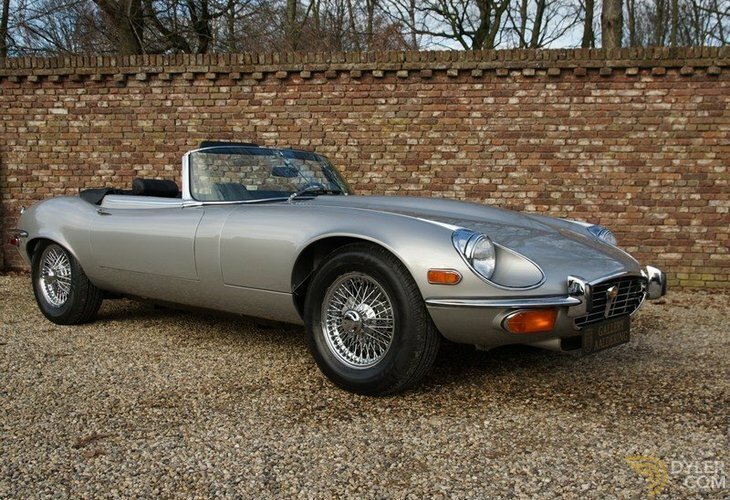 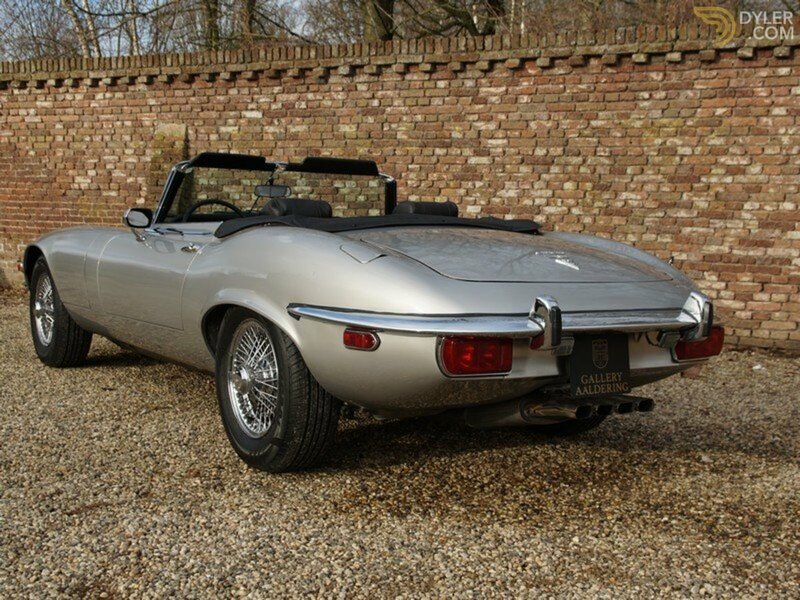 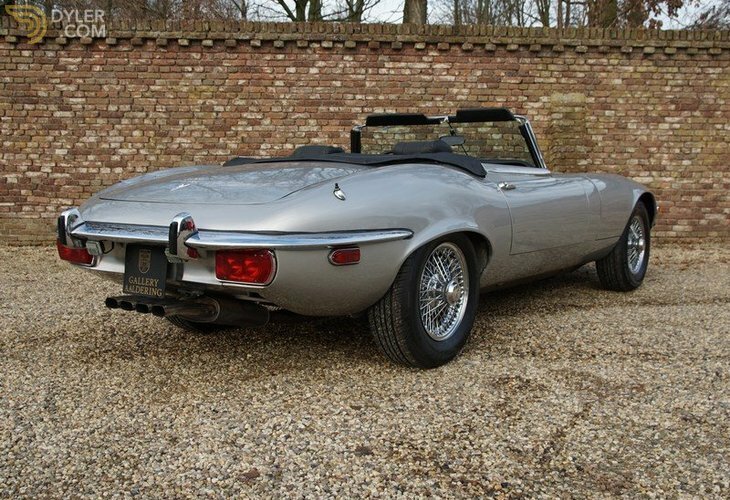 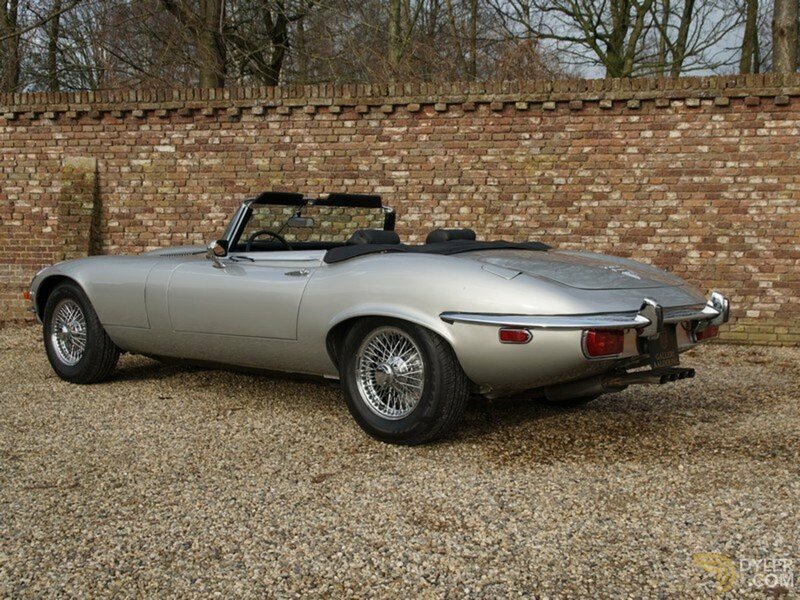 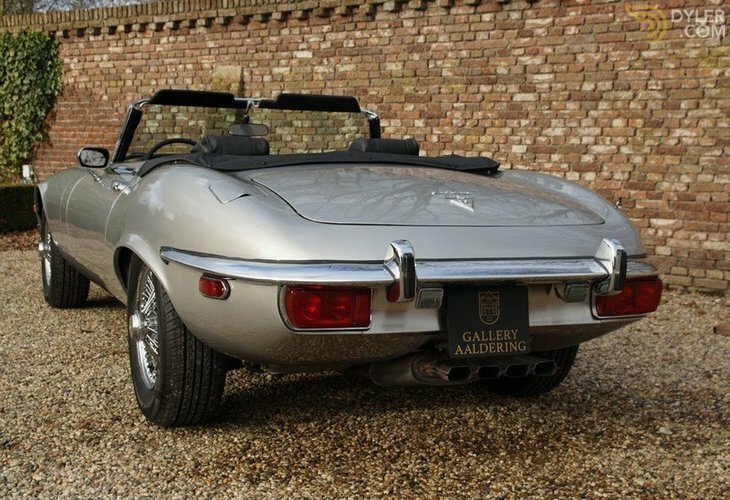 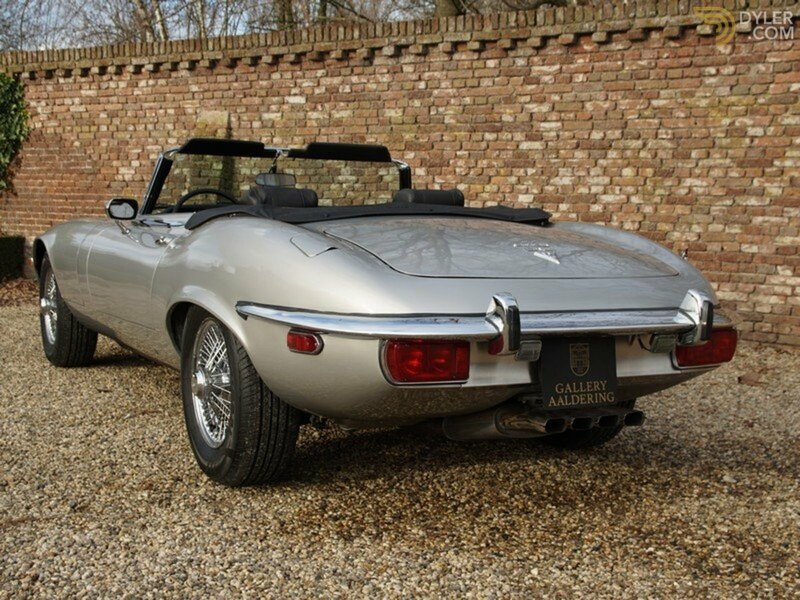 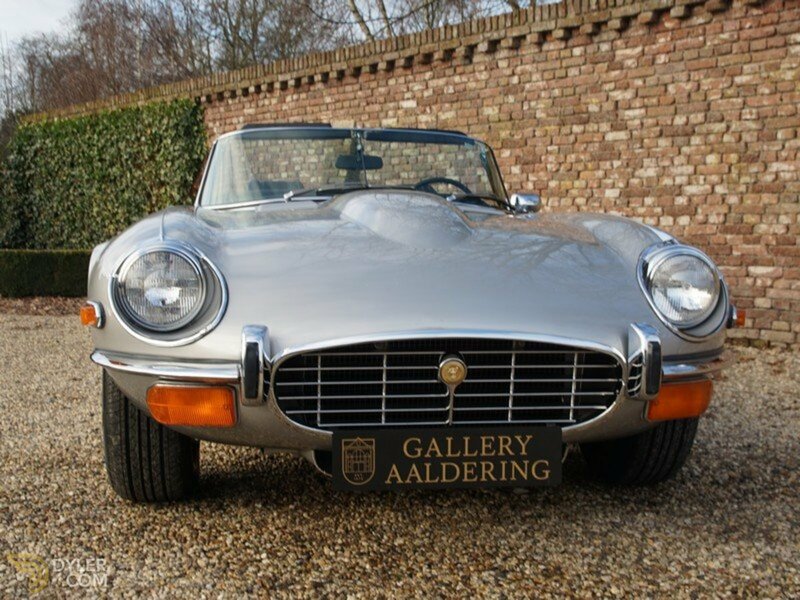 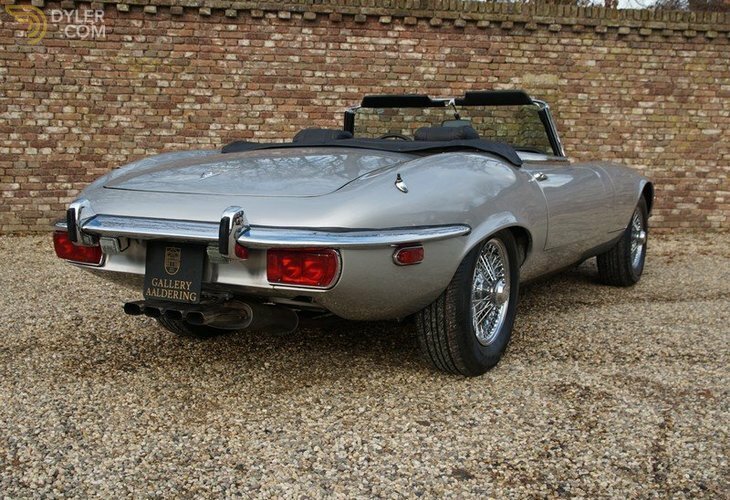 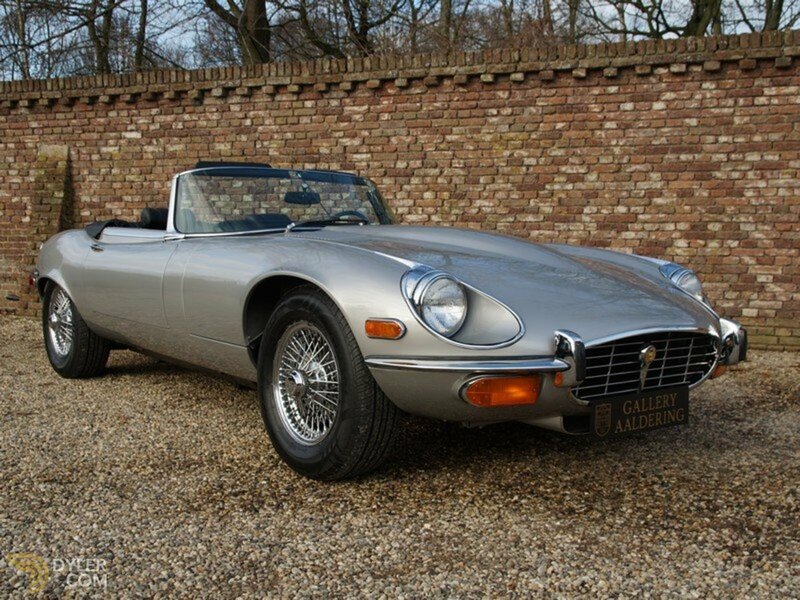 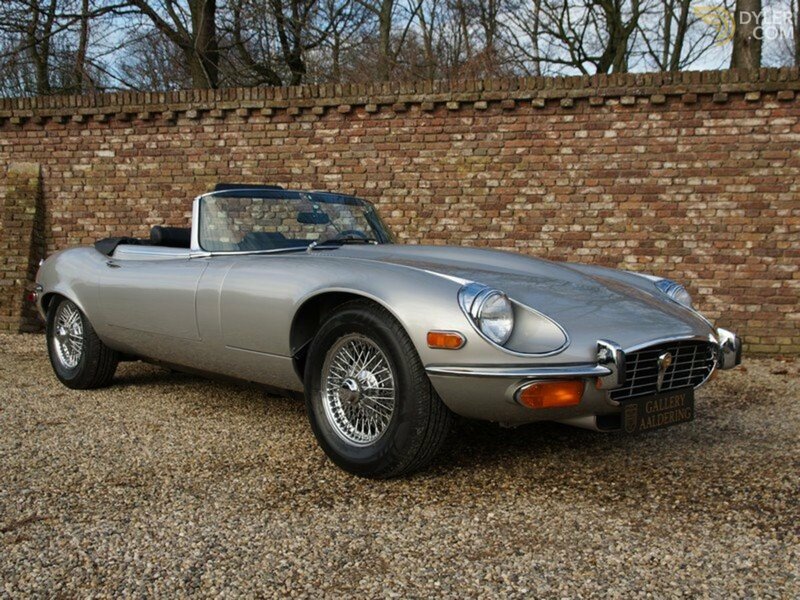 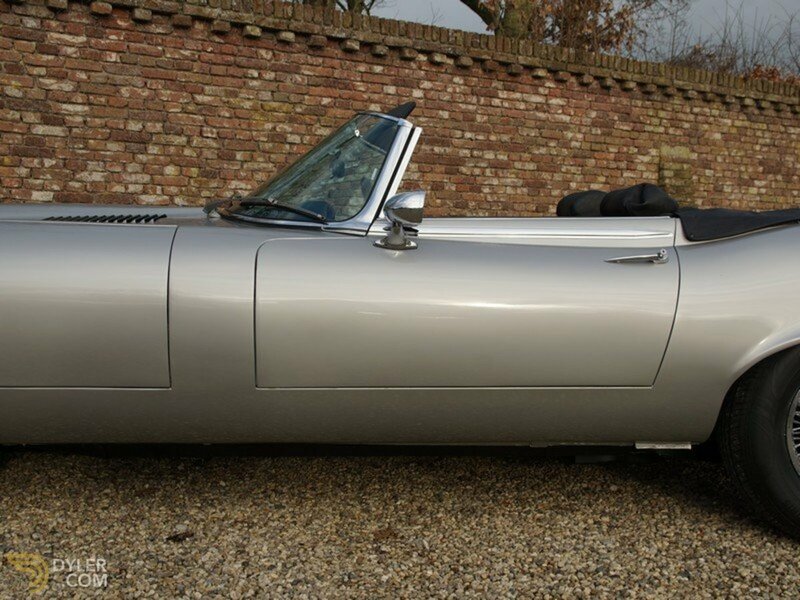 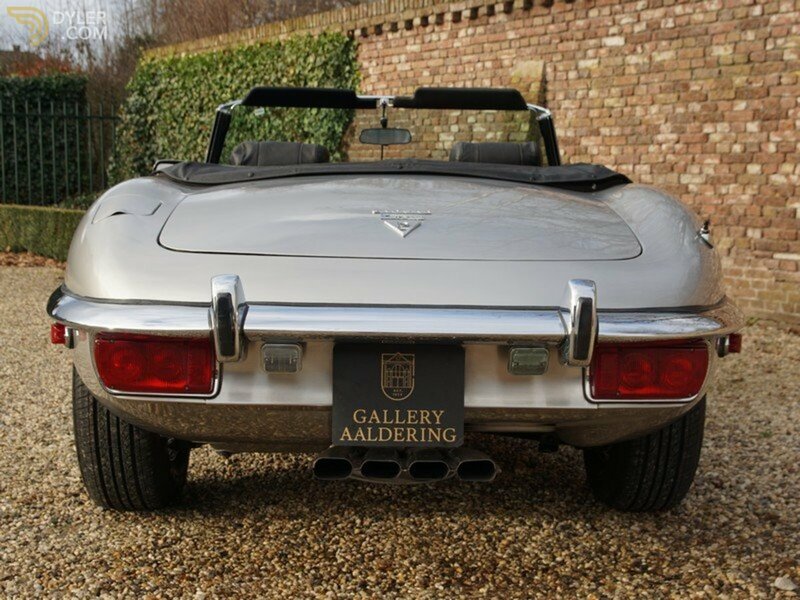 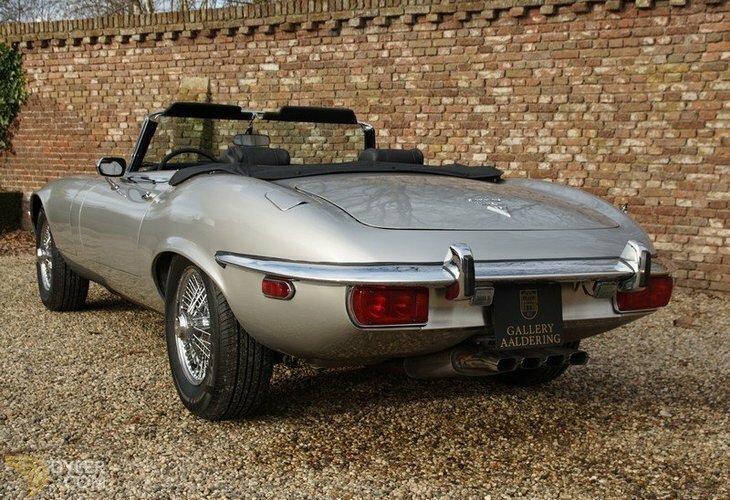 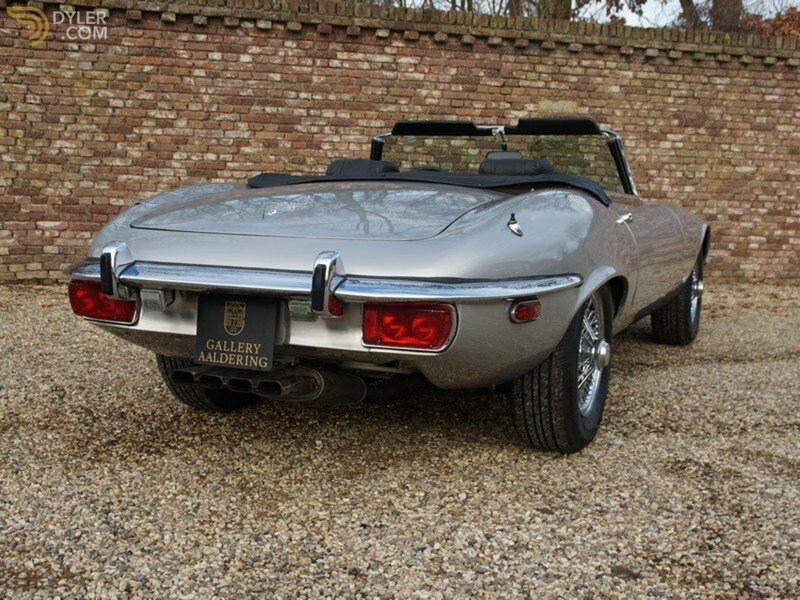 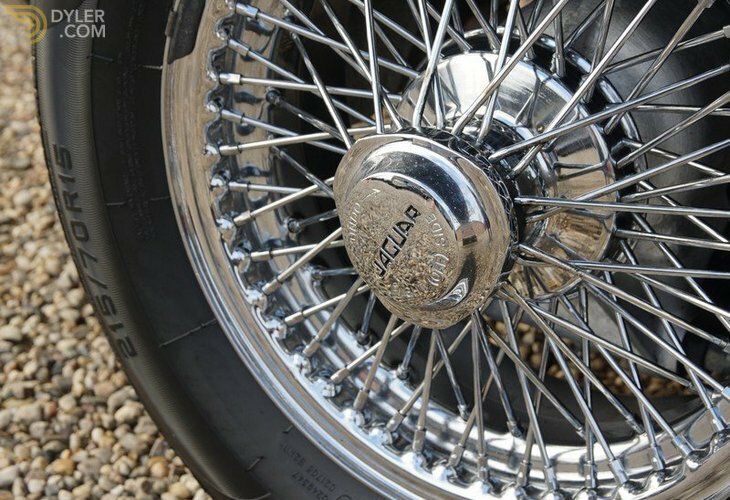 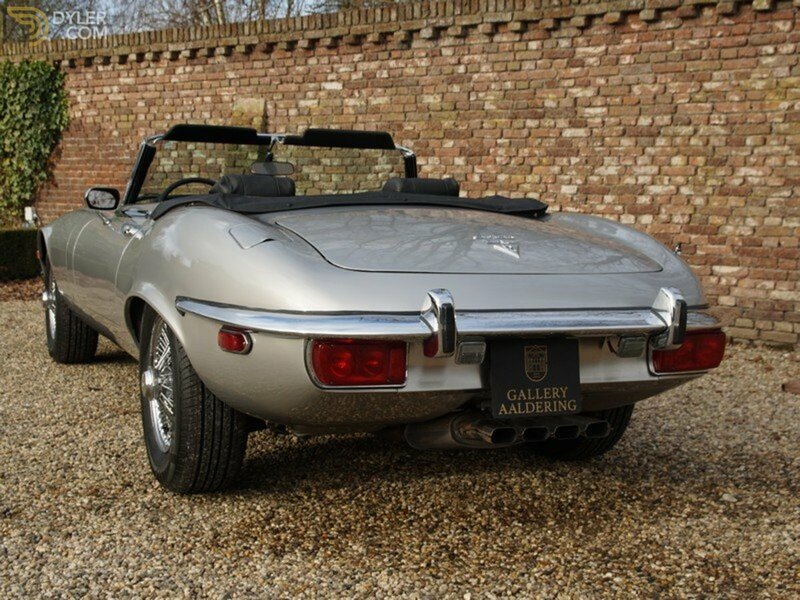 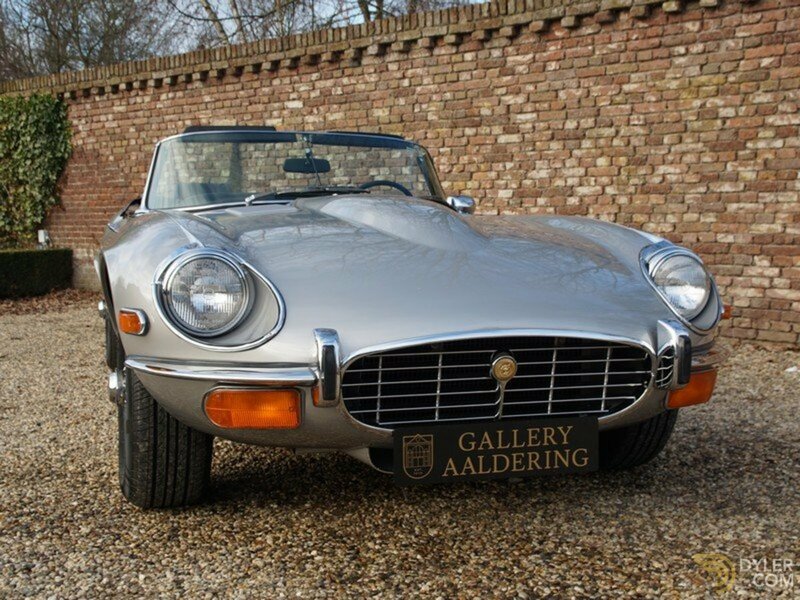 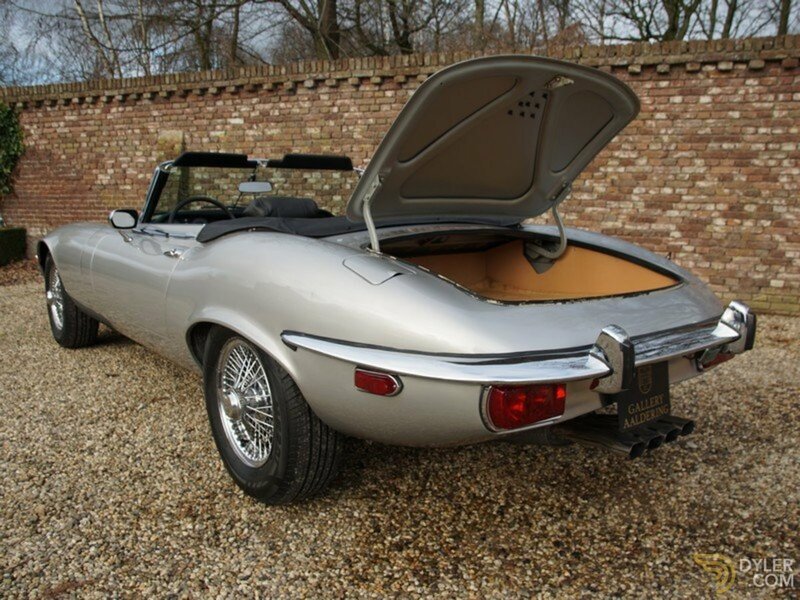 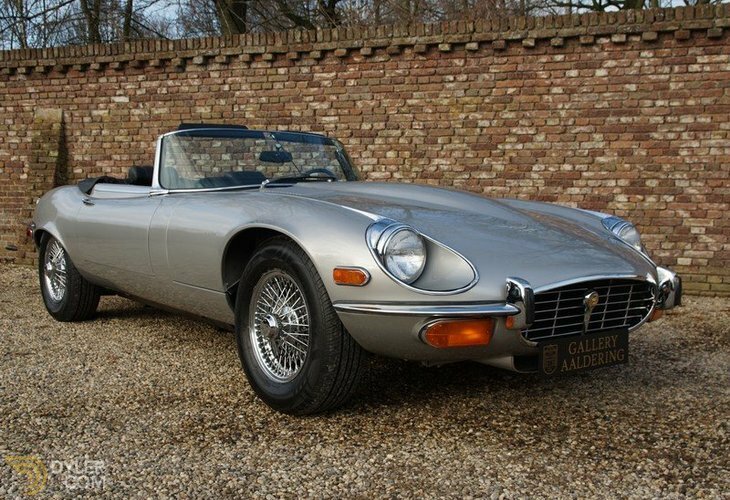 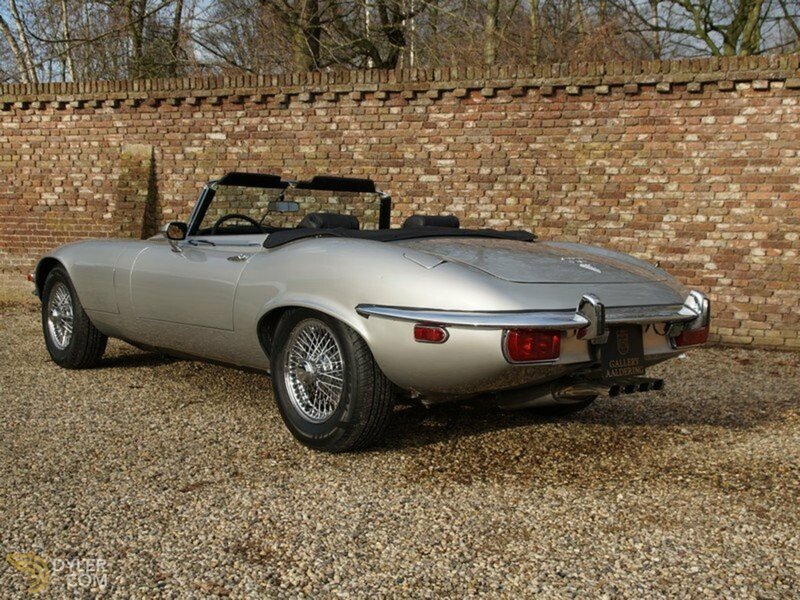 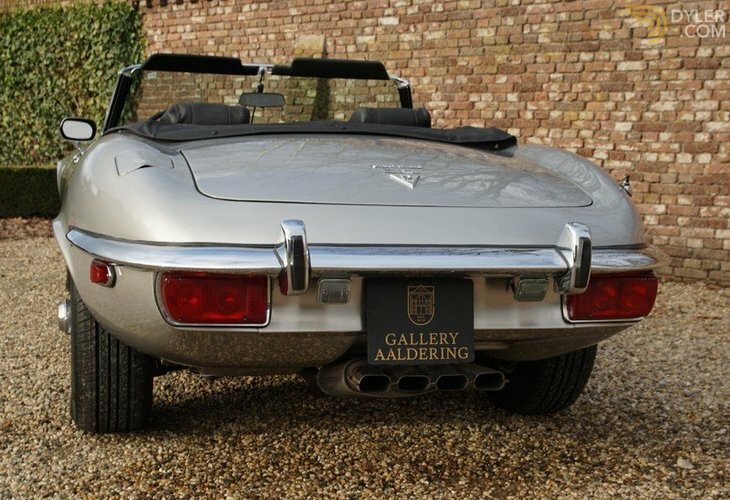 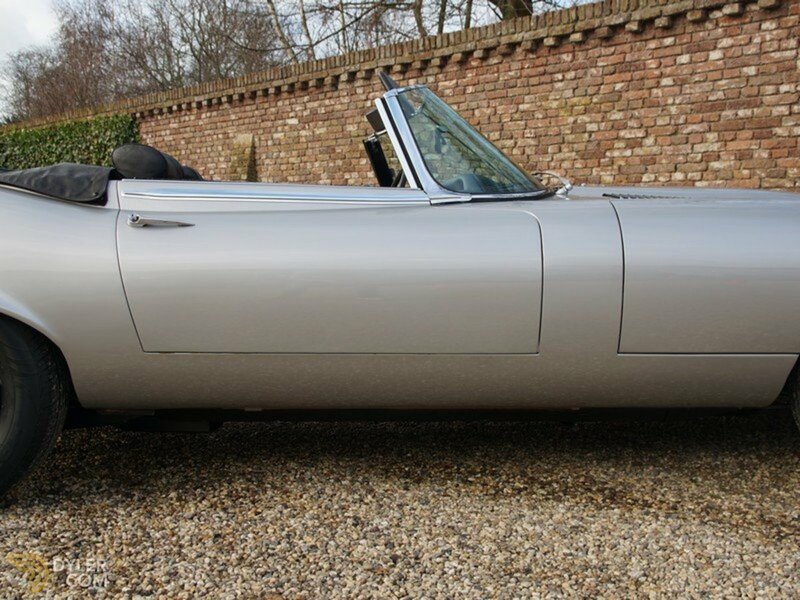 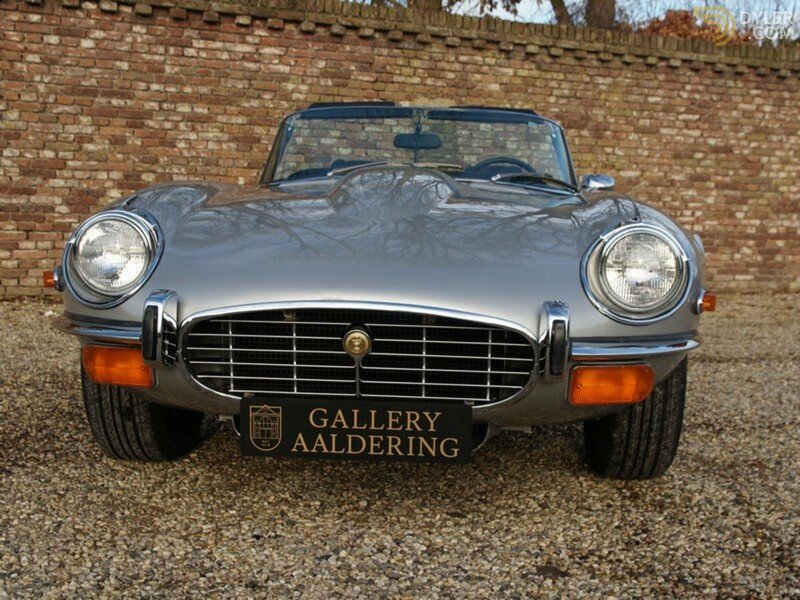 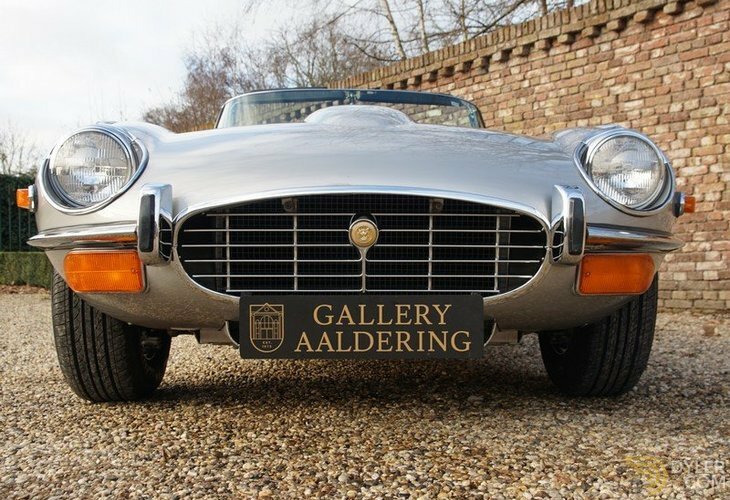 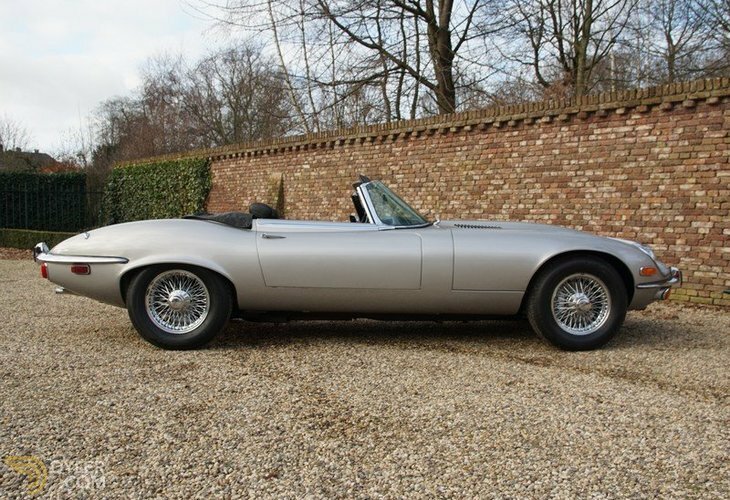 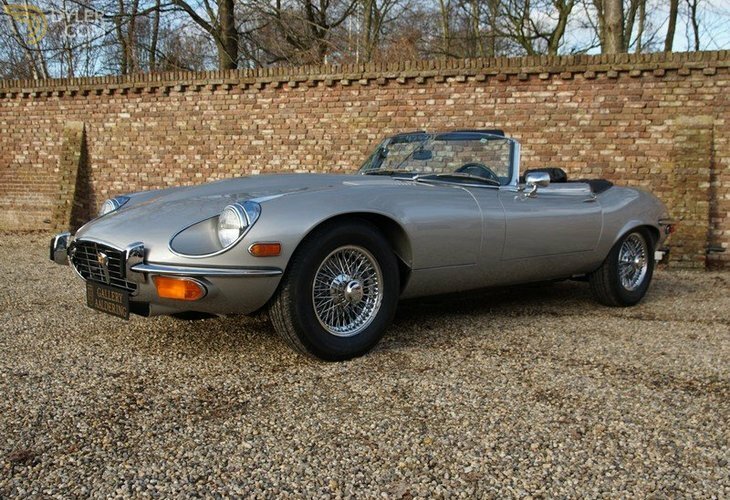 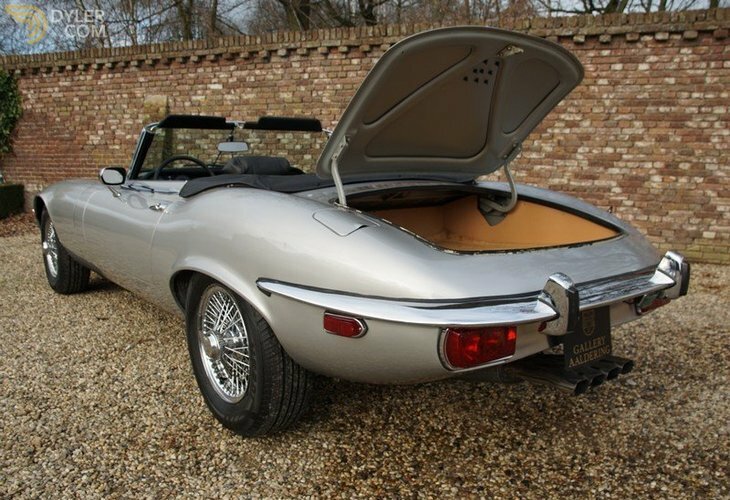 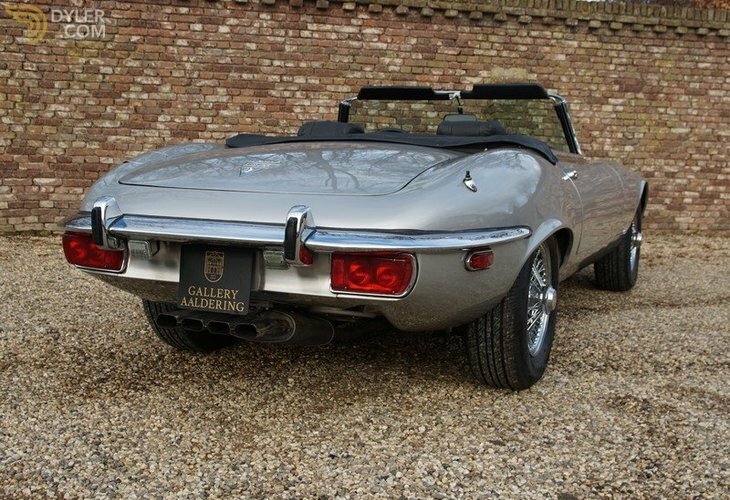 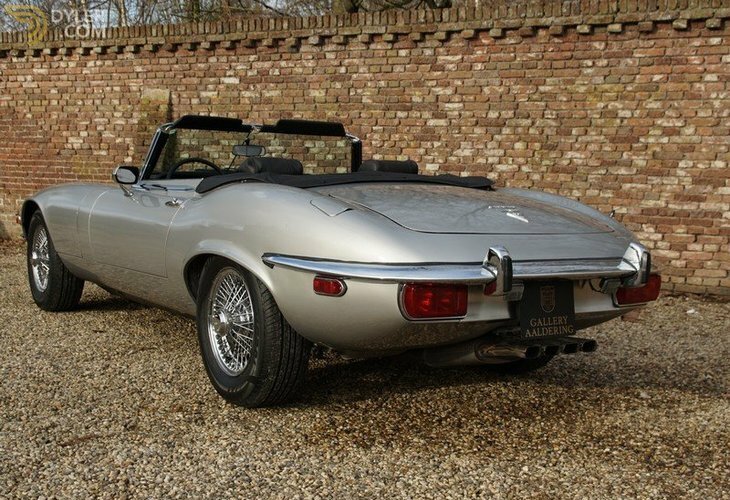 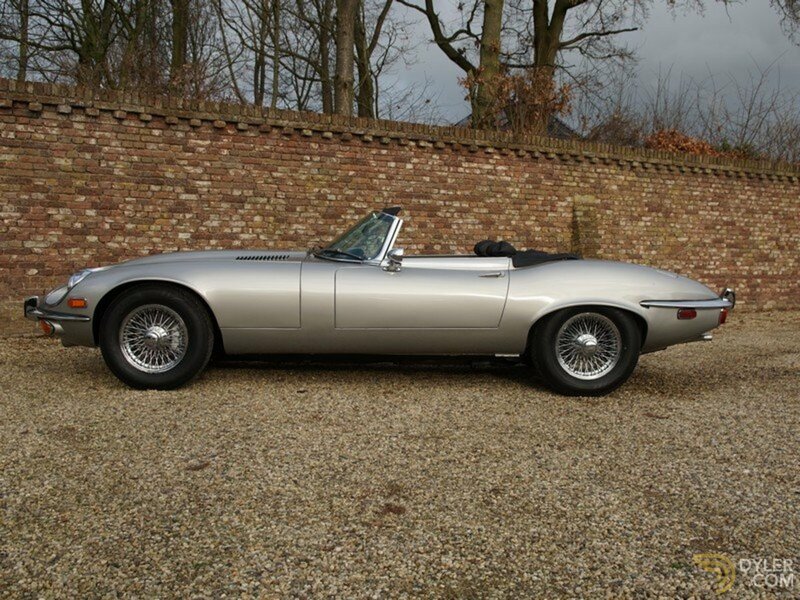 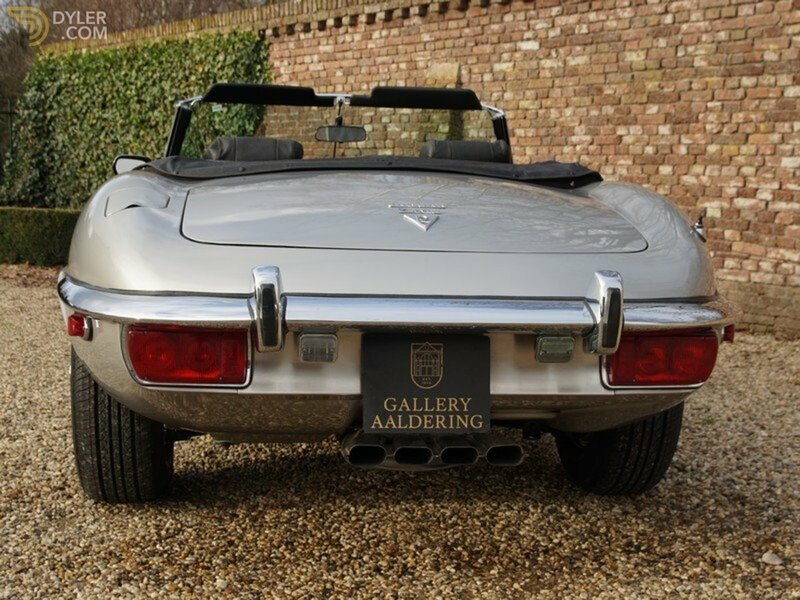 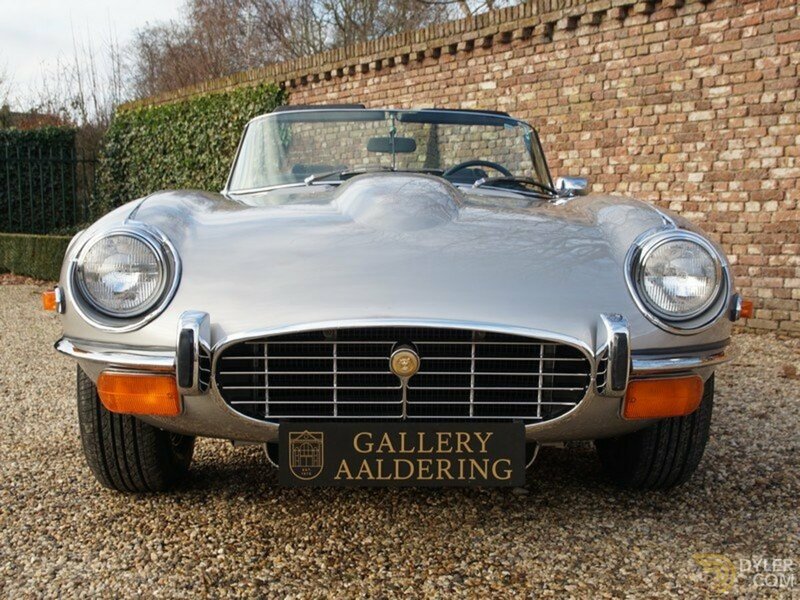 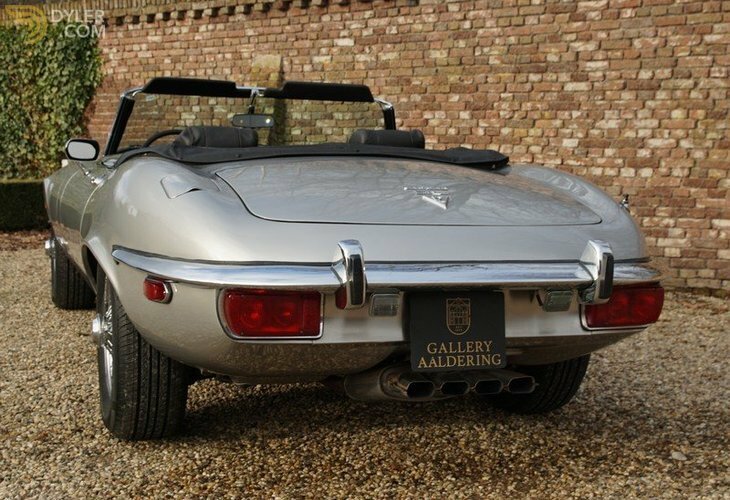 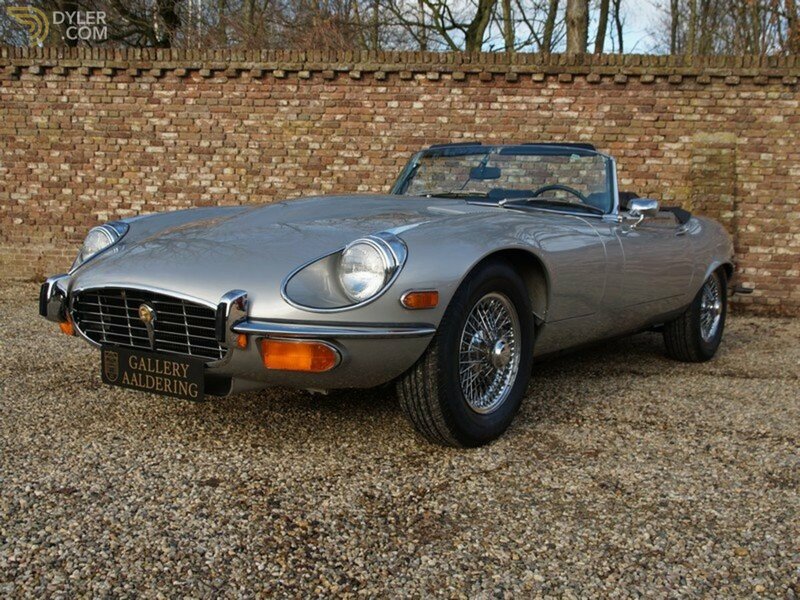 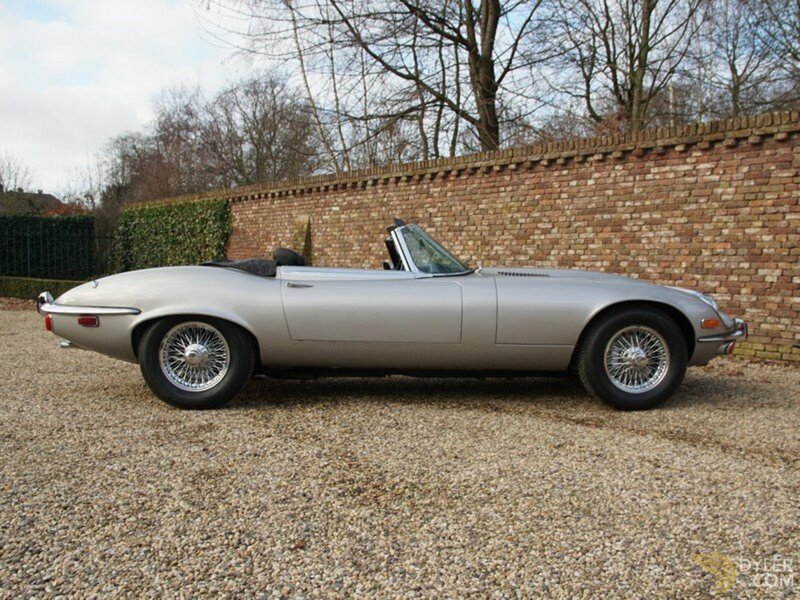 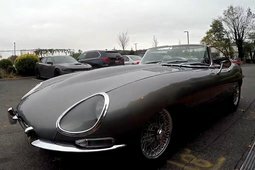 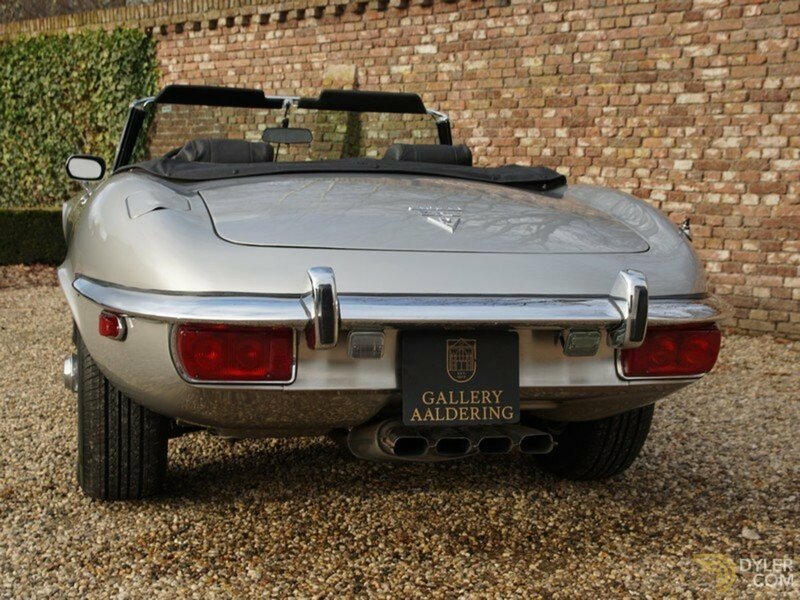 A spectacular 1973 Jaguar E-Type Series 3 V12 Roadster, originally supplied on the 30th January 1973 in Miami, Oklahoma. The car itself is in a really fine condition. 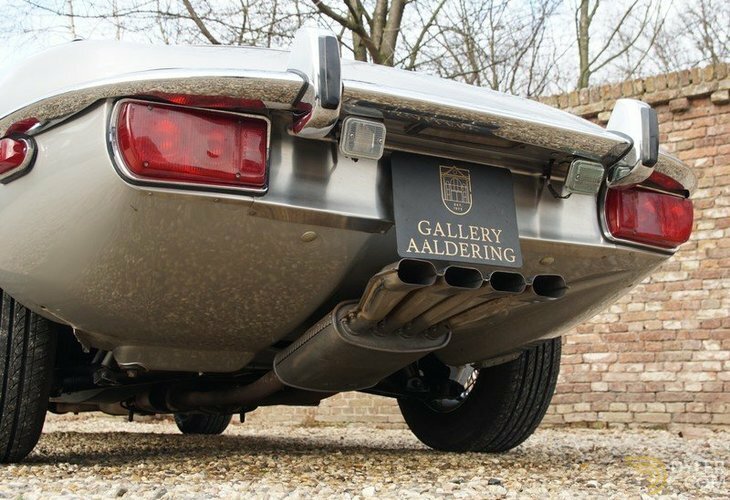 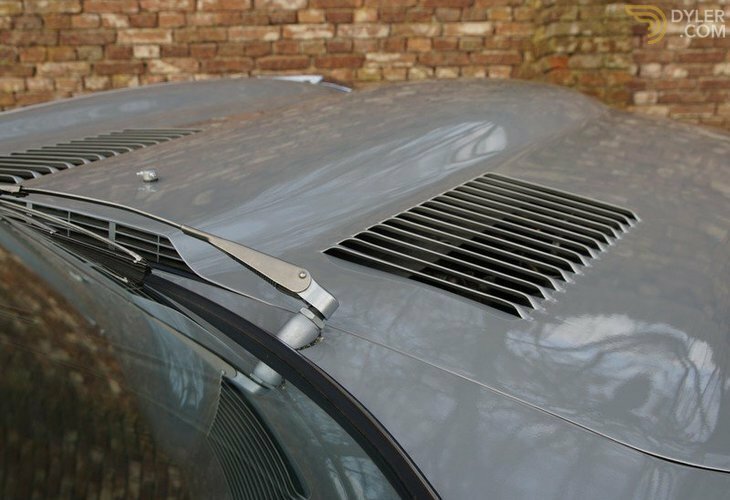 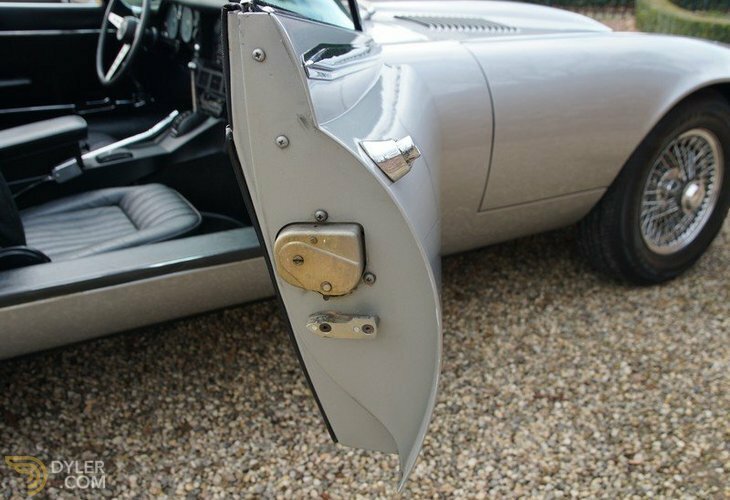 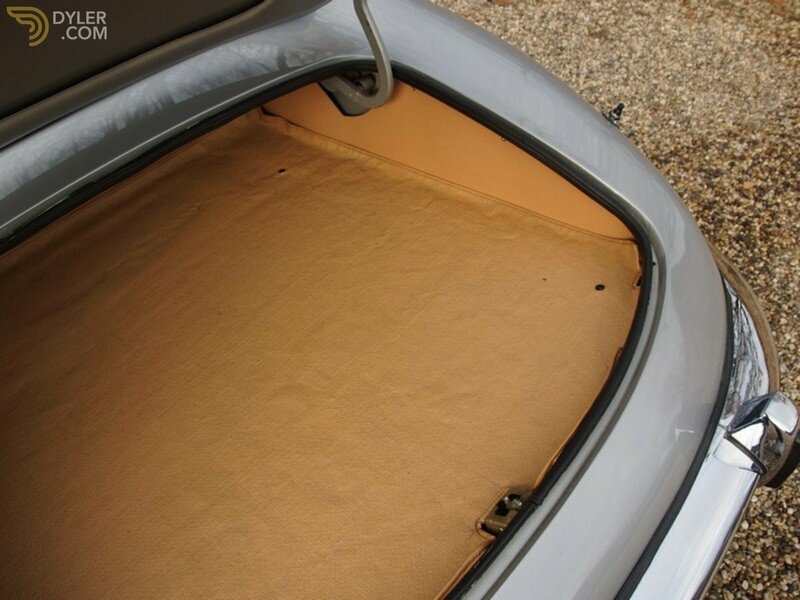 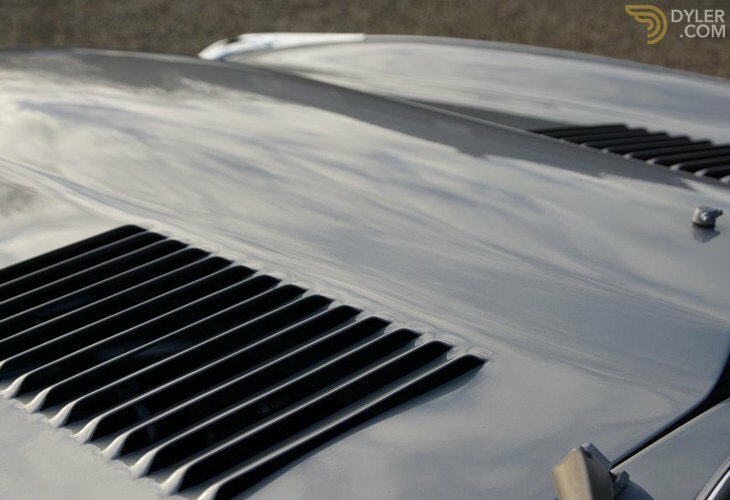 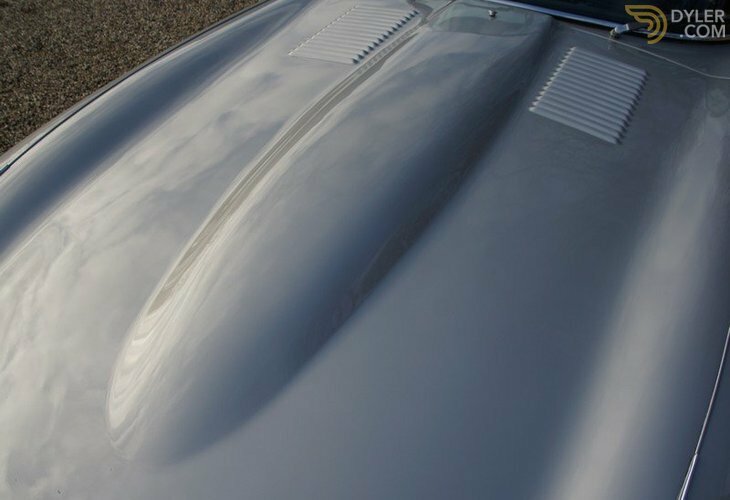 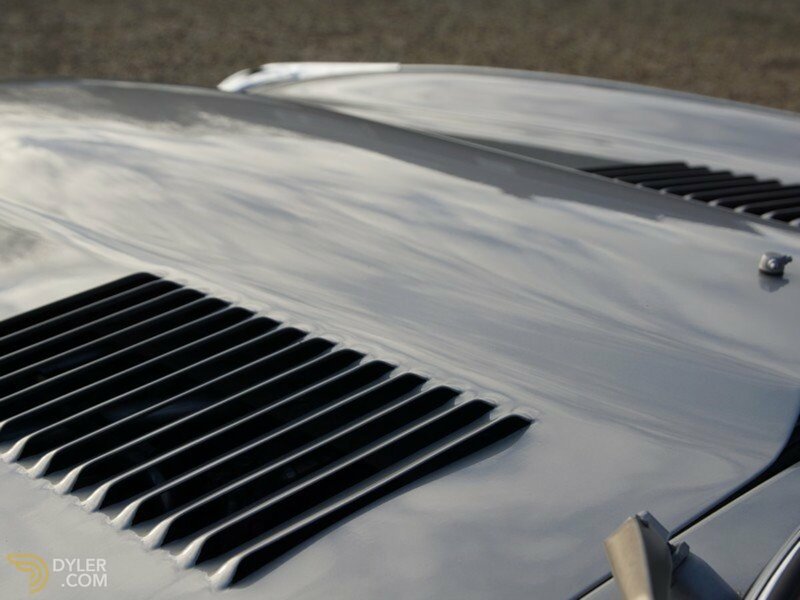 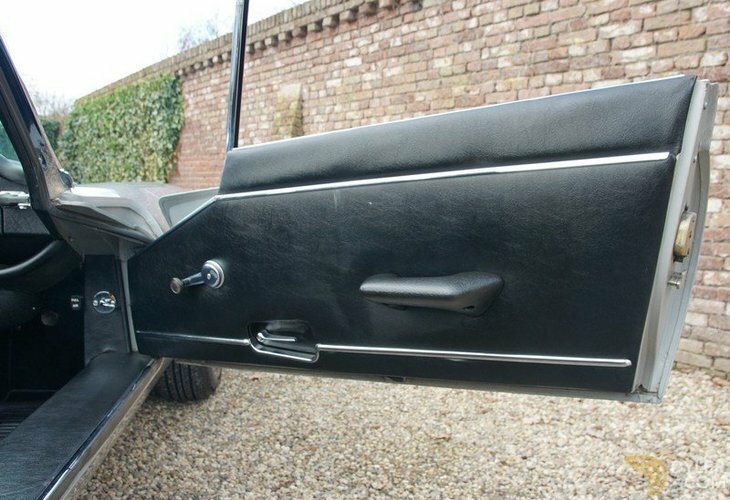 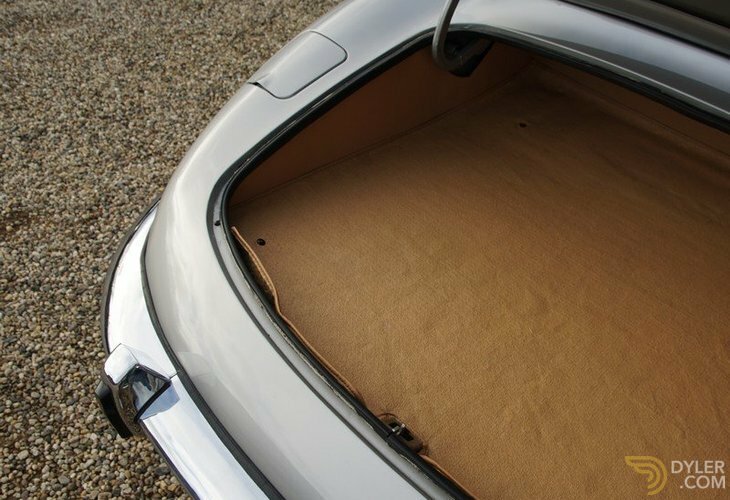 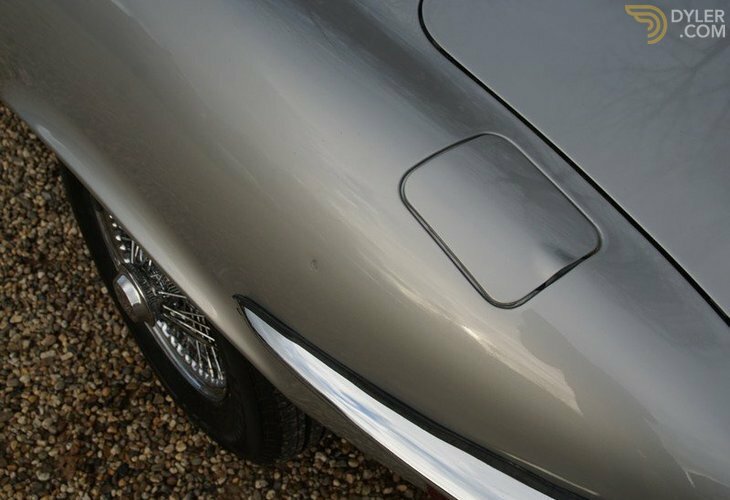 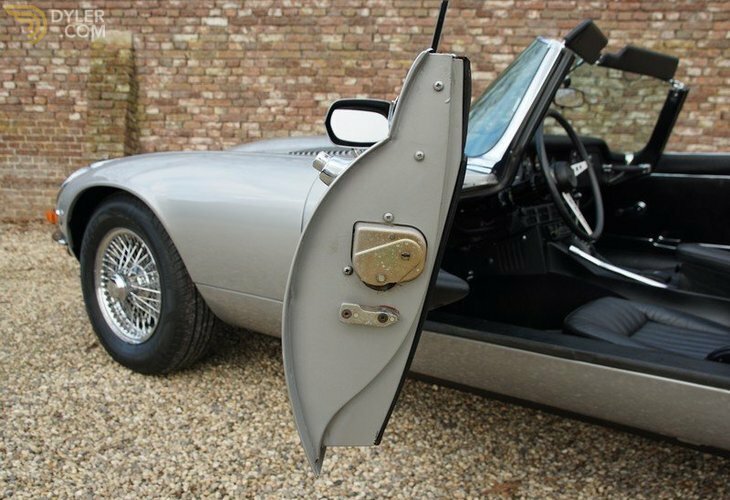 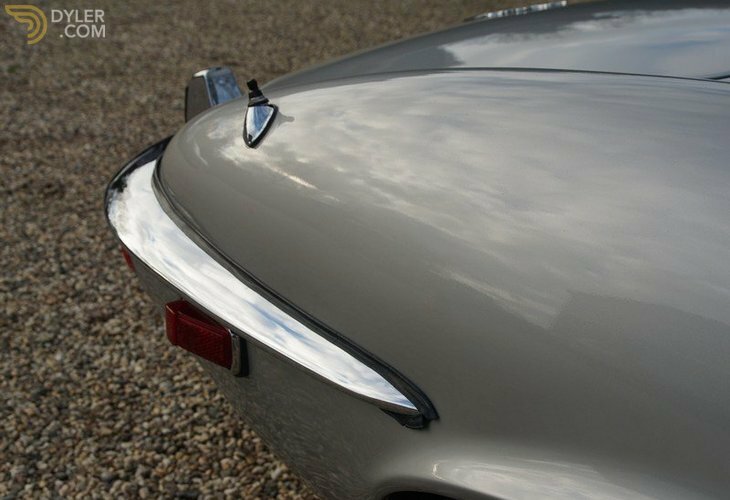 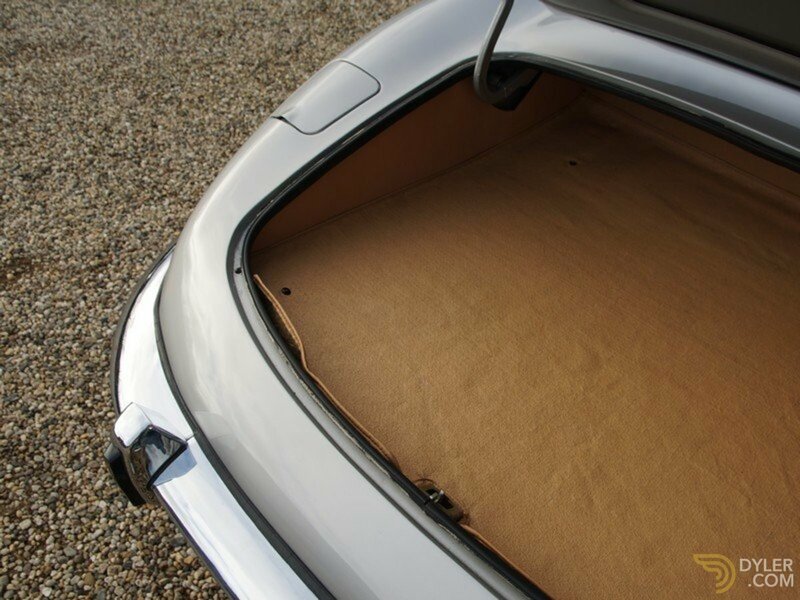 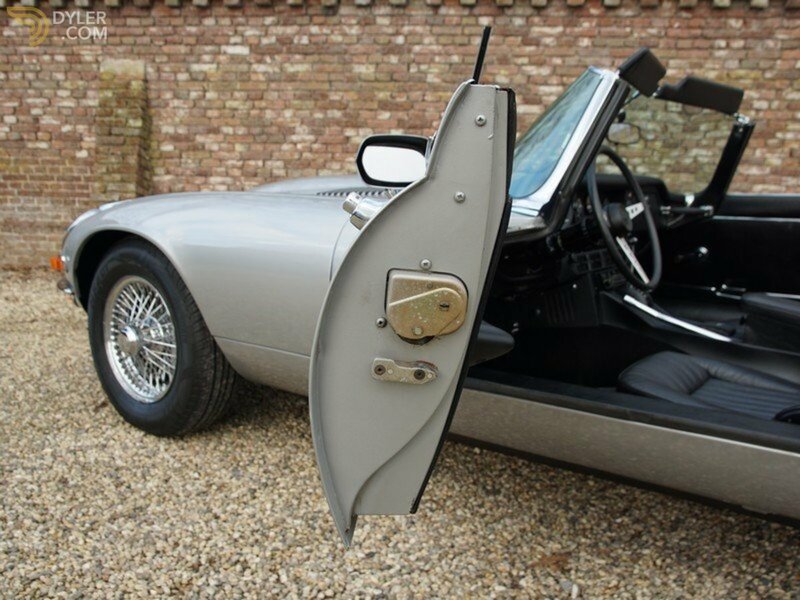 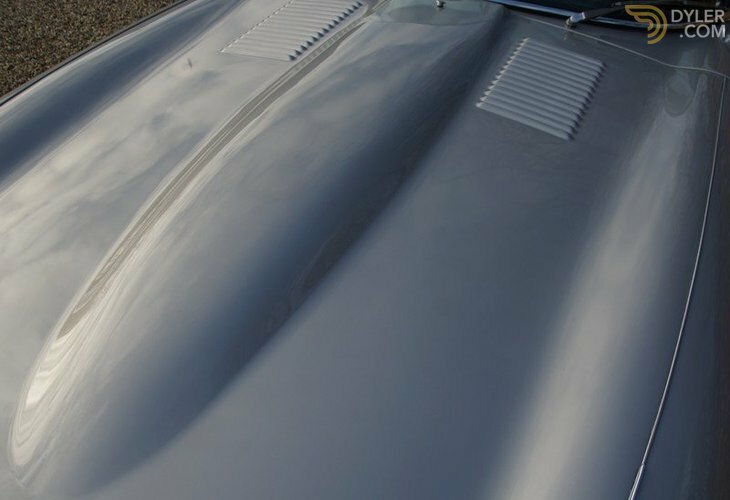 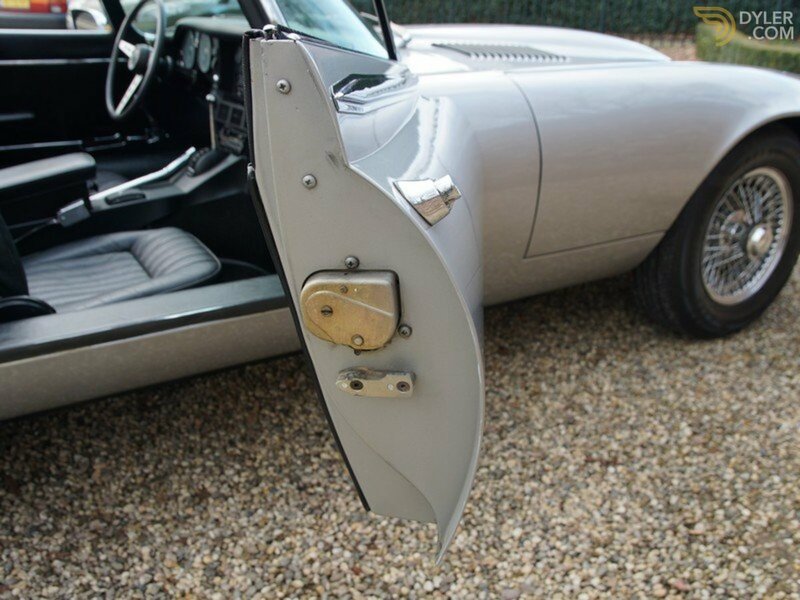 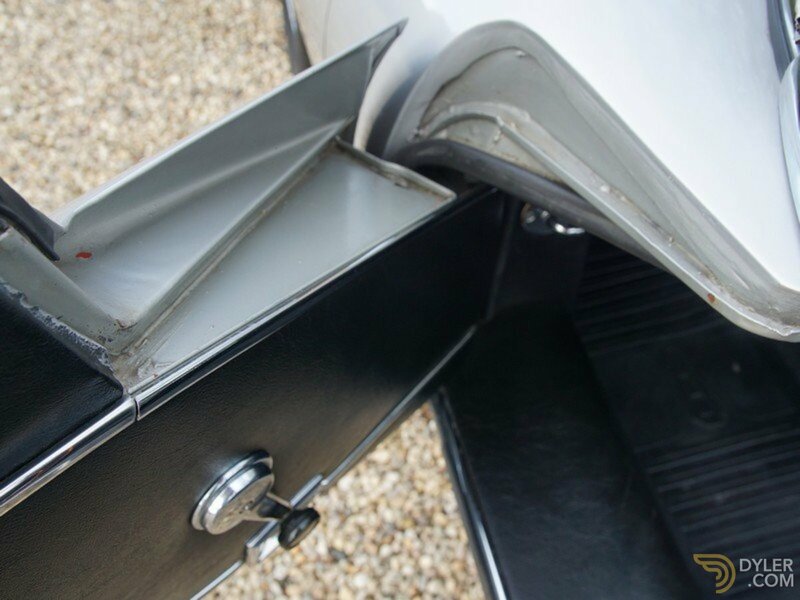 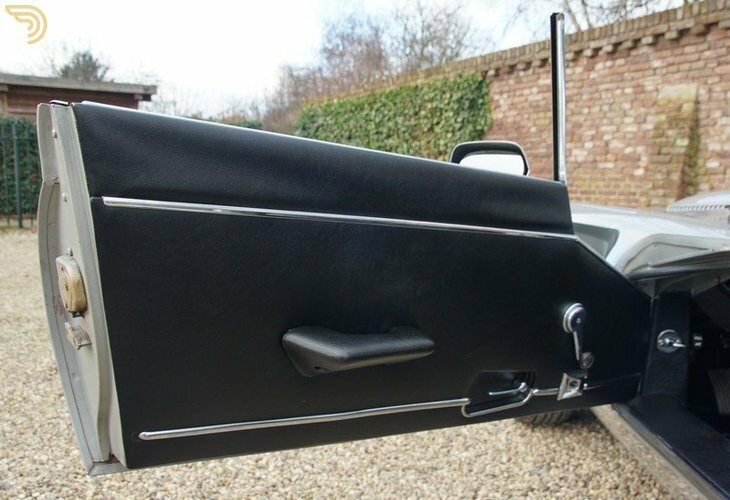 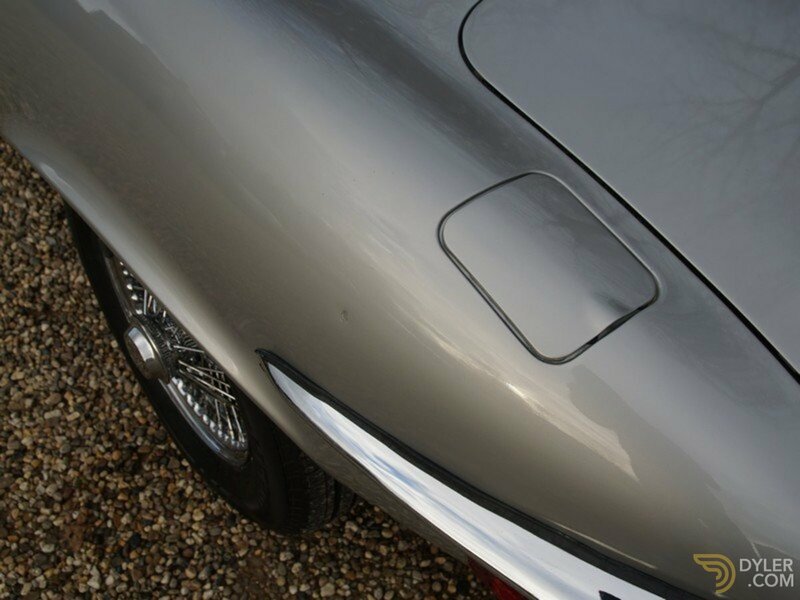 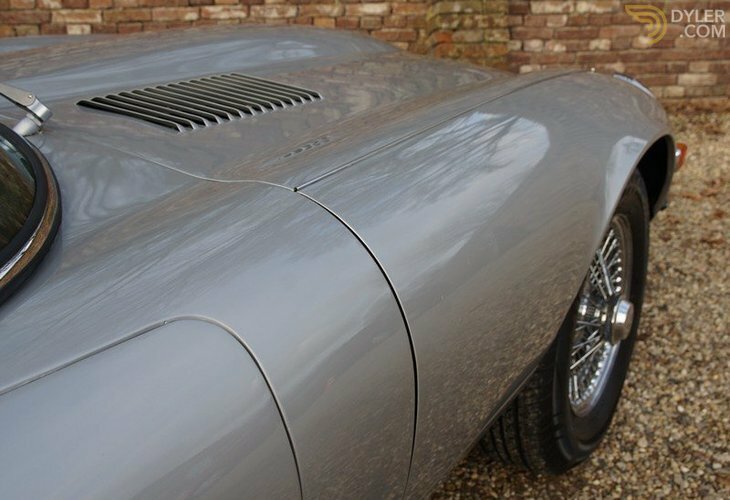 The straight and tight bodywork has snuggly fitting body panels. 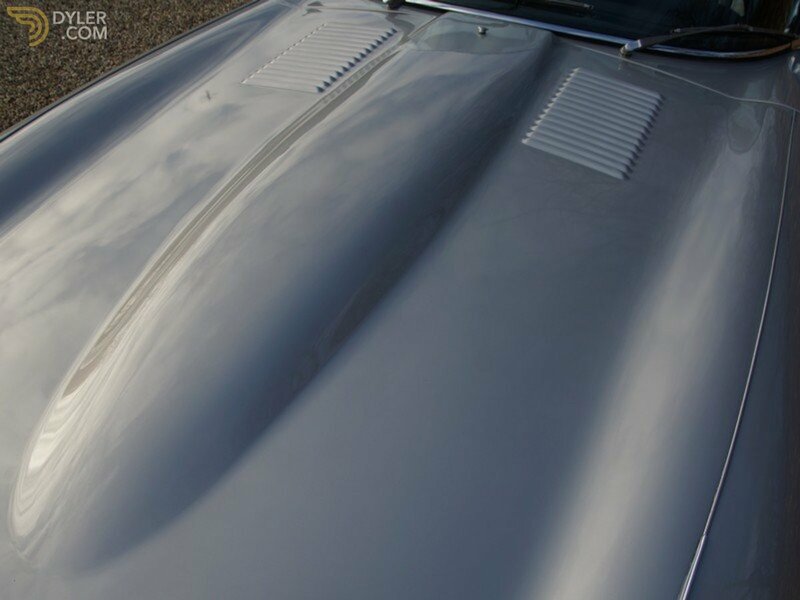 The chrome details are as good as new. 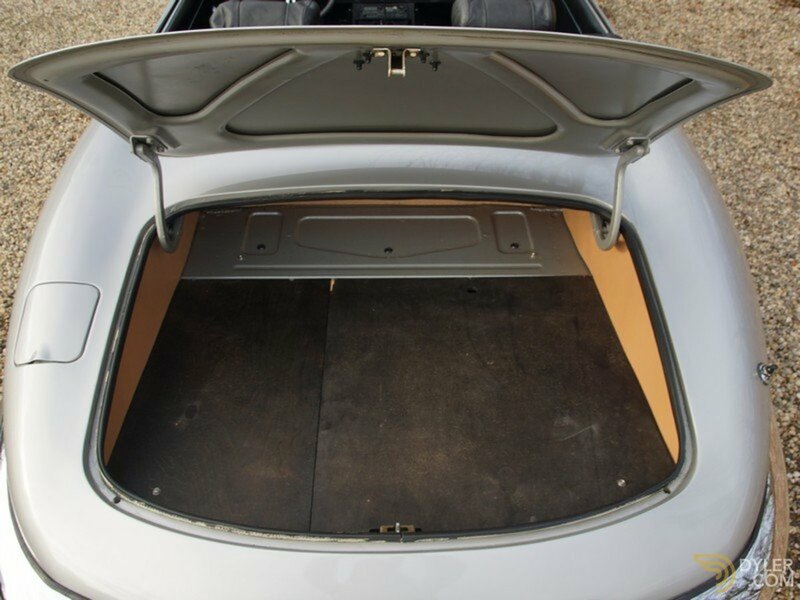 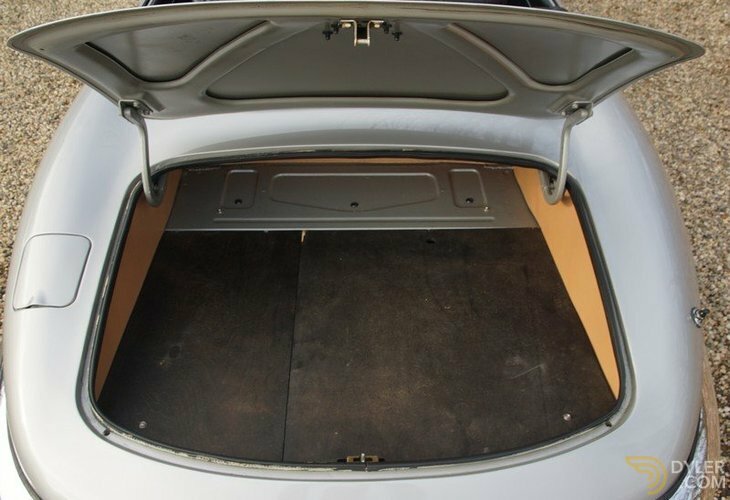 The uncorroded original underbody is supremely sound. 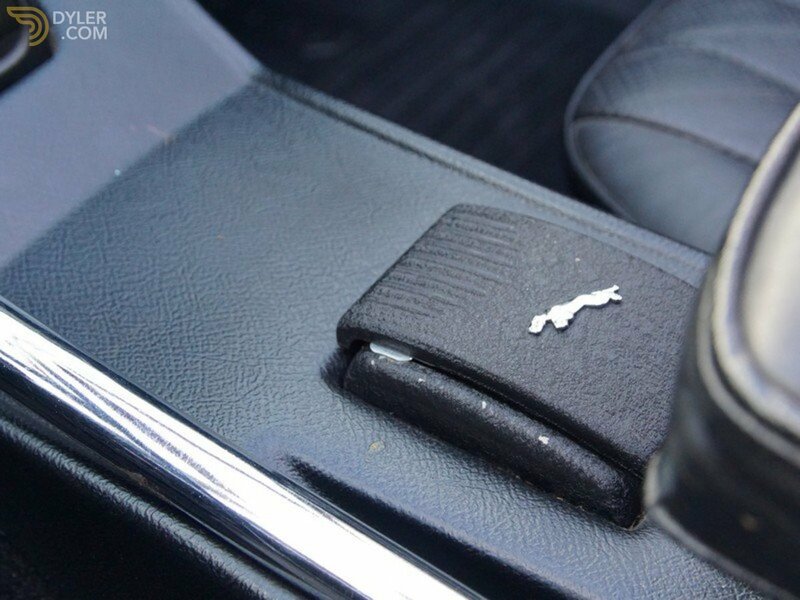 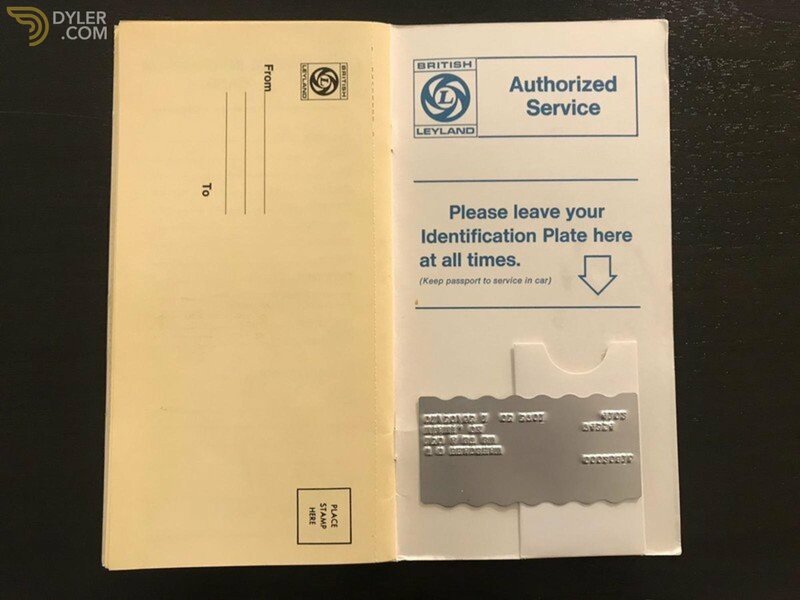 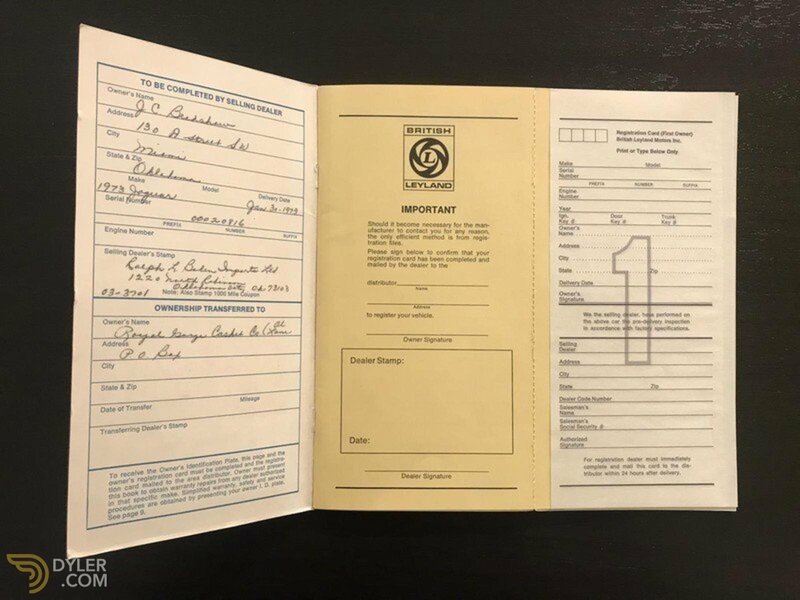 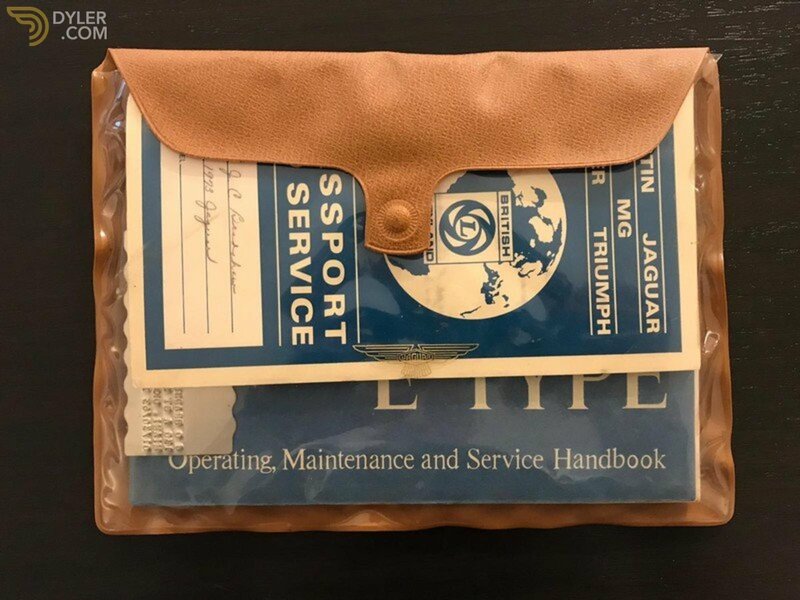 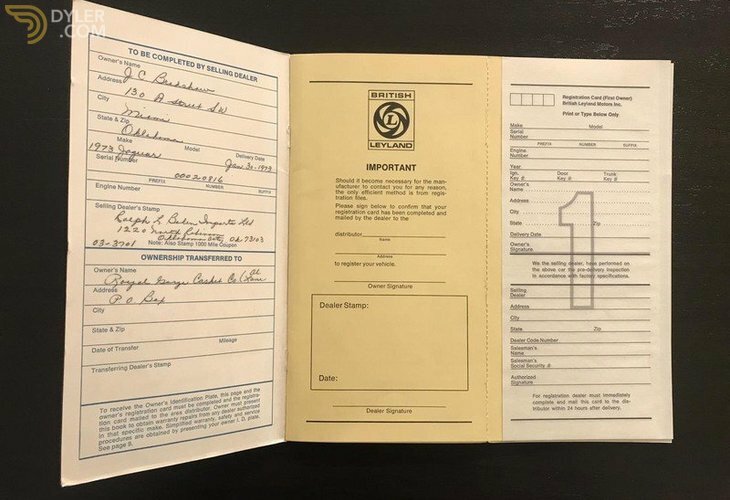 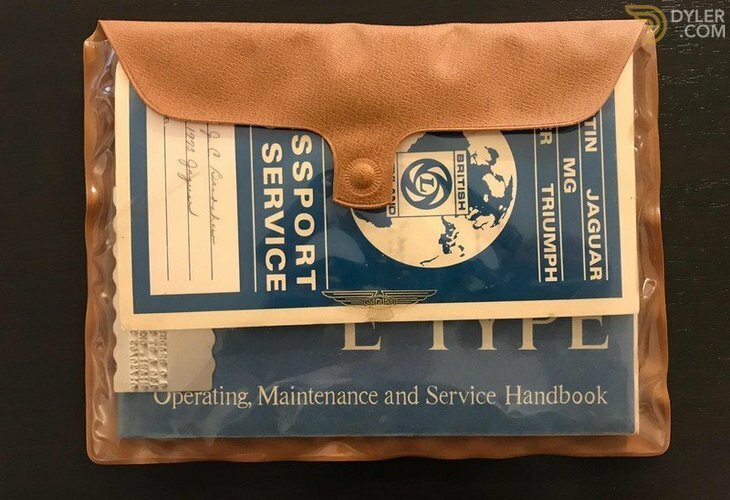 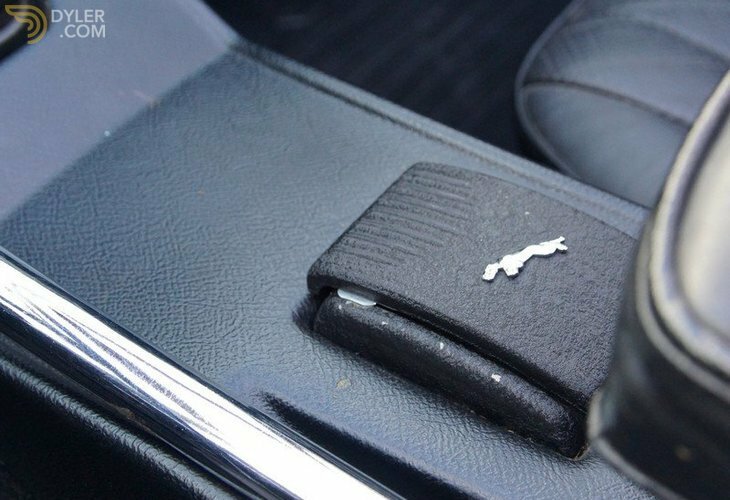 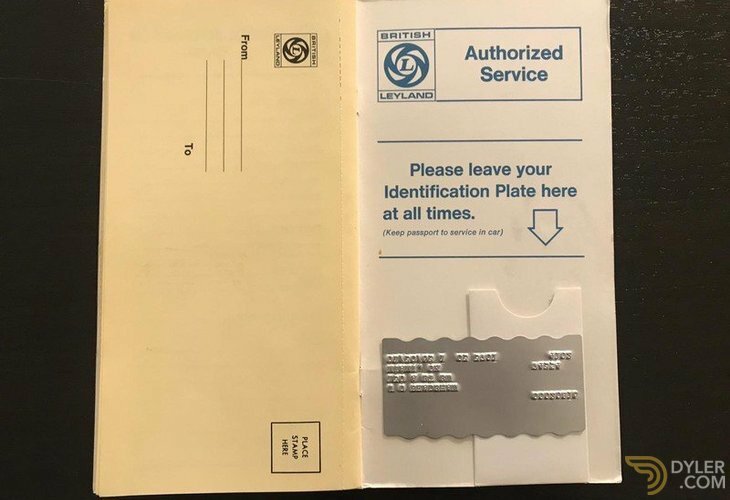 It comes fully documented with its car wallet containing the original service book and owners manual. 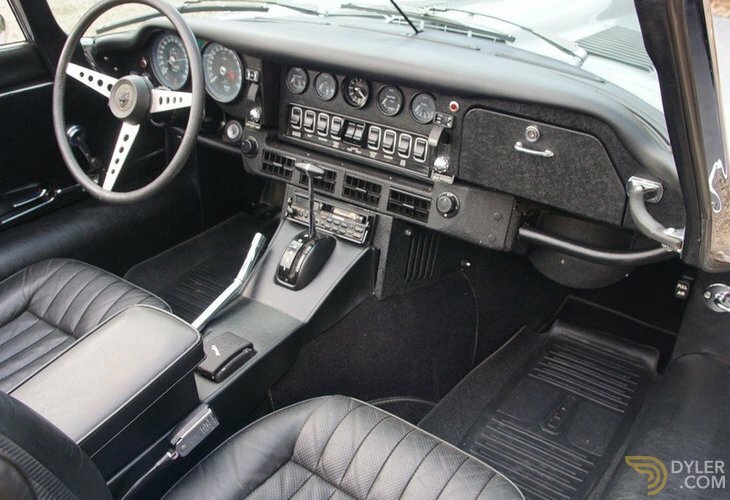 It has factory-fitted aircon and automatic transmission. 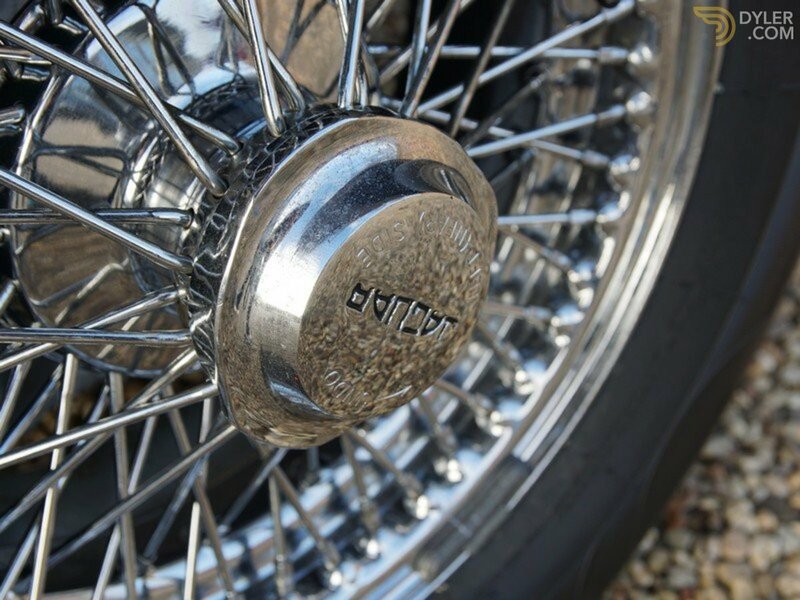 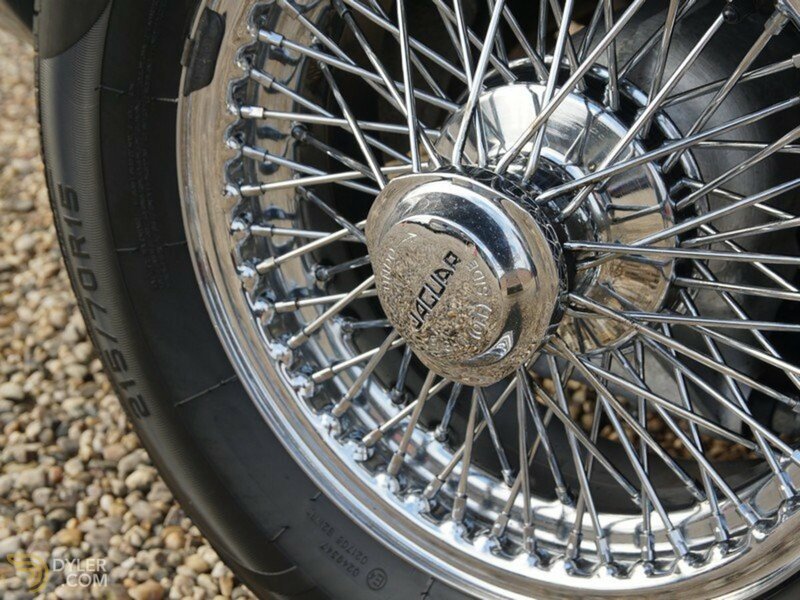 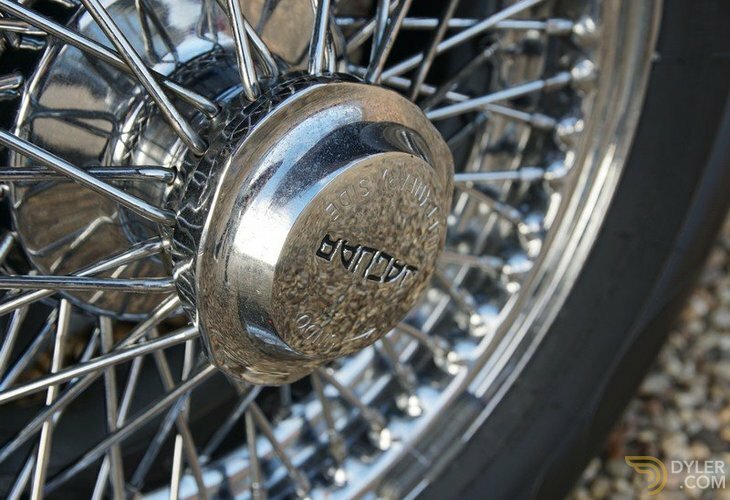 It sports beautiful chrome wire wheels. 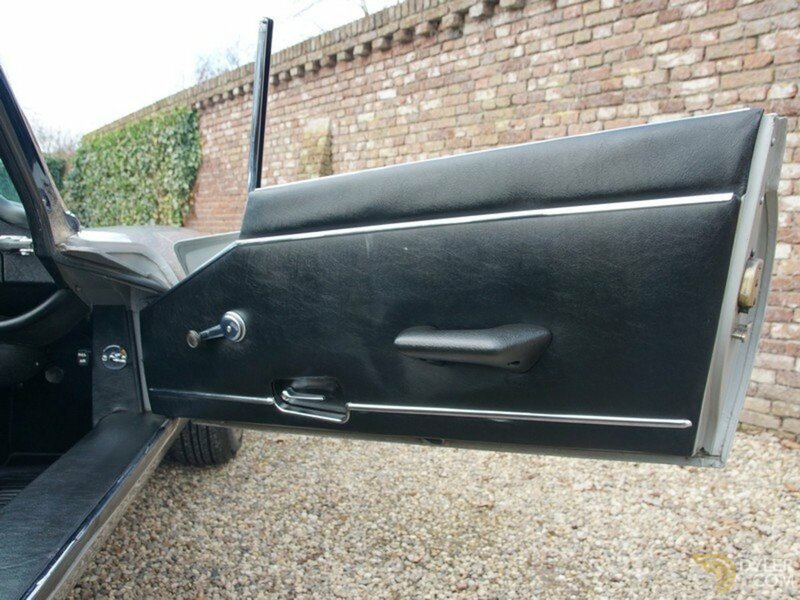 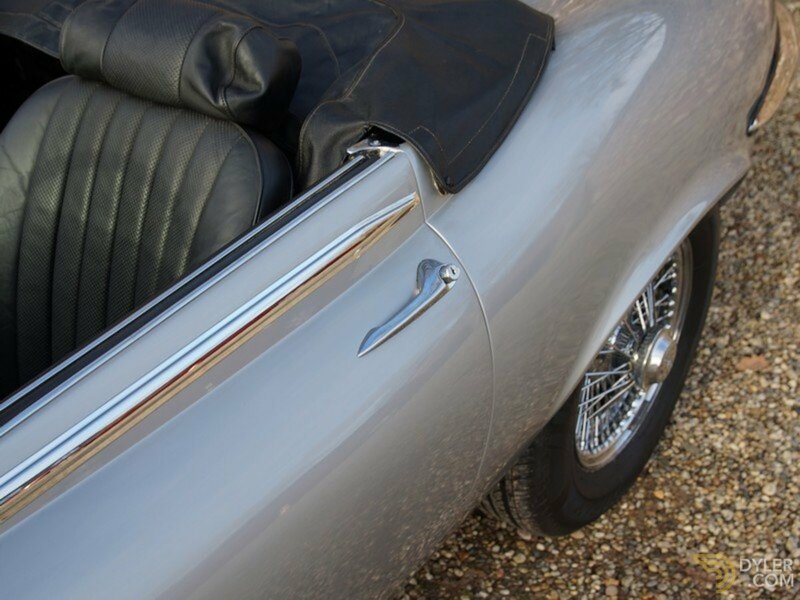 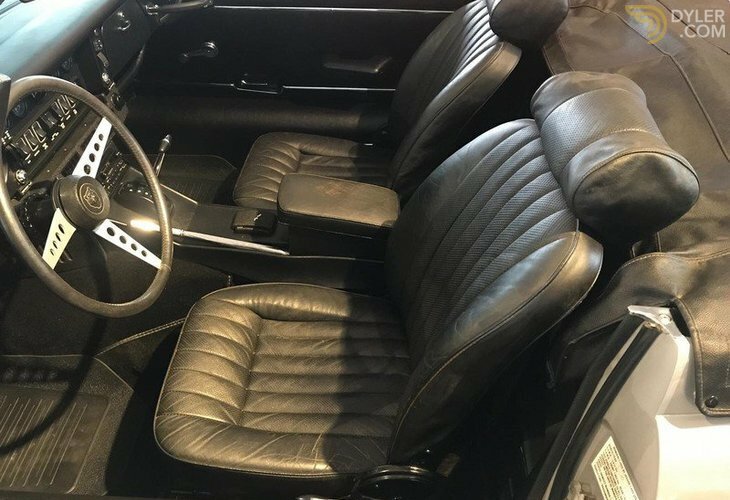 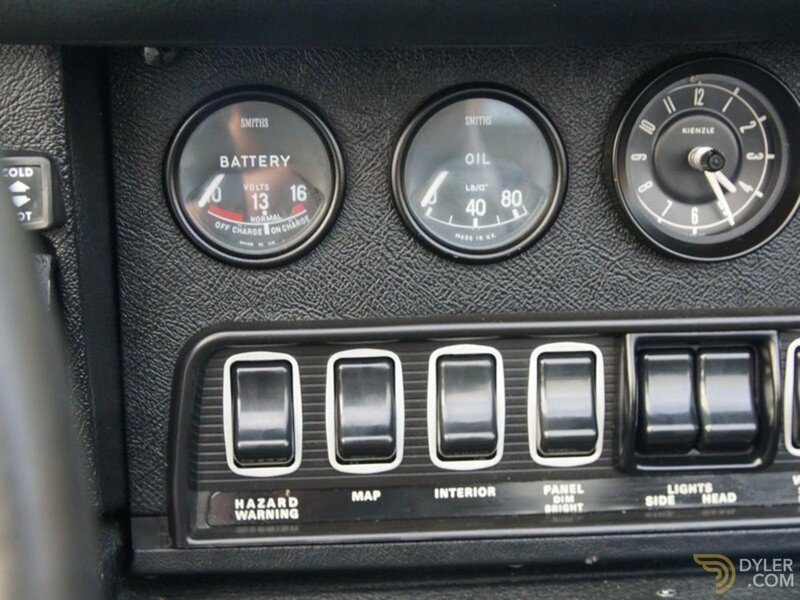 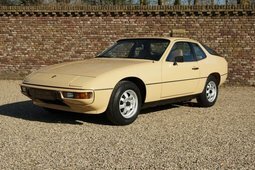 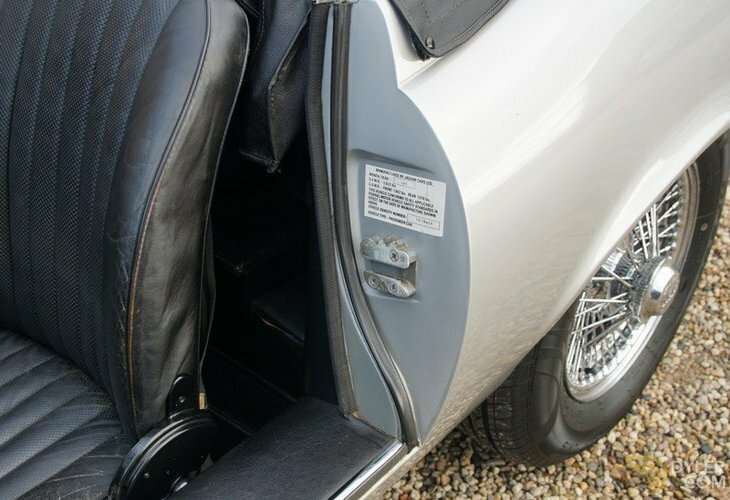 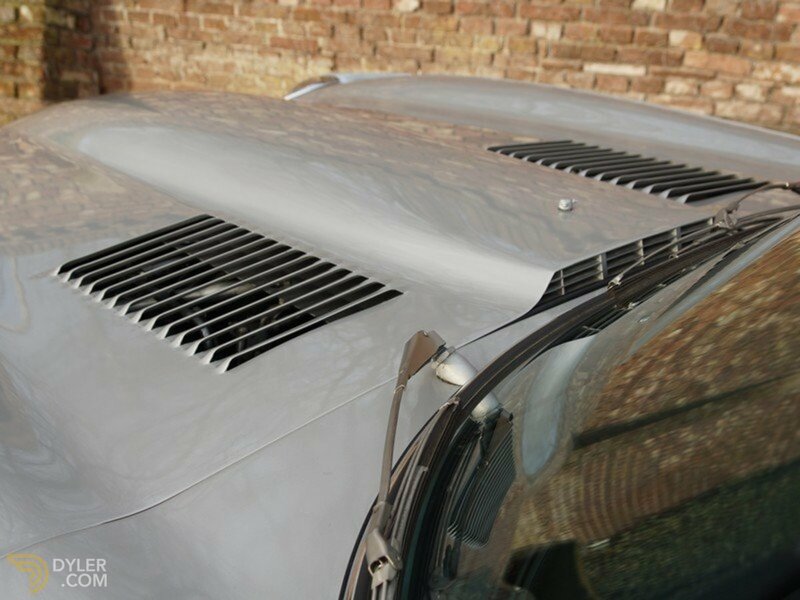 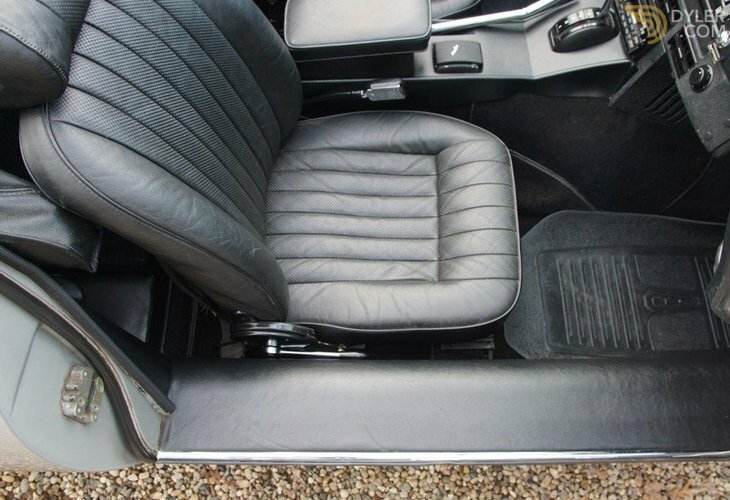 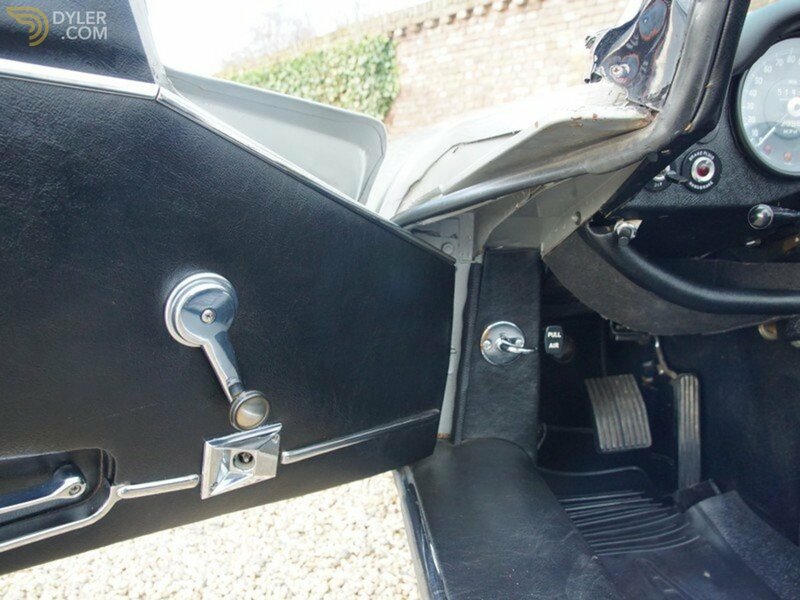 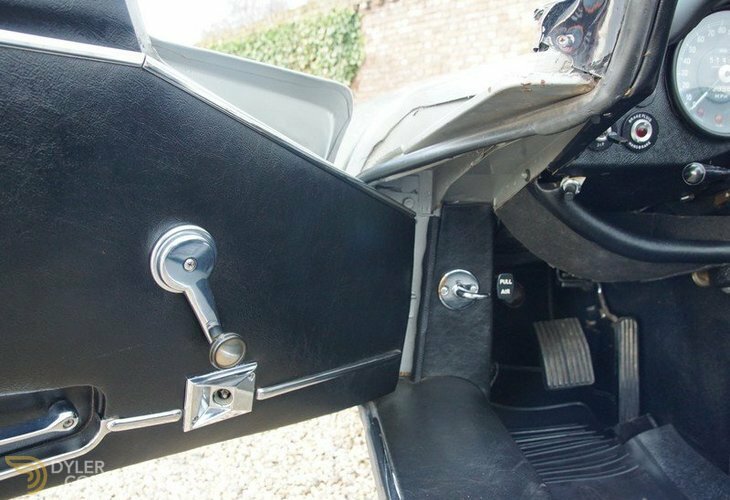 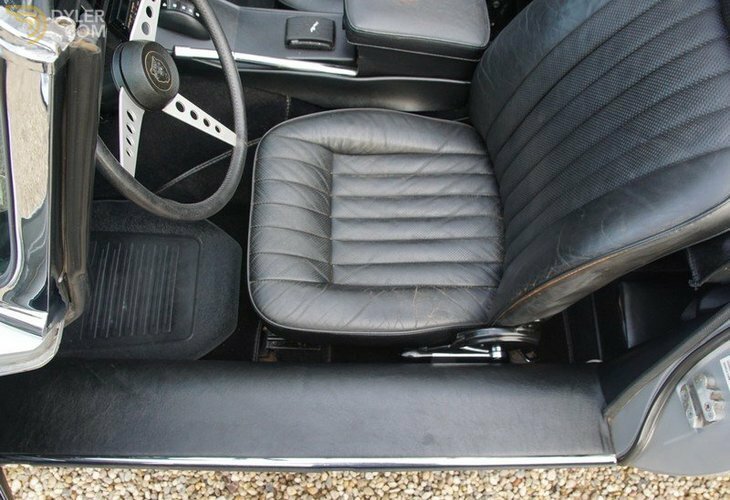 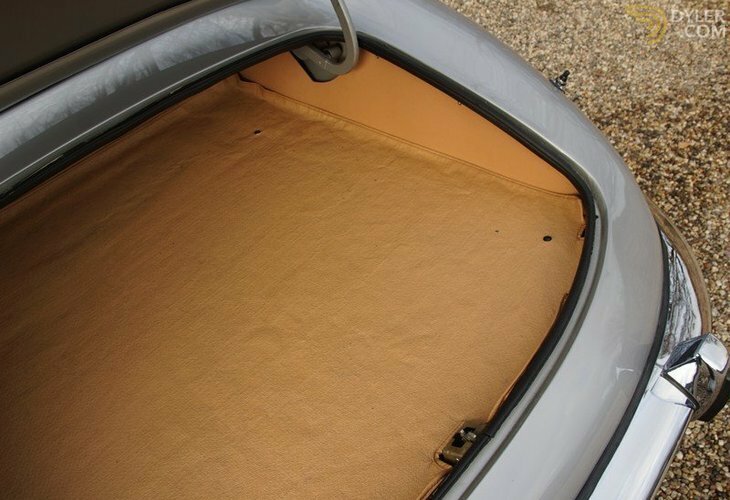 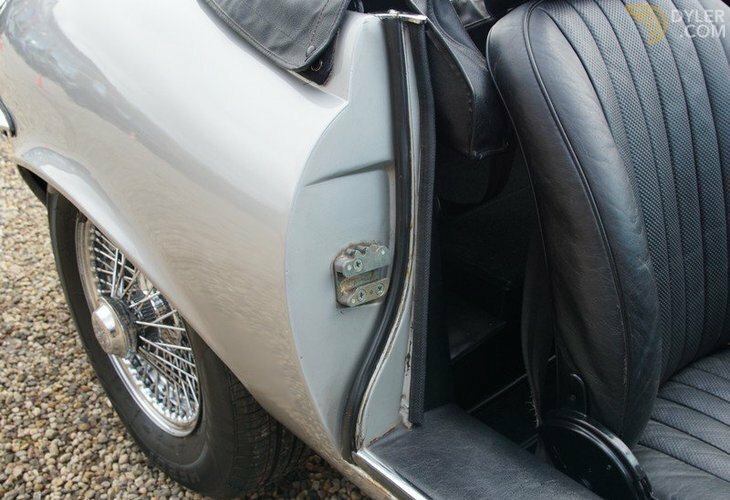 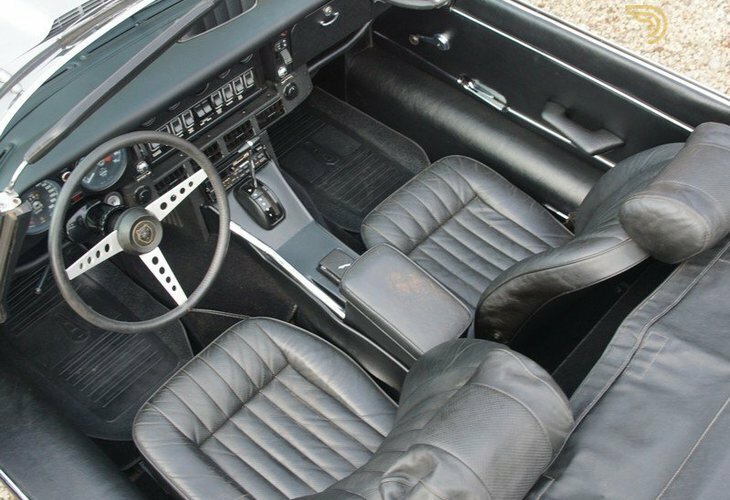 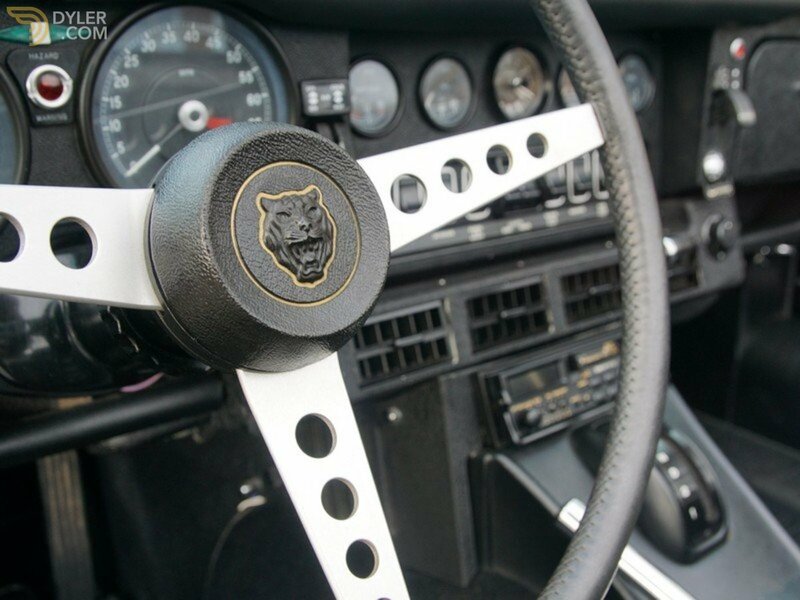 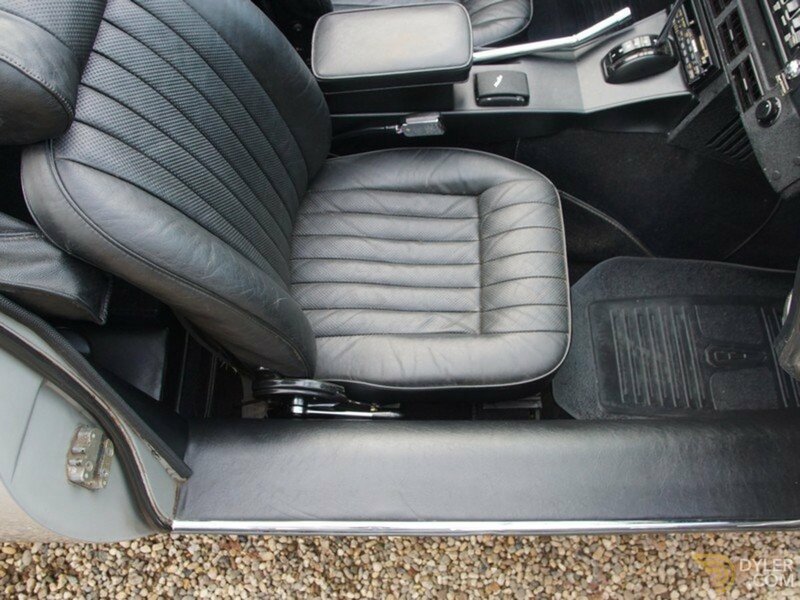 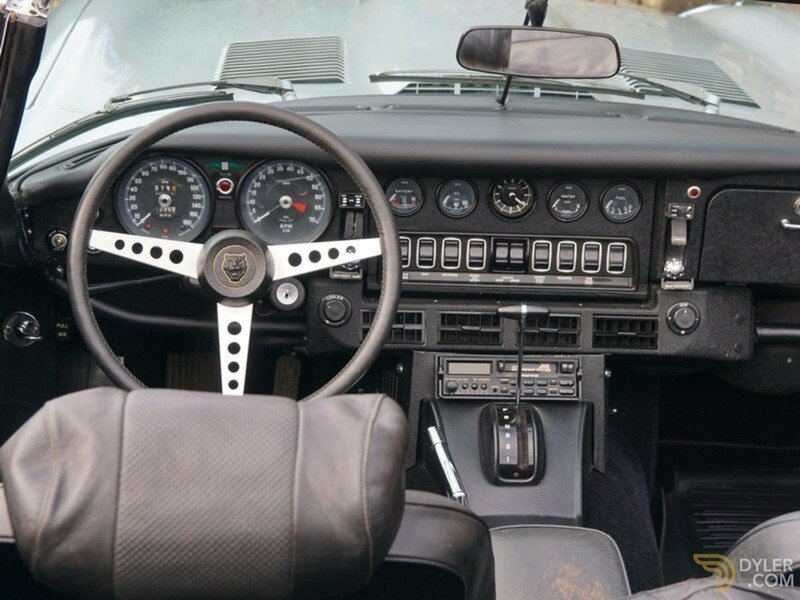 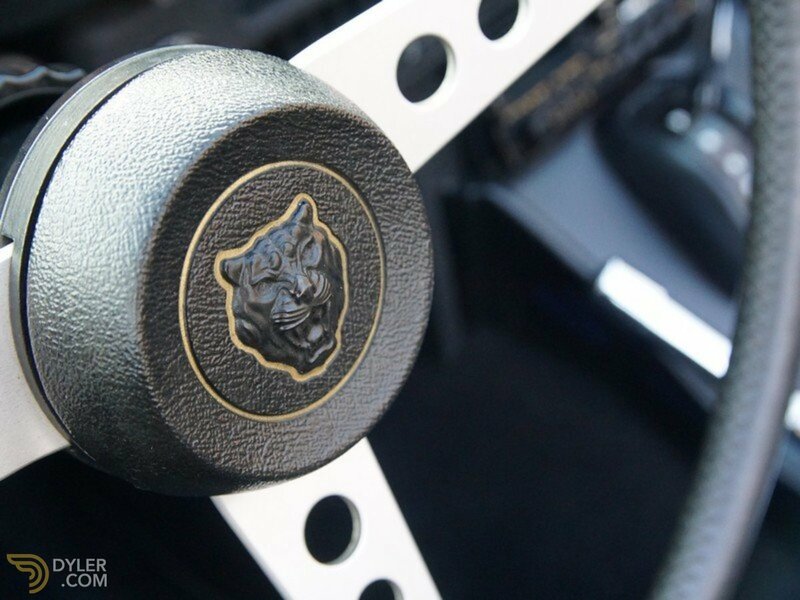 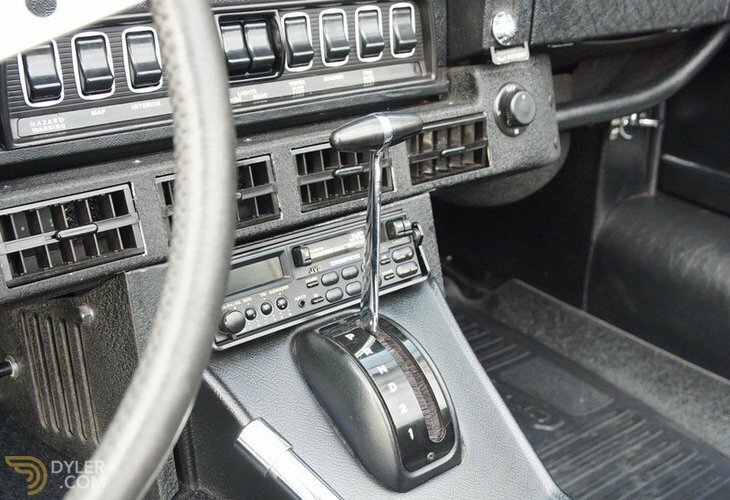 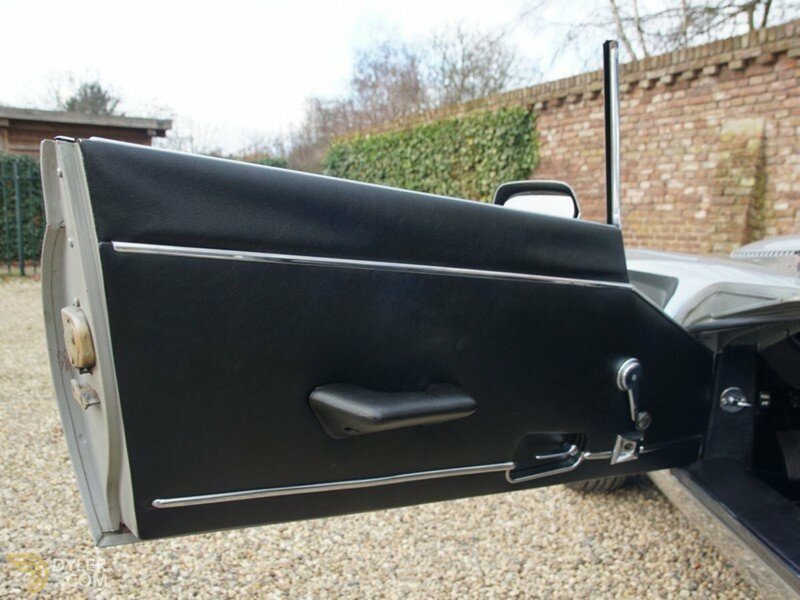 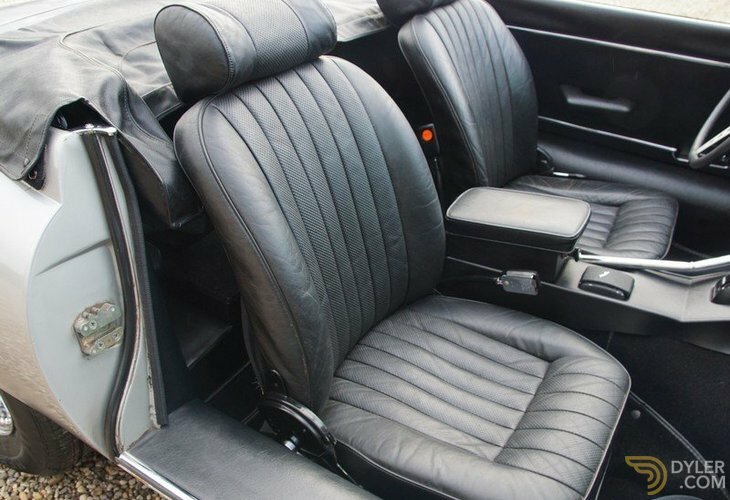 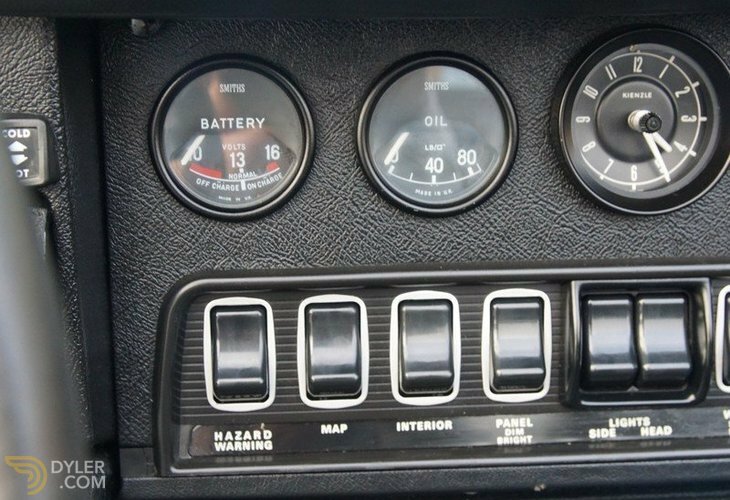 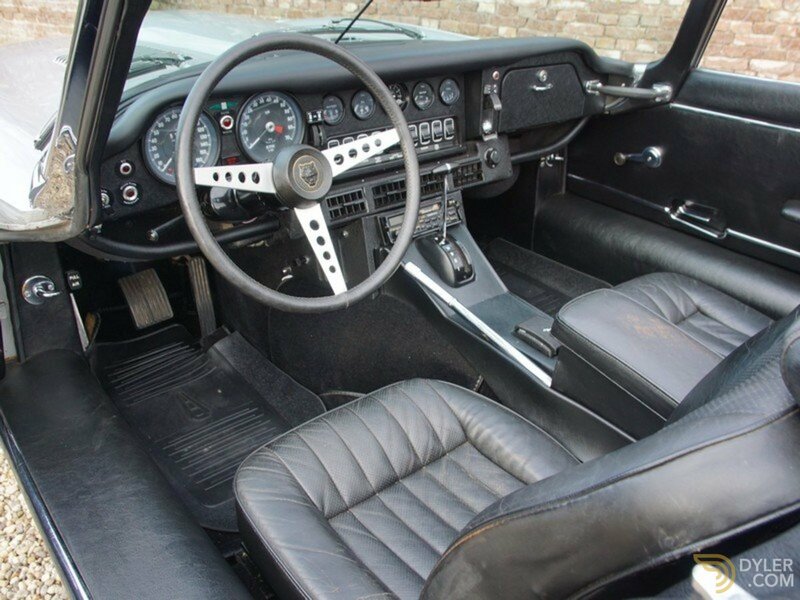 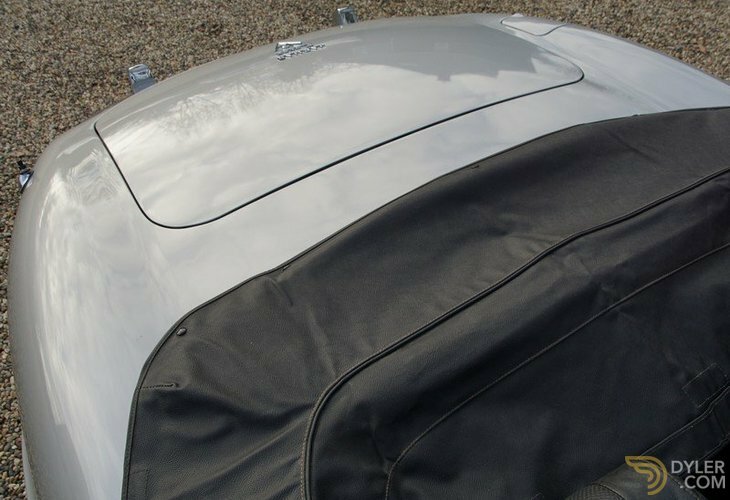 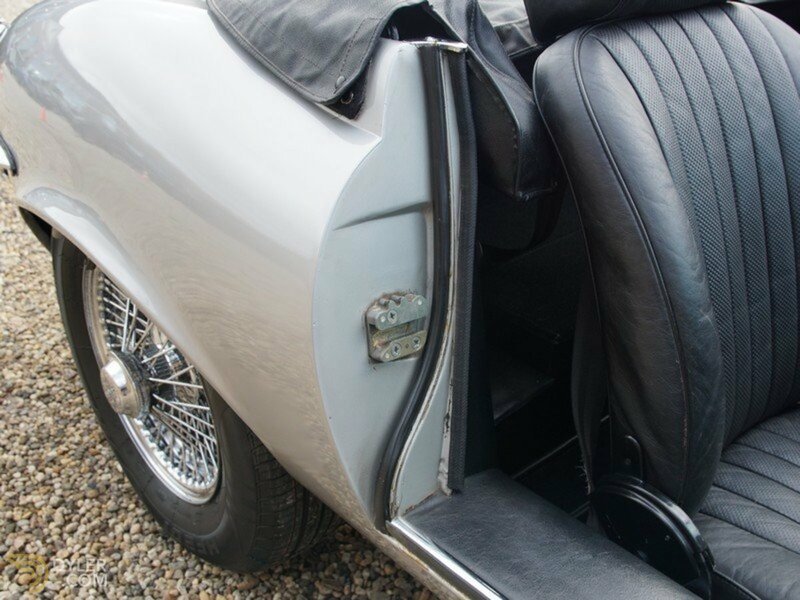 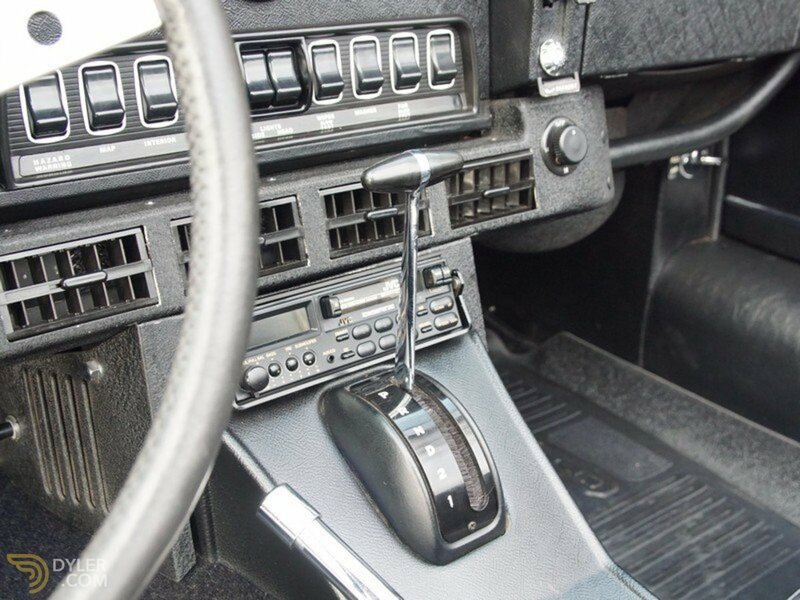 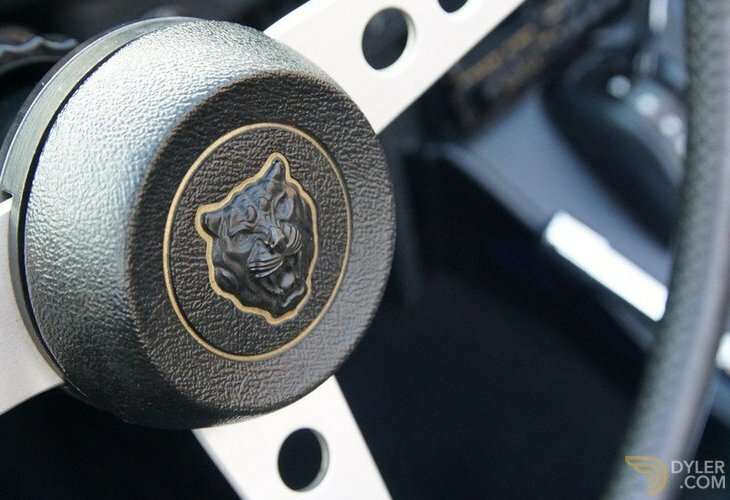 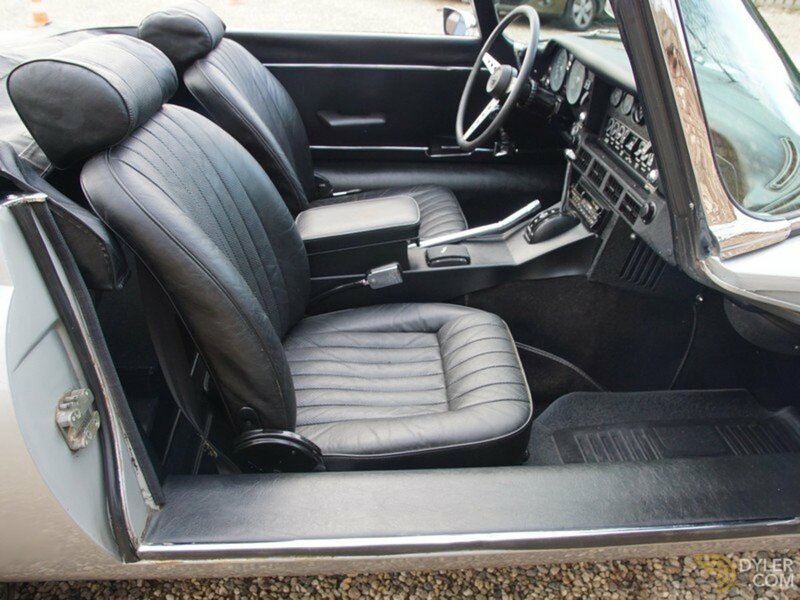 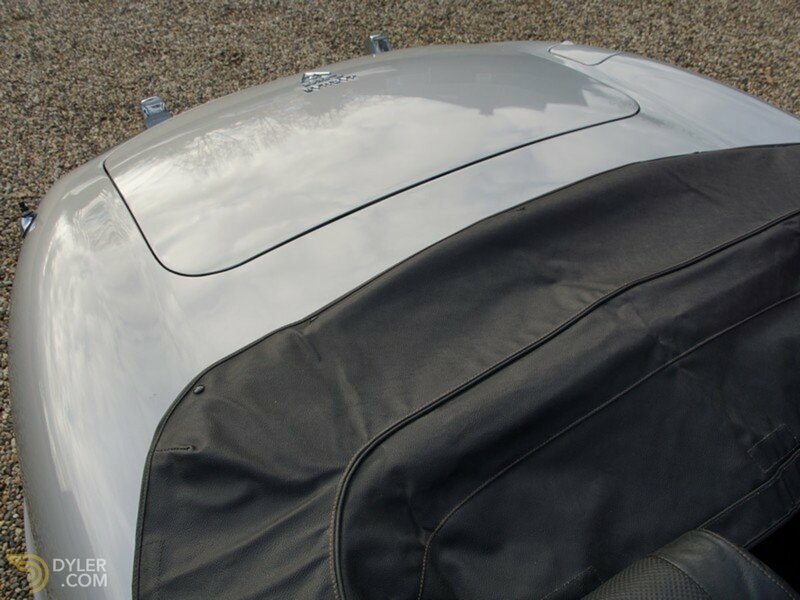 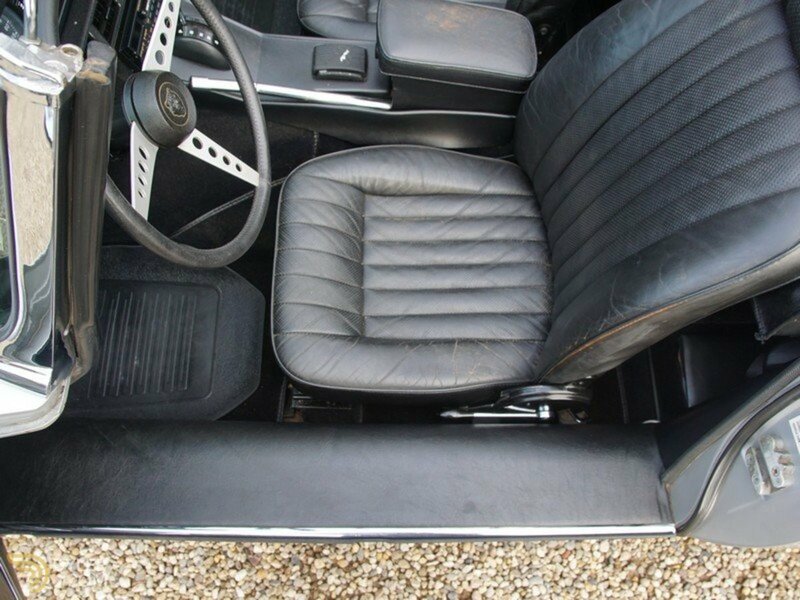 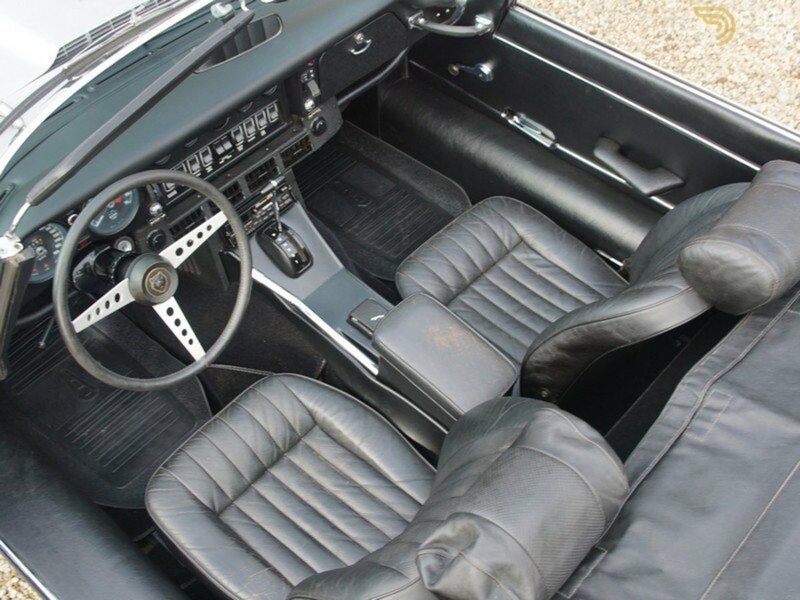 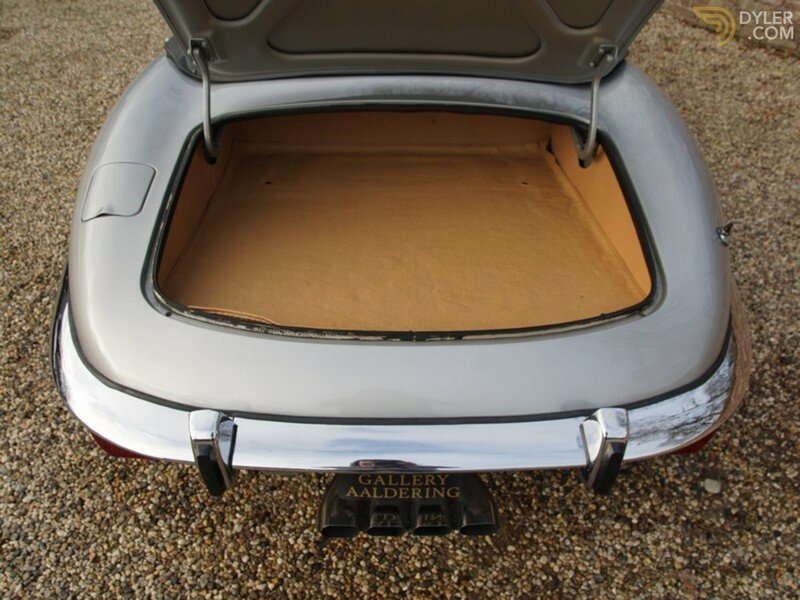 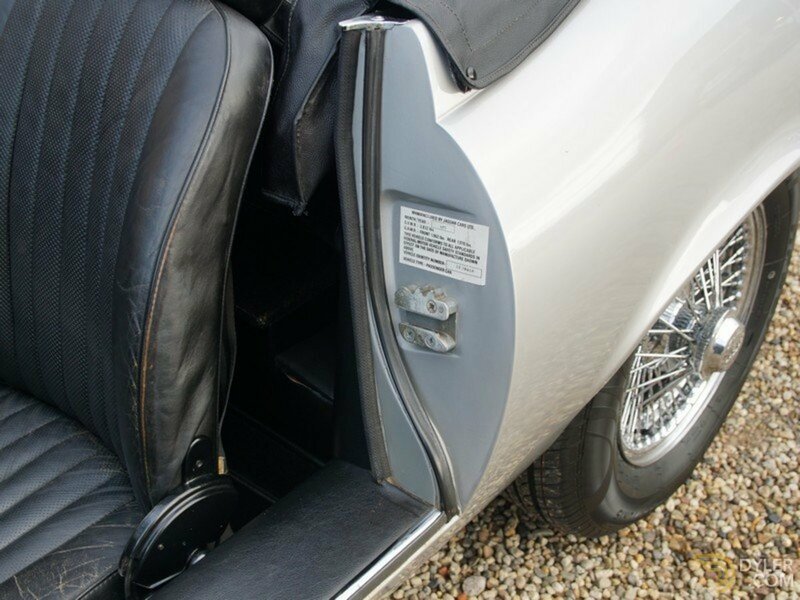 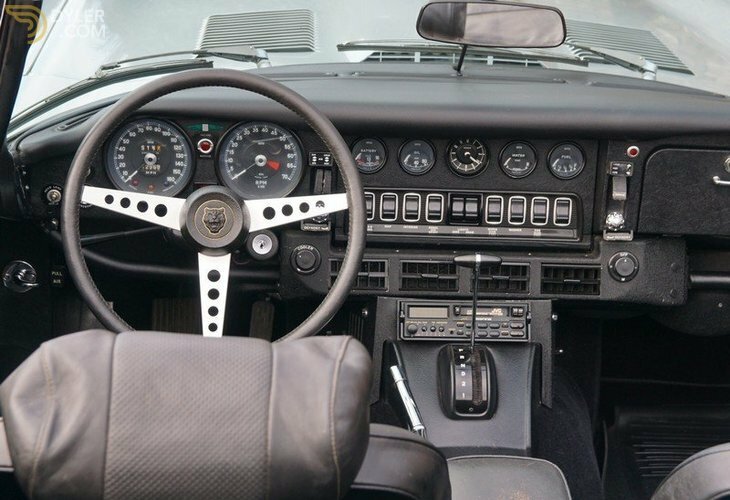 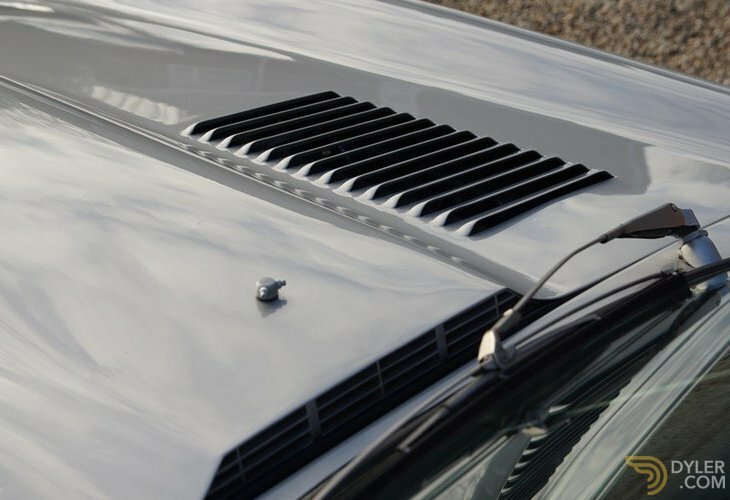 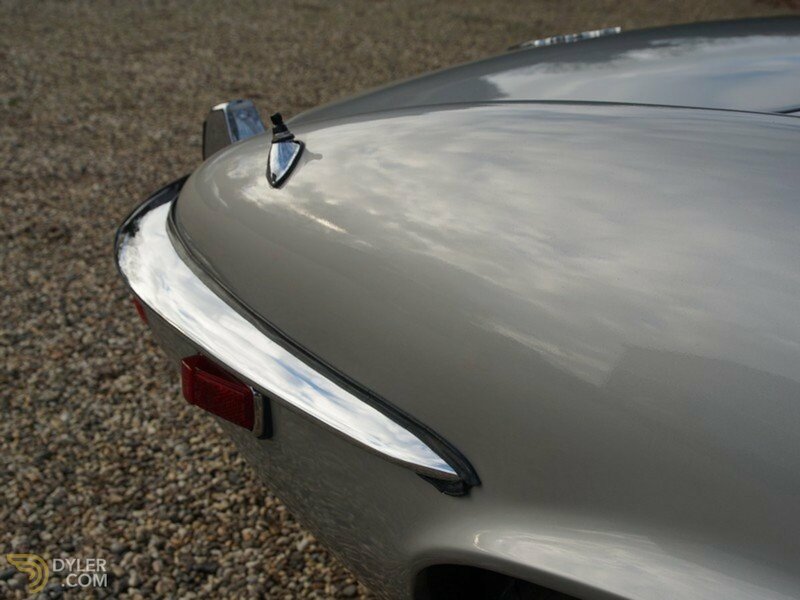 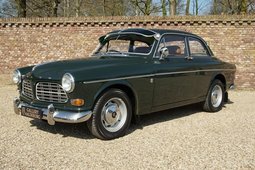 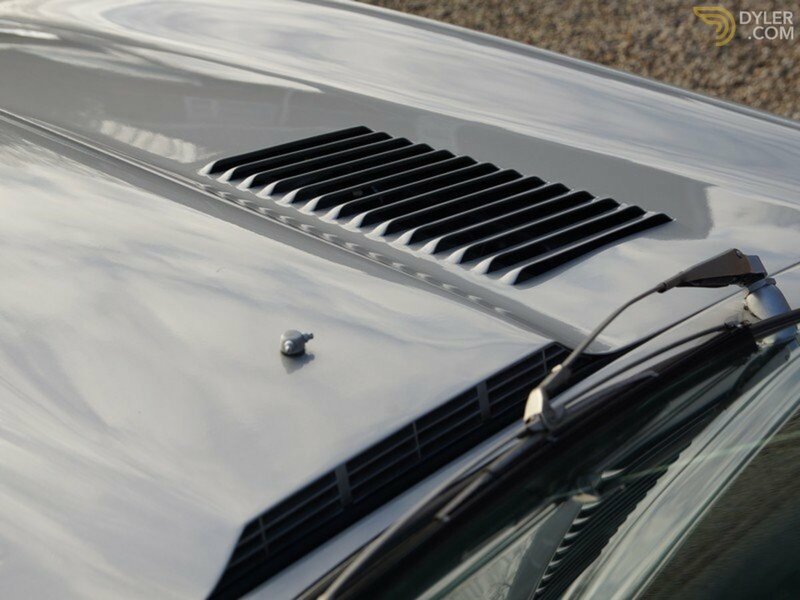 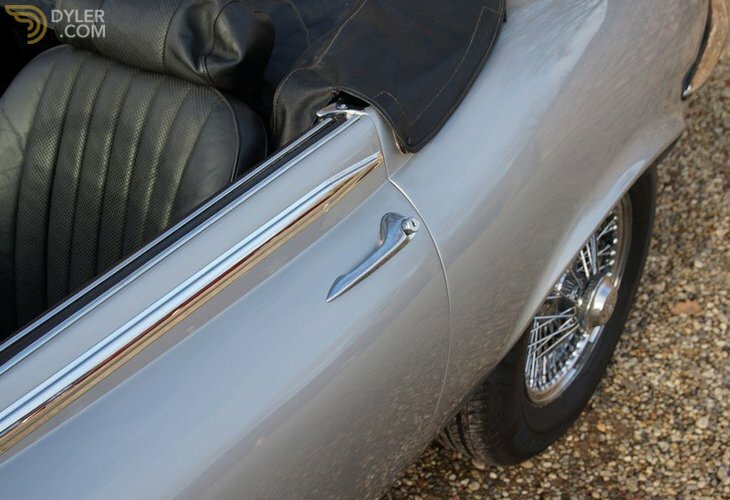 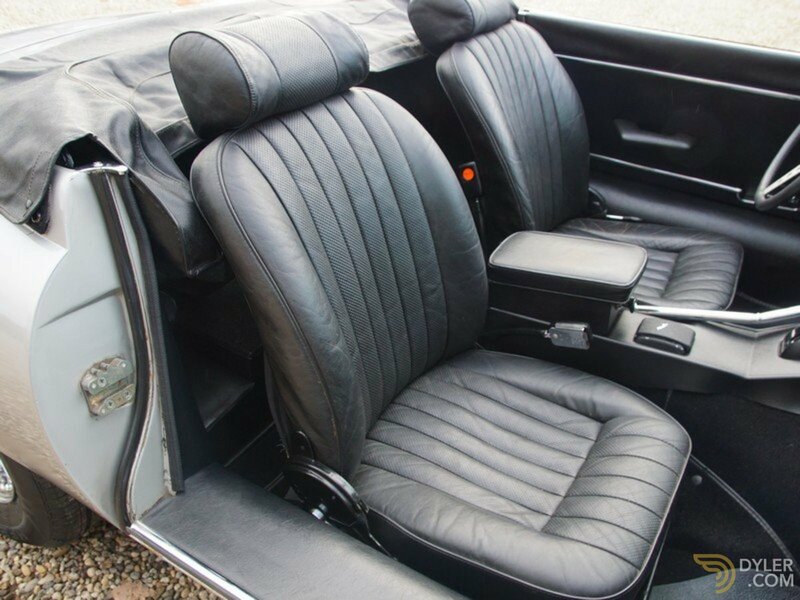 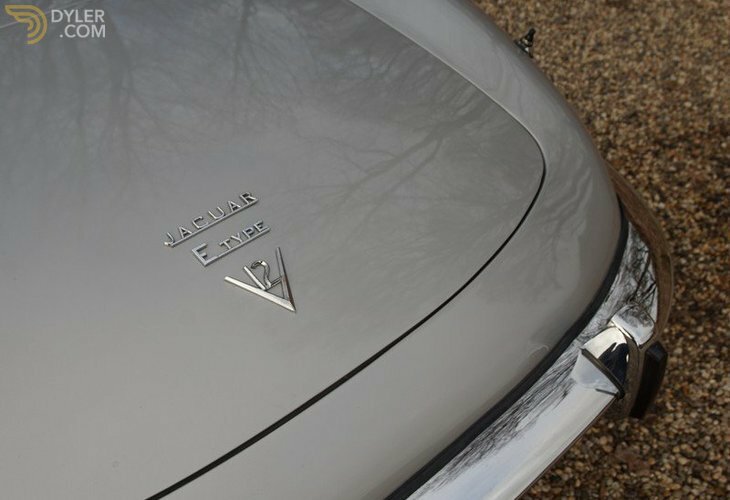 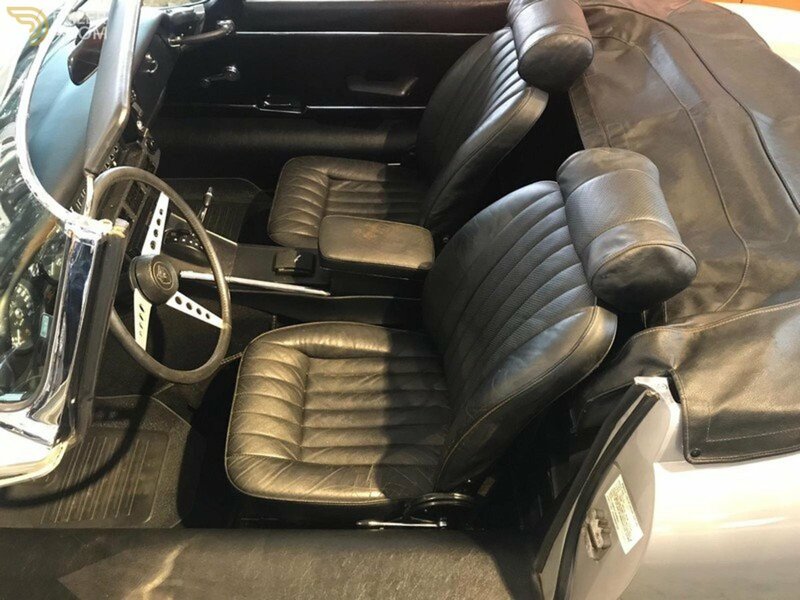 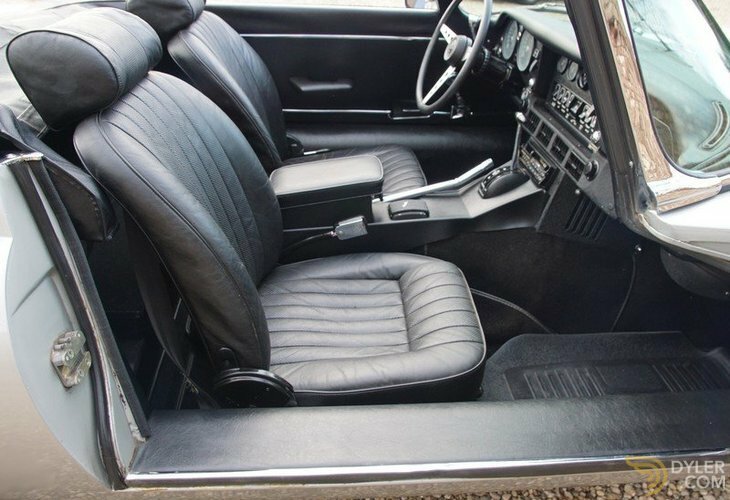 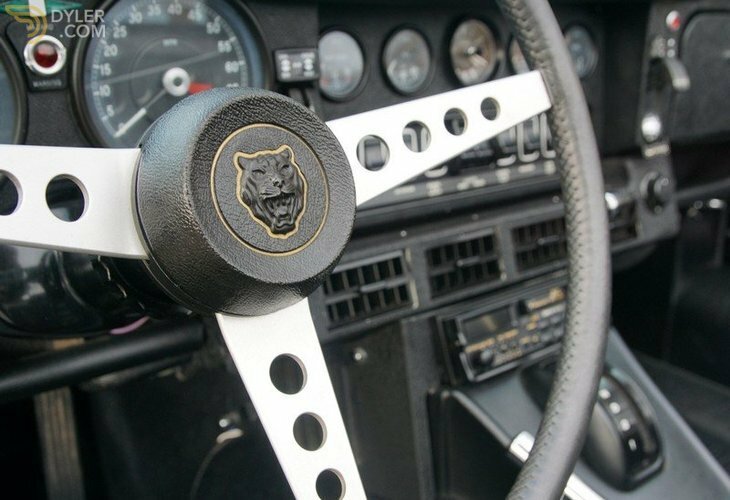 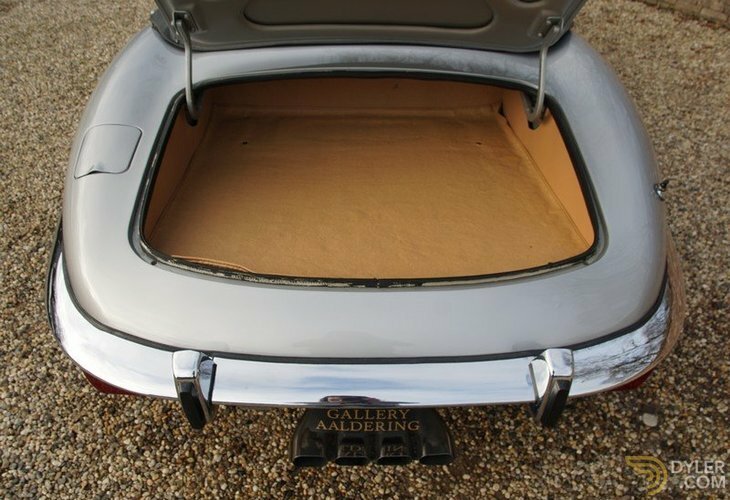 It has an original ’Opalescent Silver’ finish with a original black leather interior trim and matching hood. 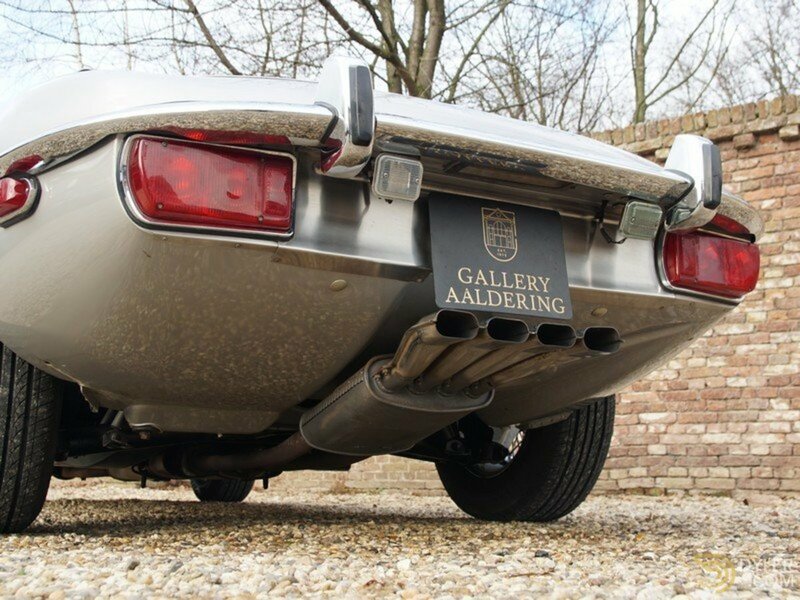 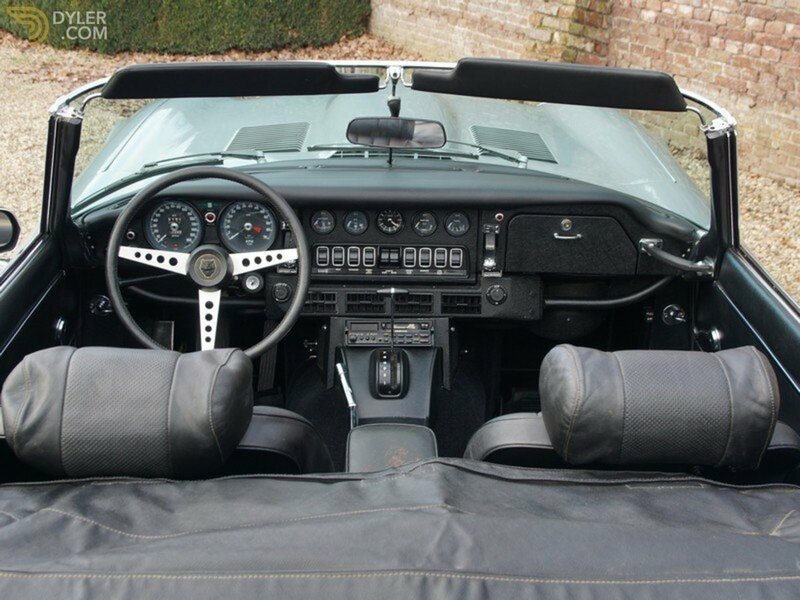 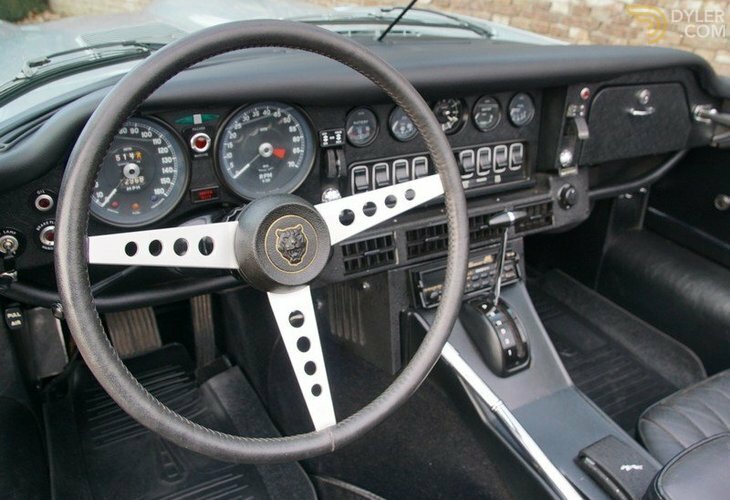 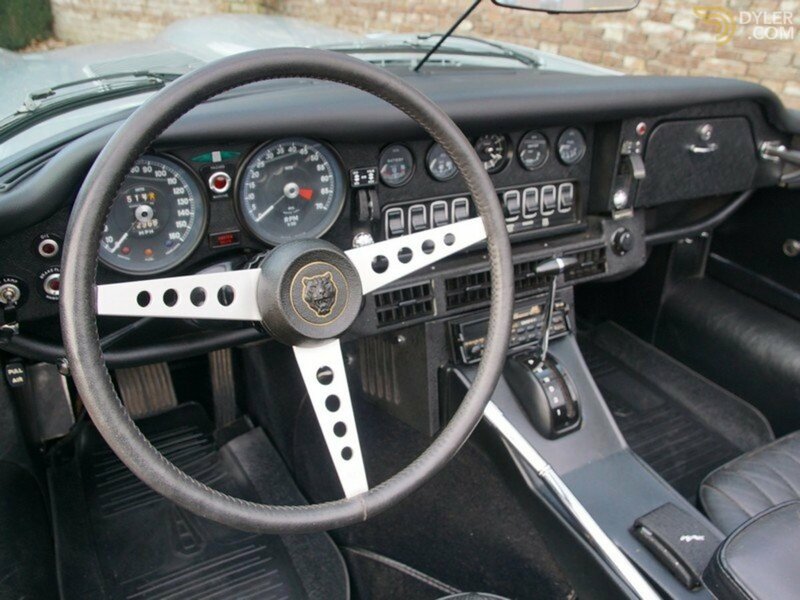 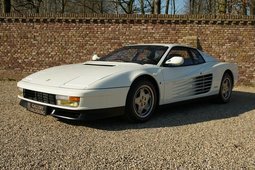 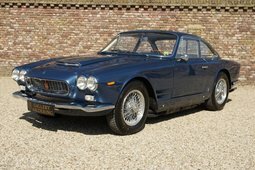 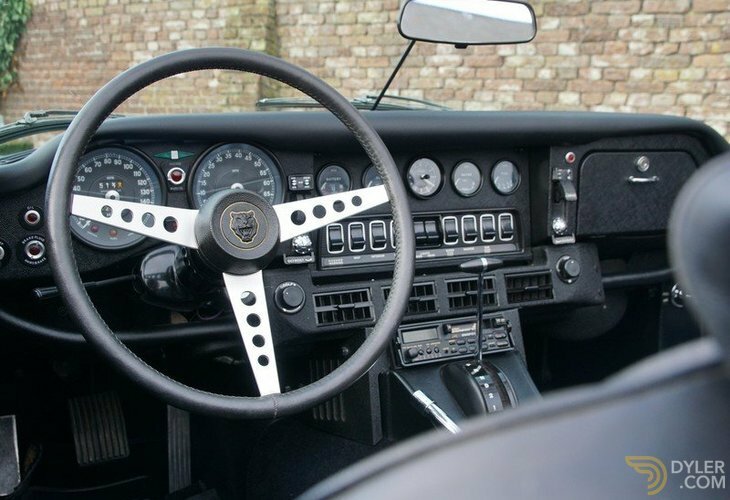 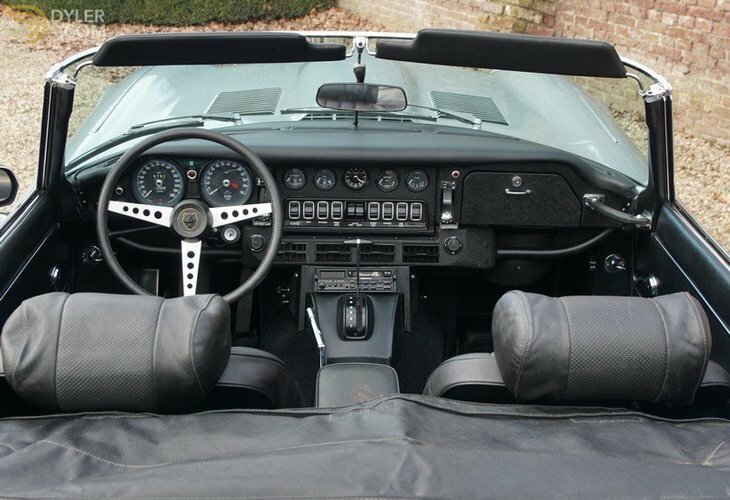 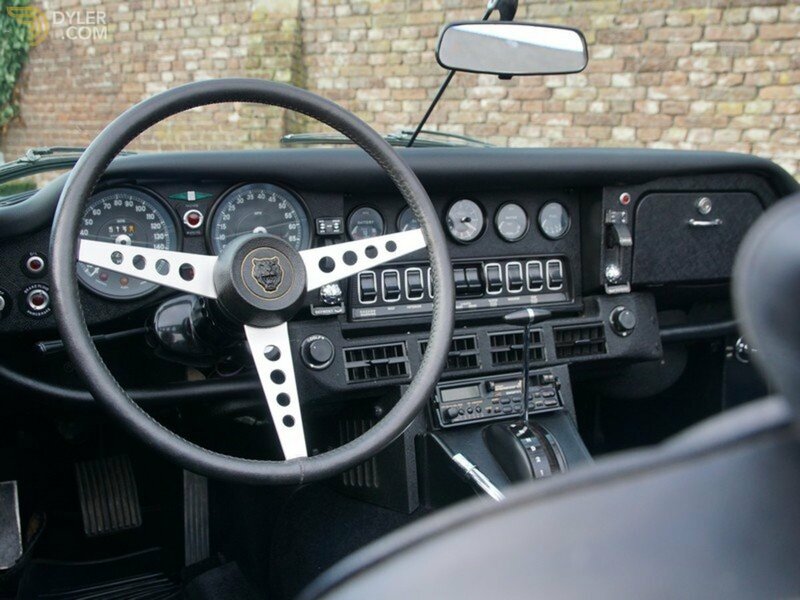 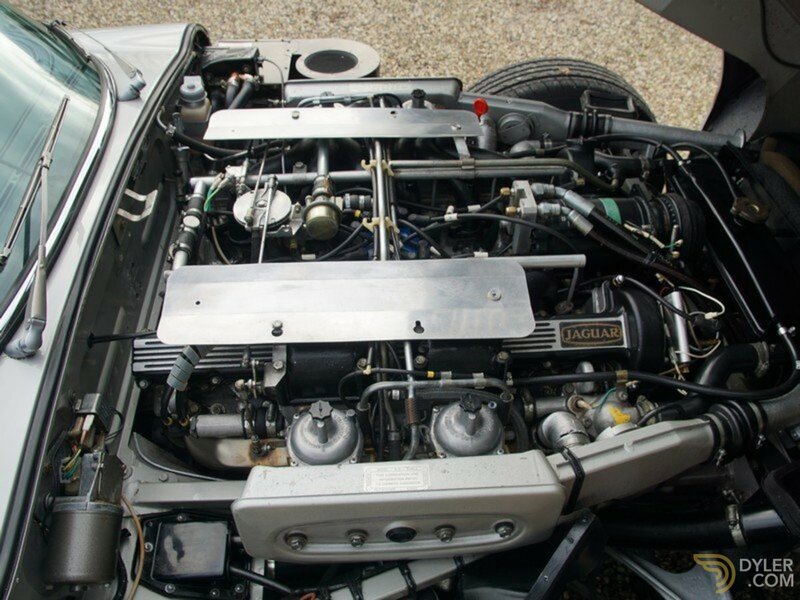 It has retained its original, matching numbers, V12. 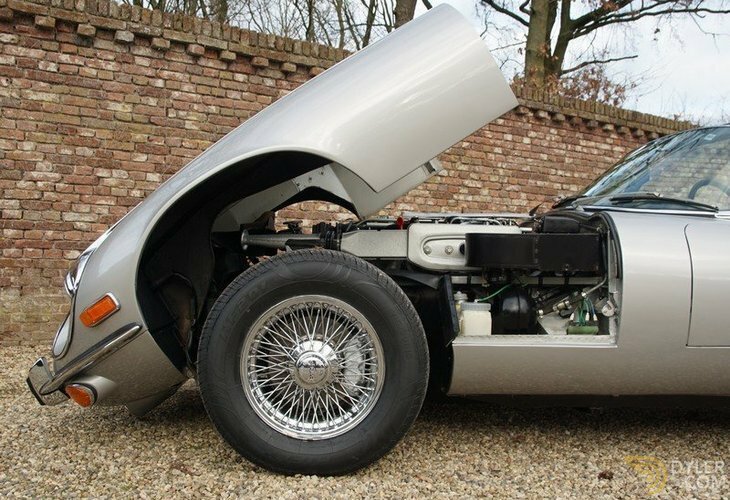 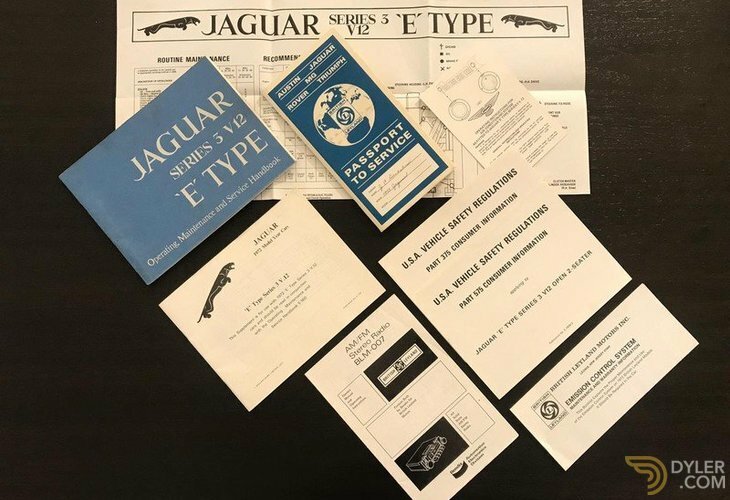 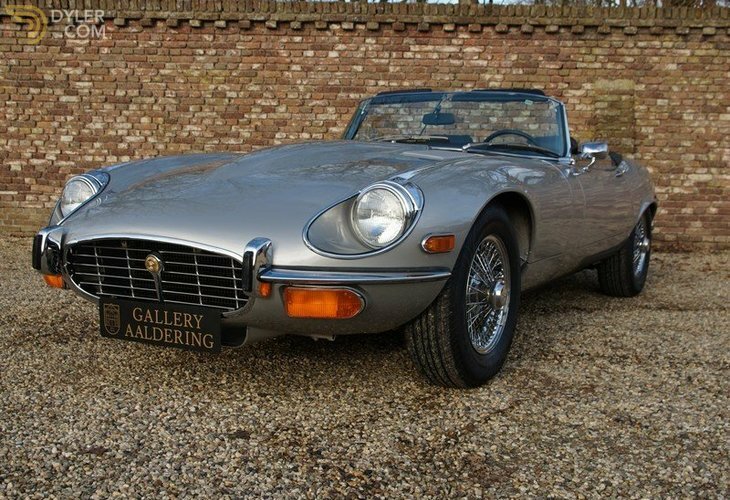 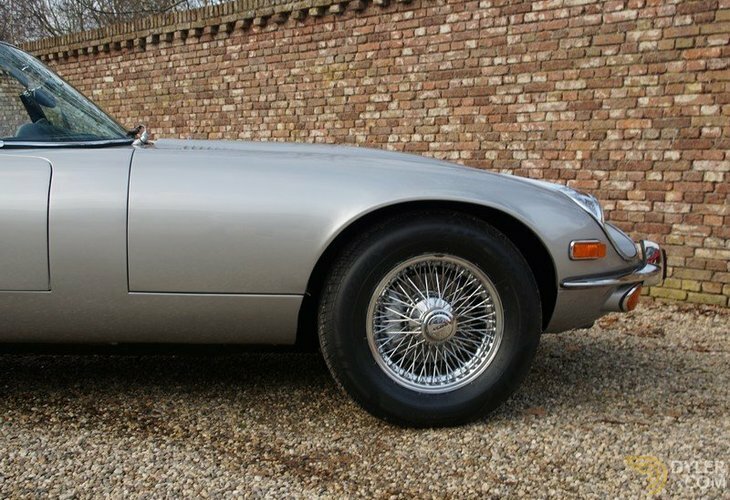 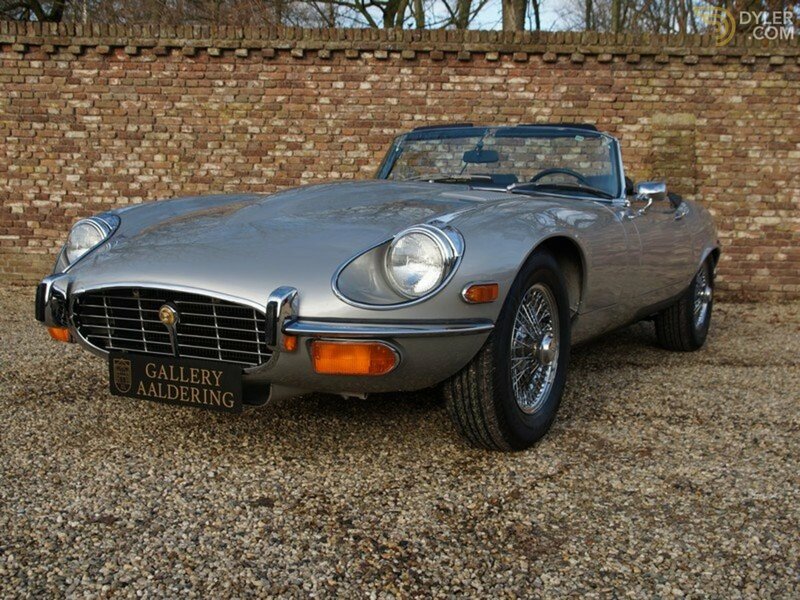 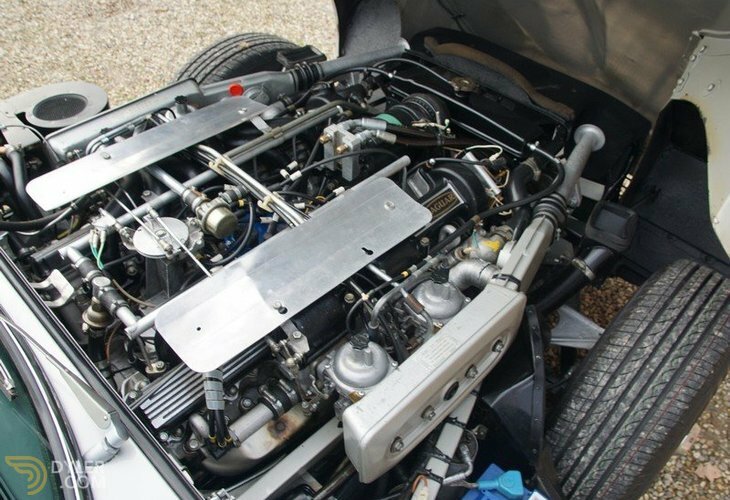 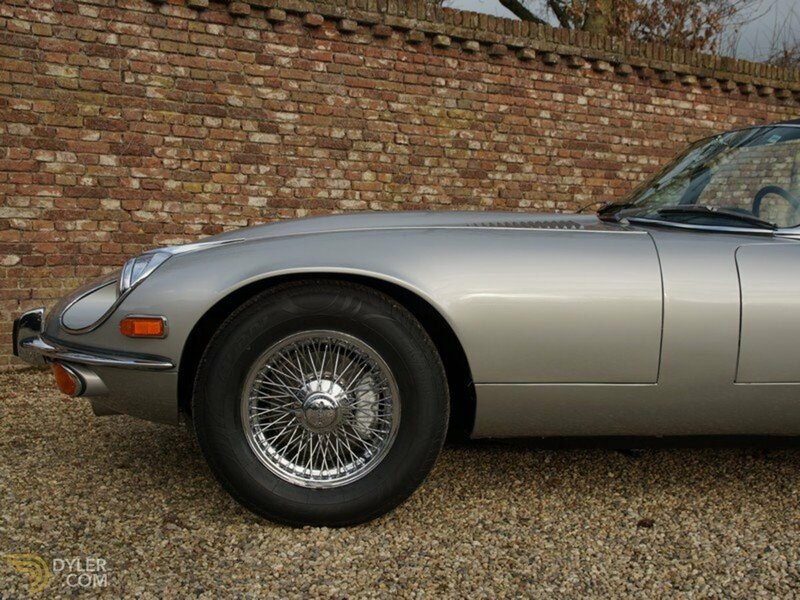 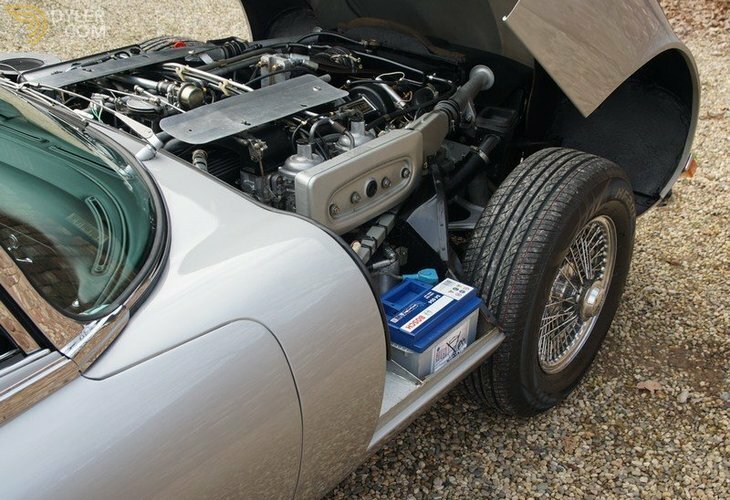 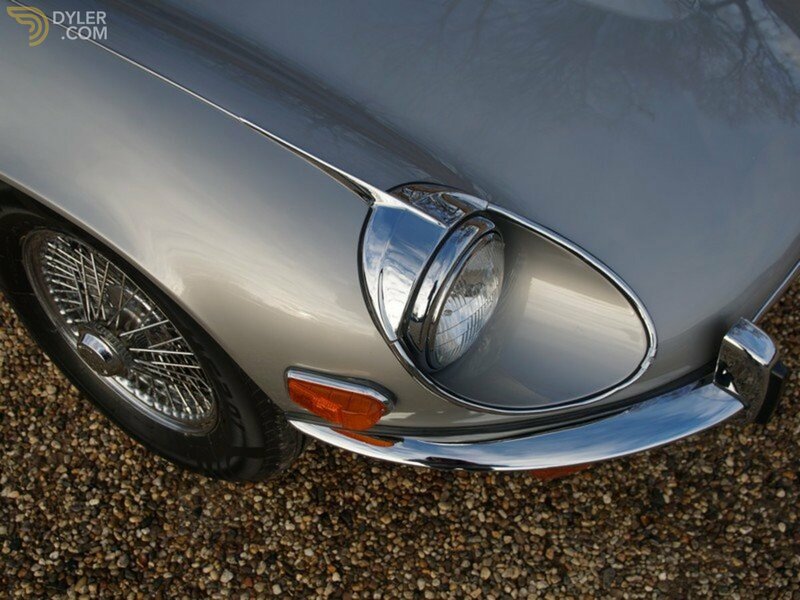 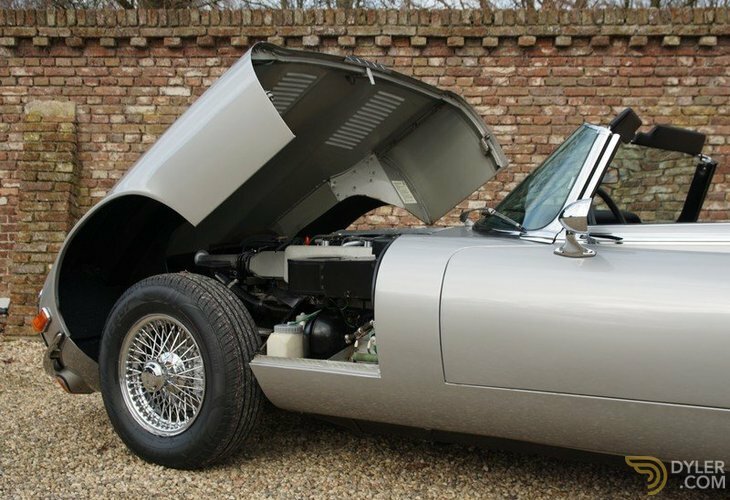 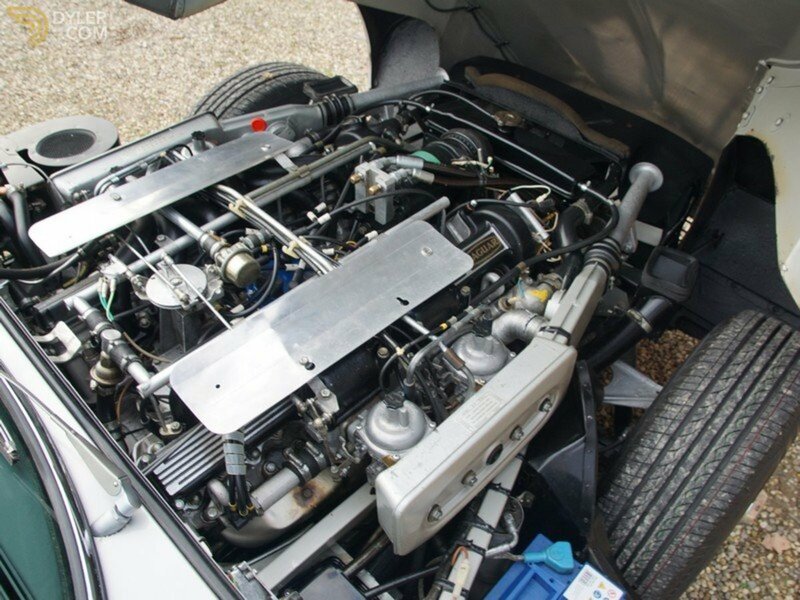 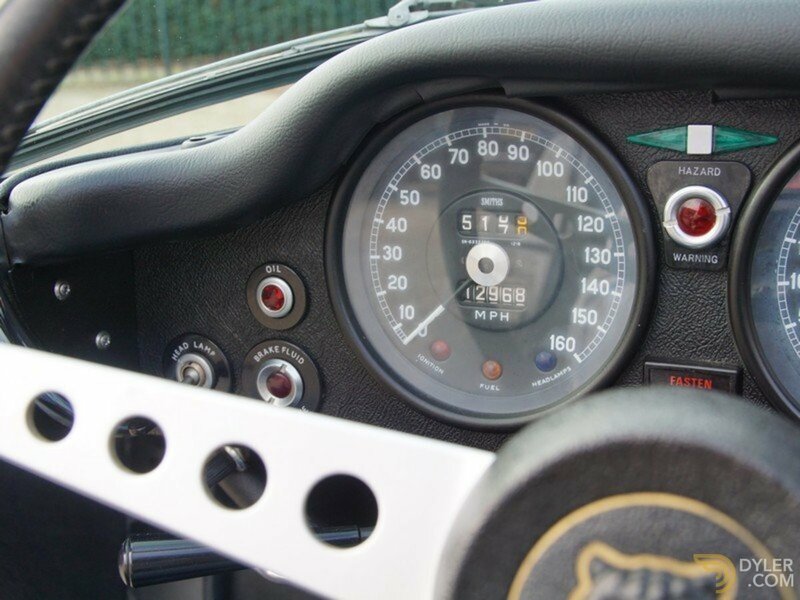 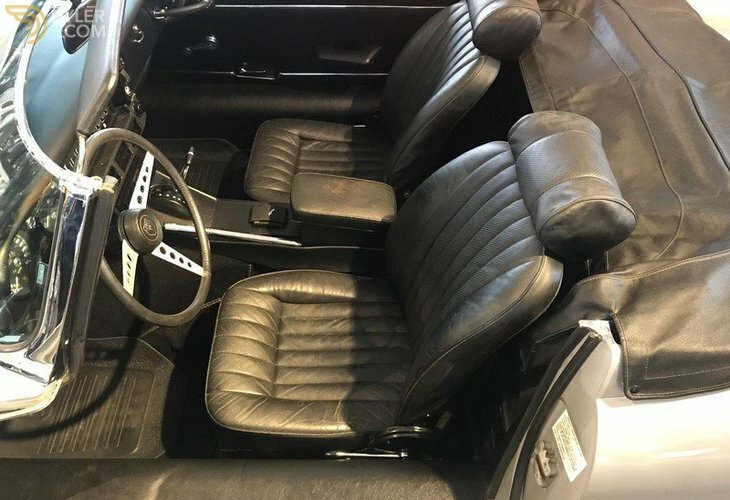 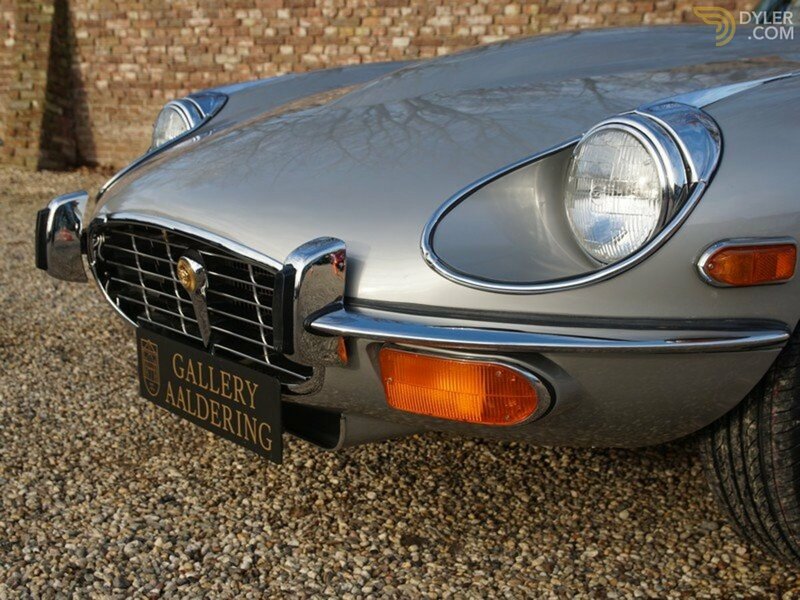 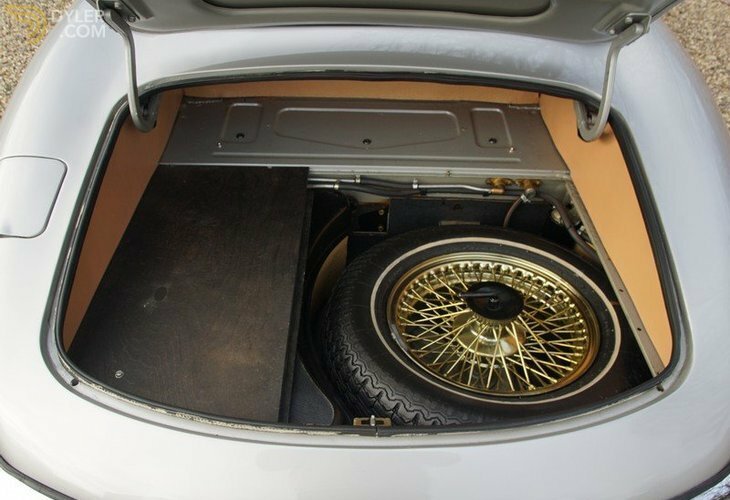 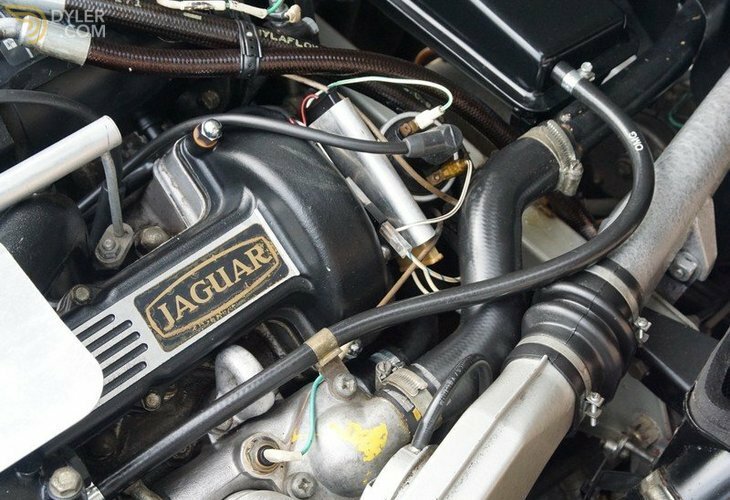 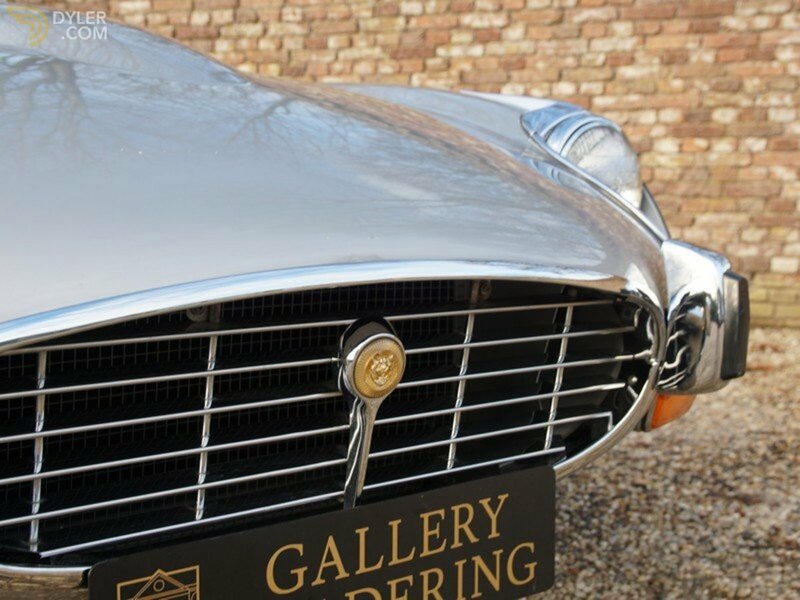 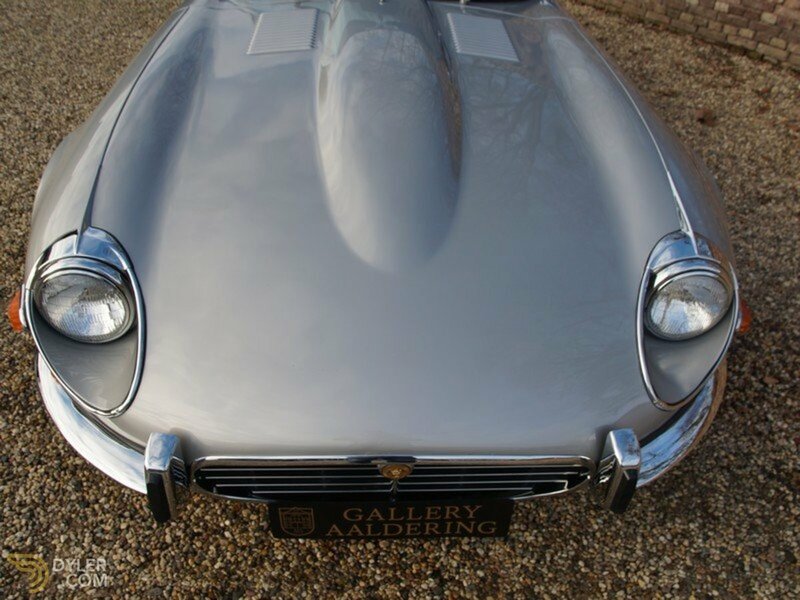 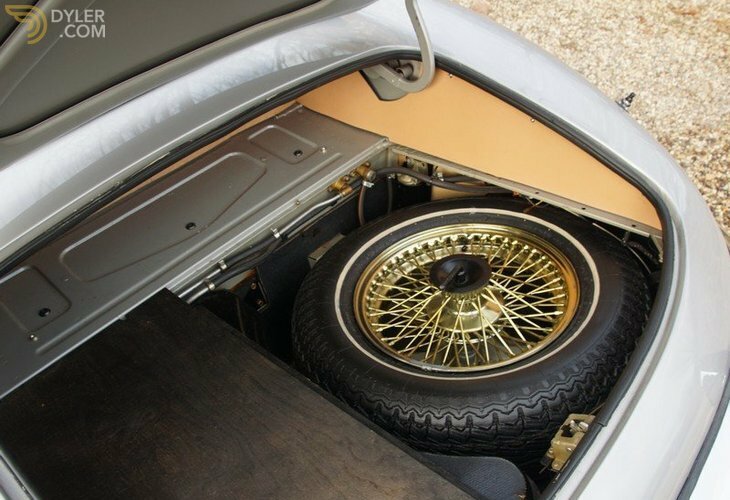 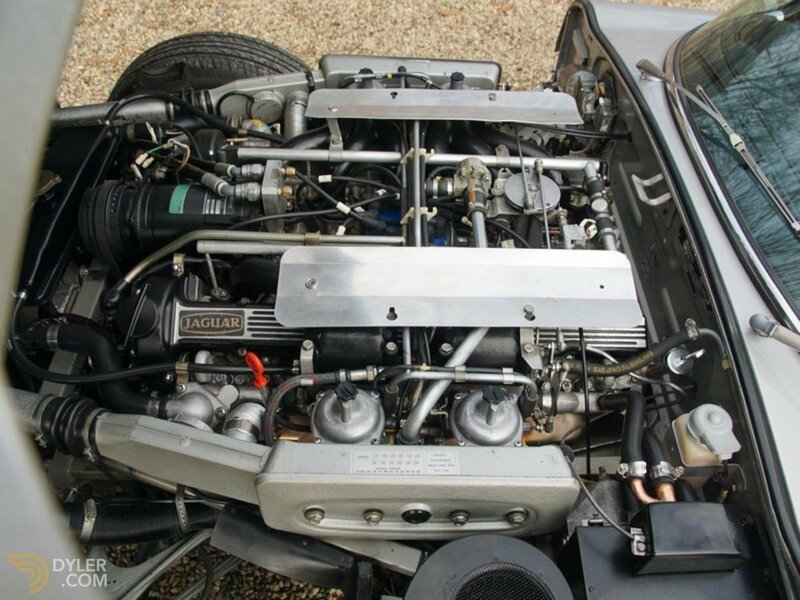 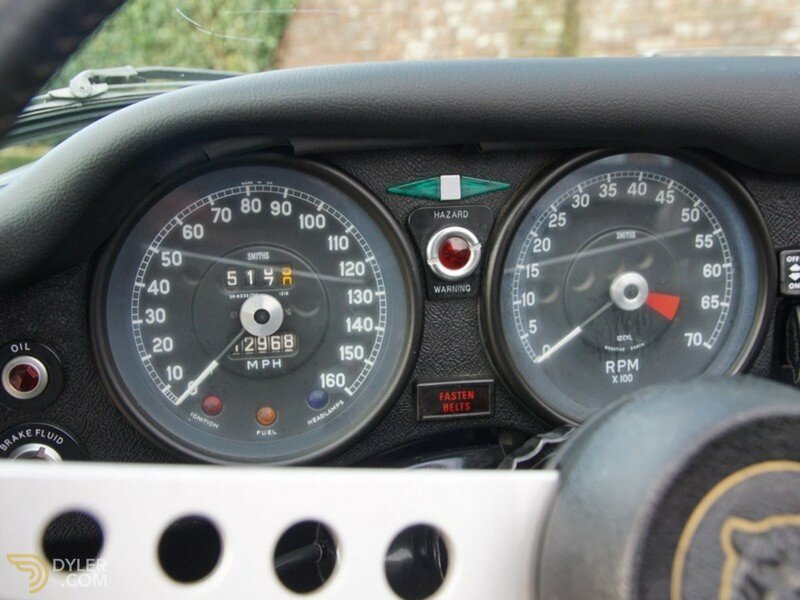 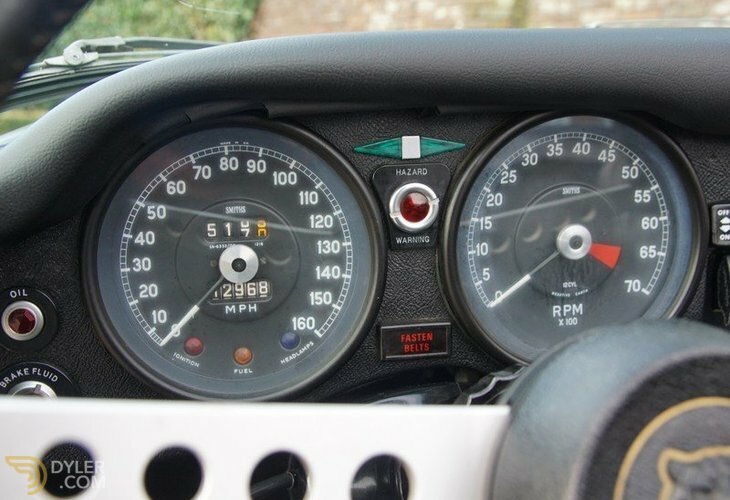 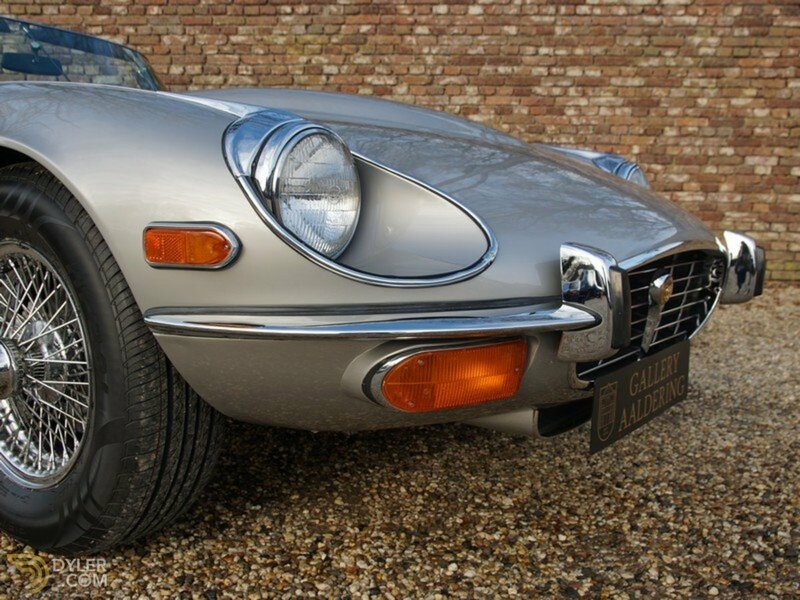 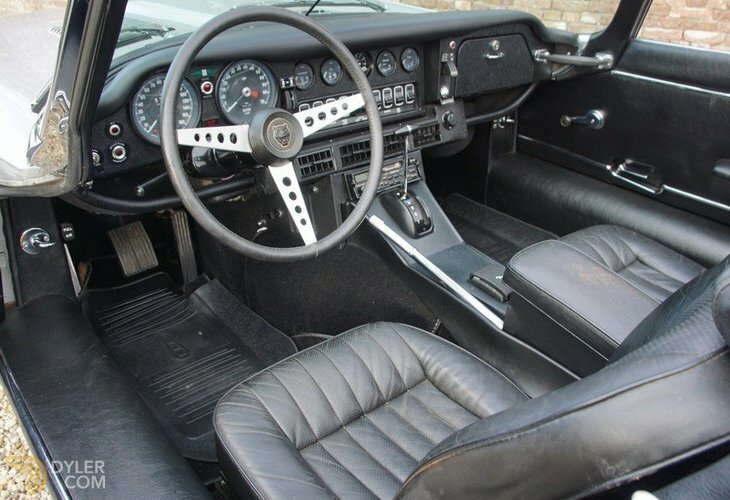 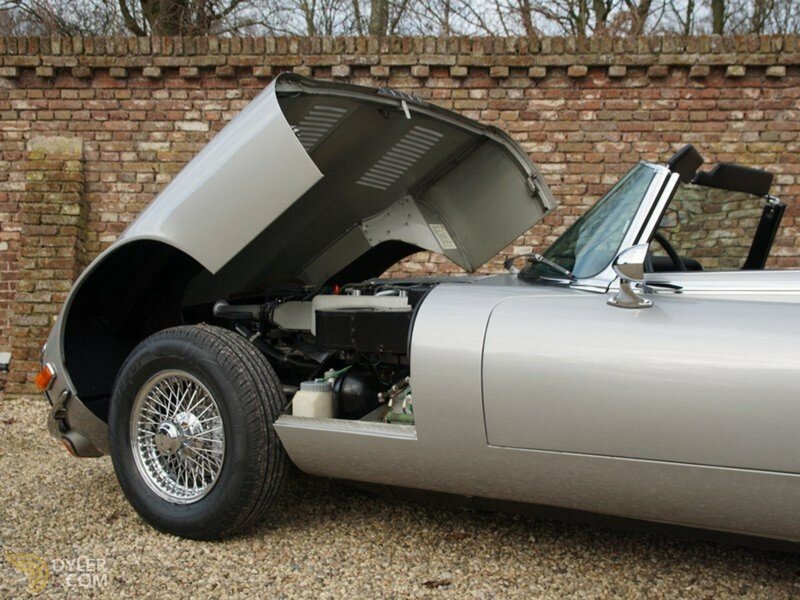 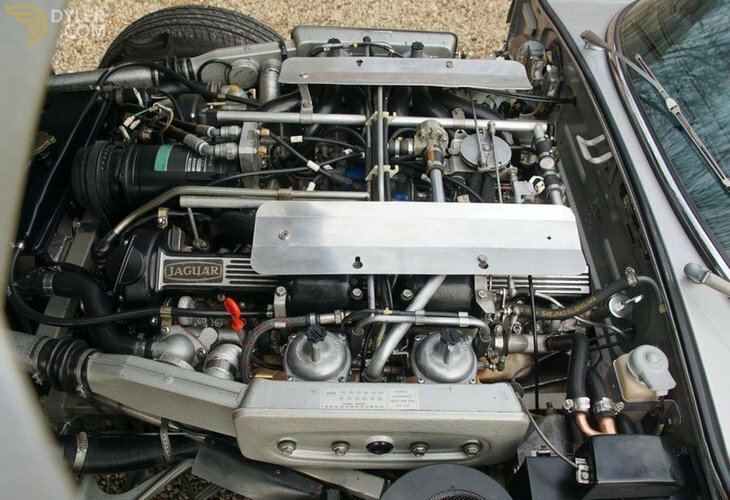 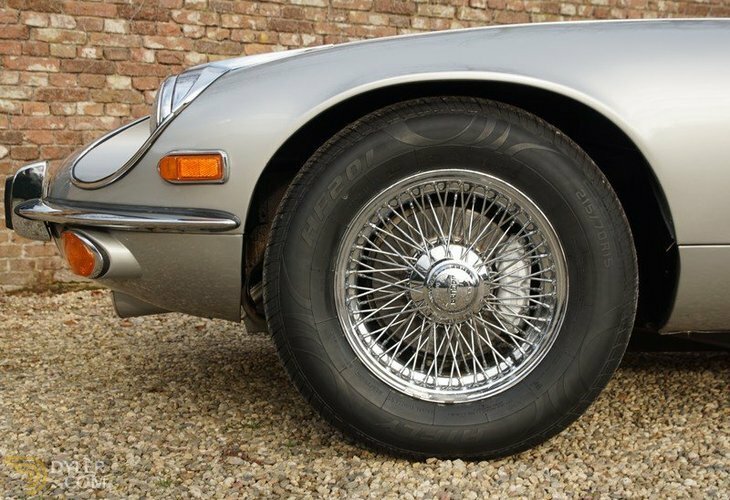 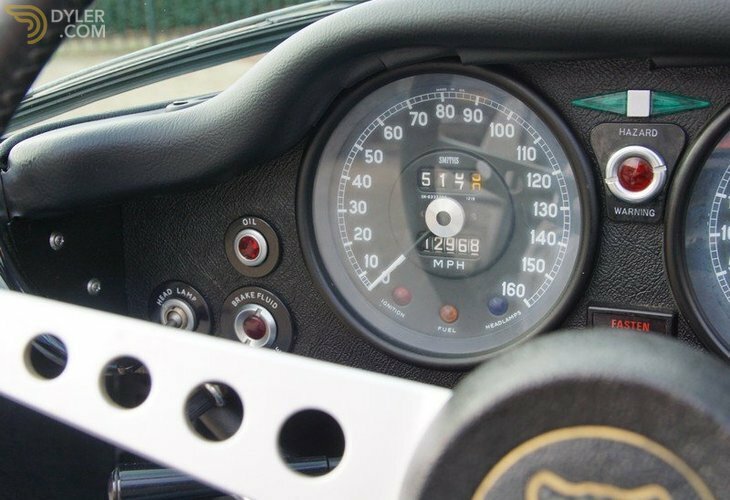 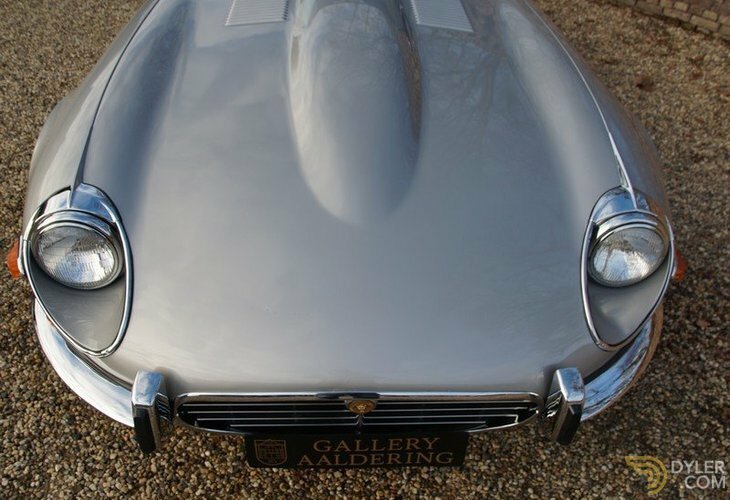 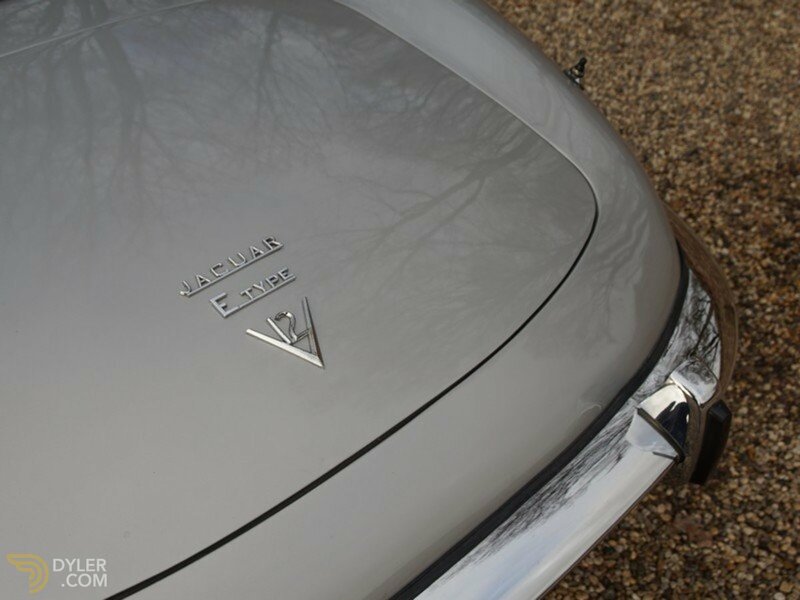 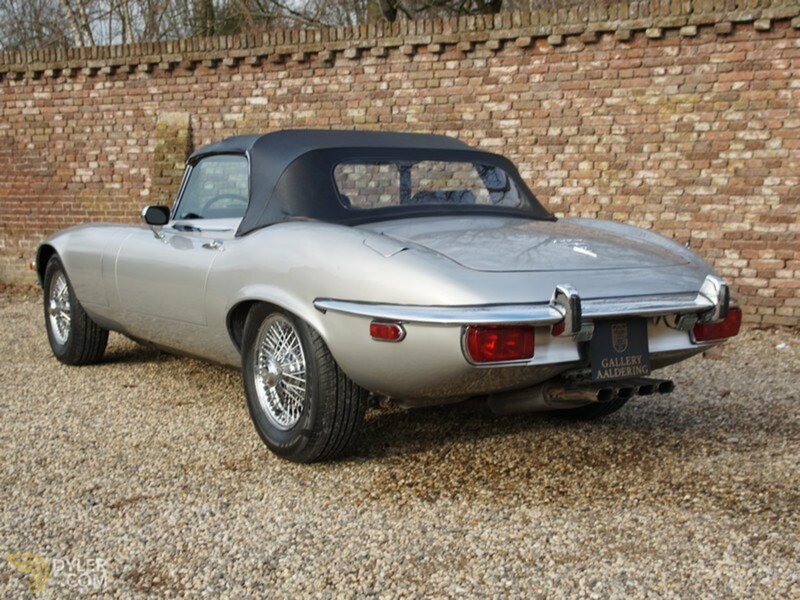 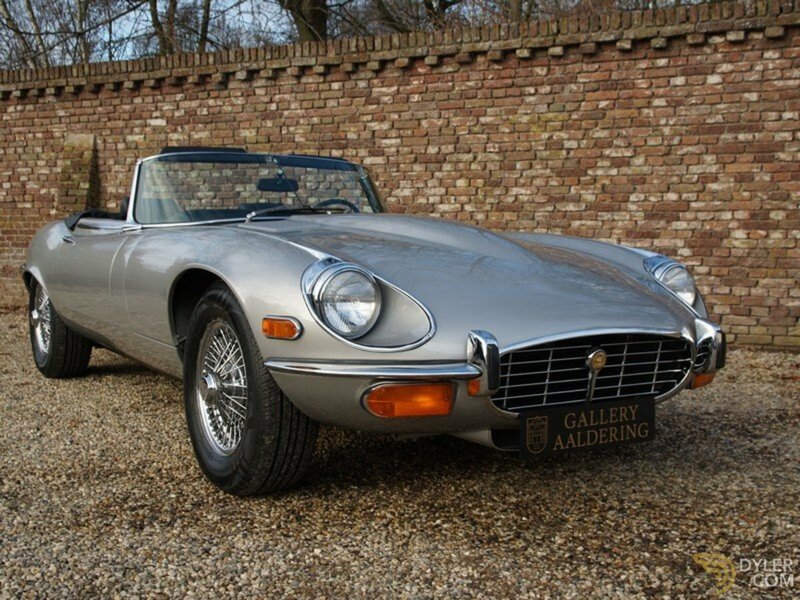 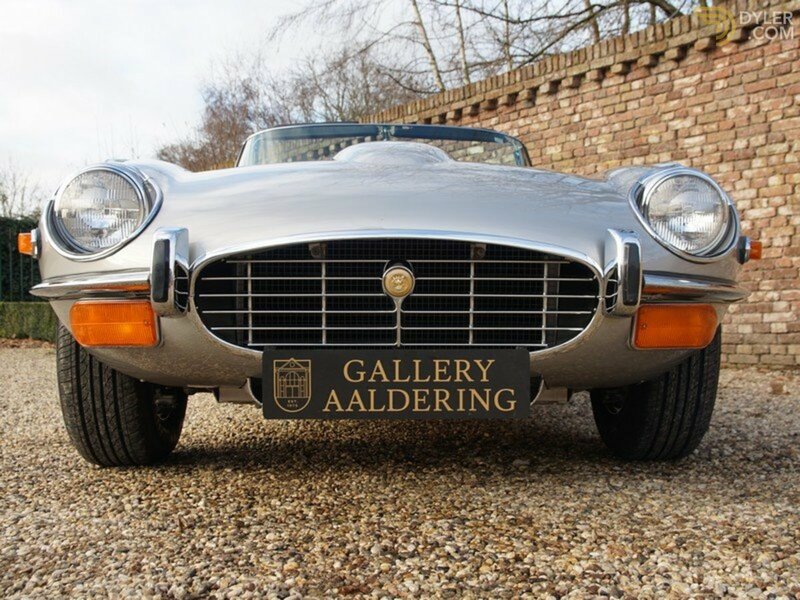 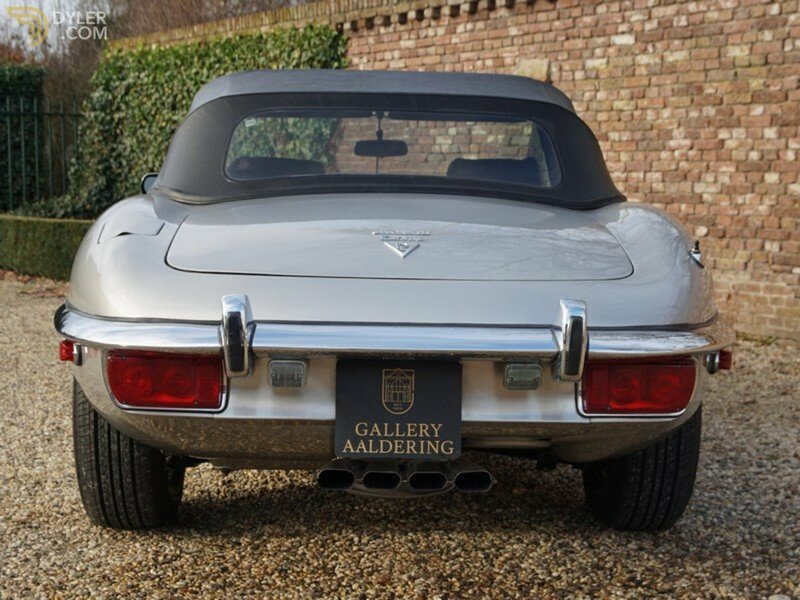 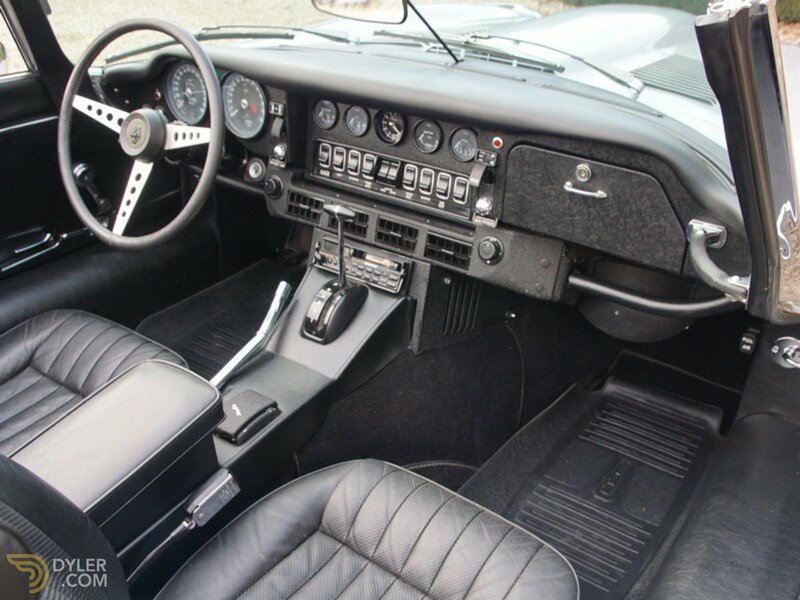 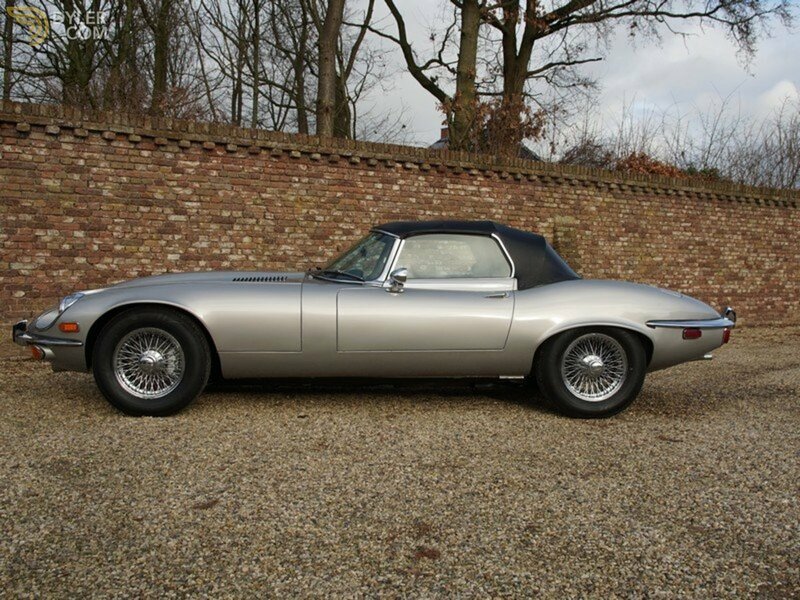 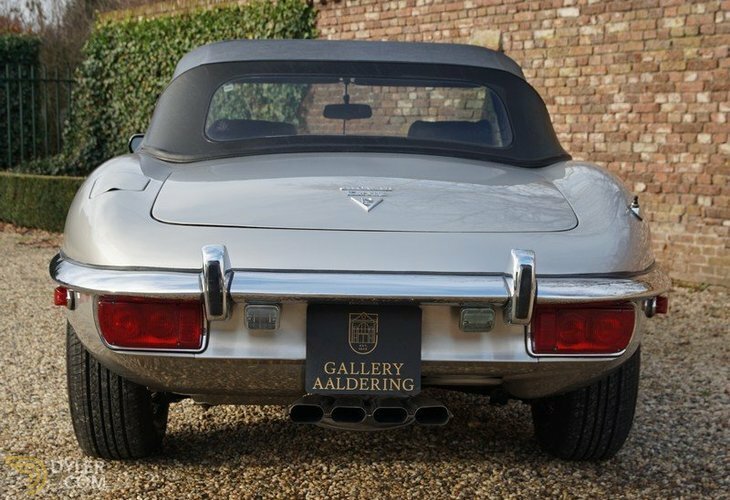 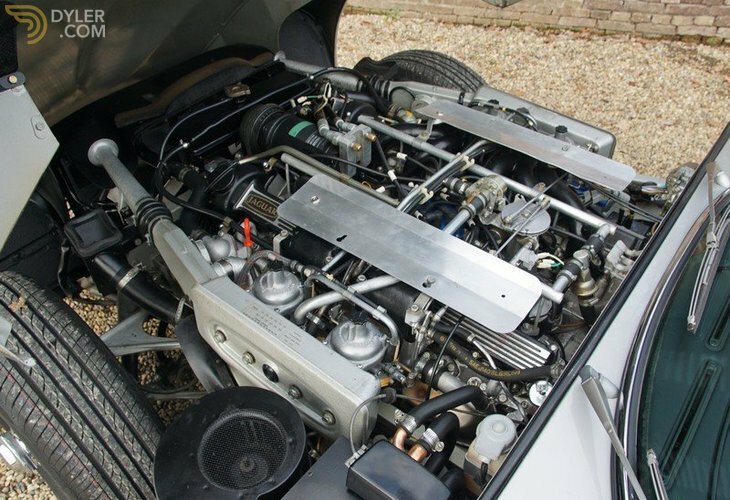 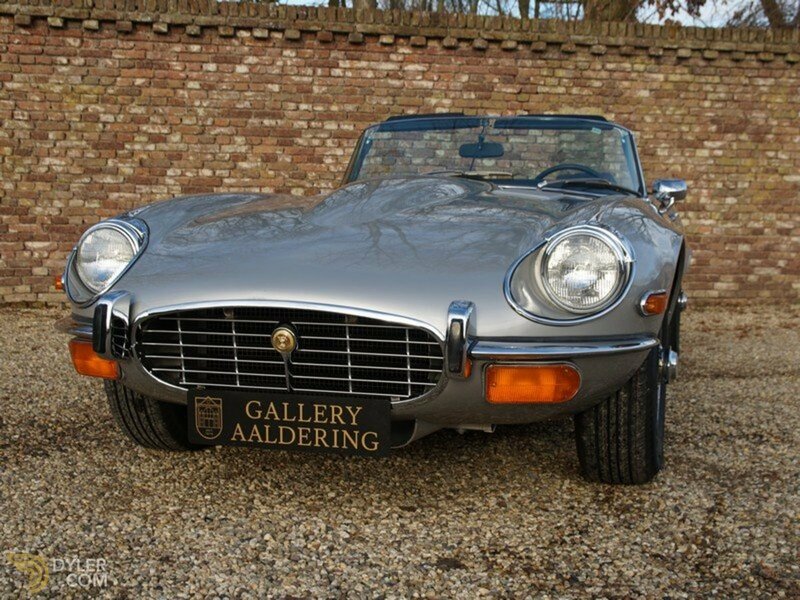 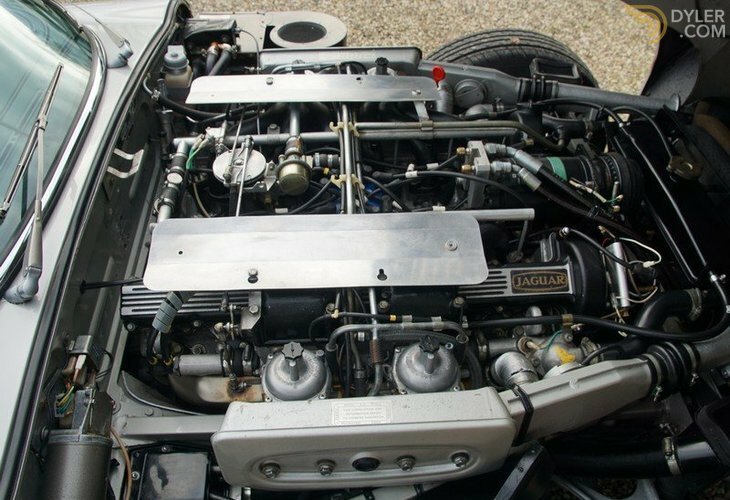 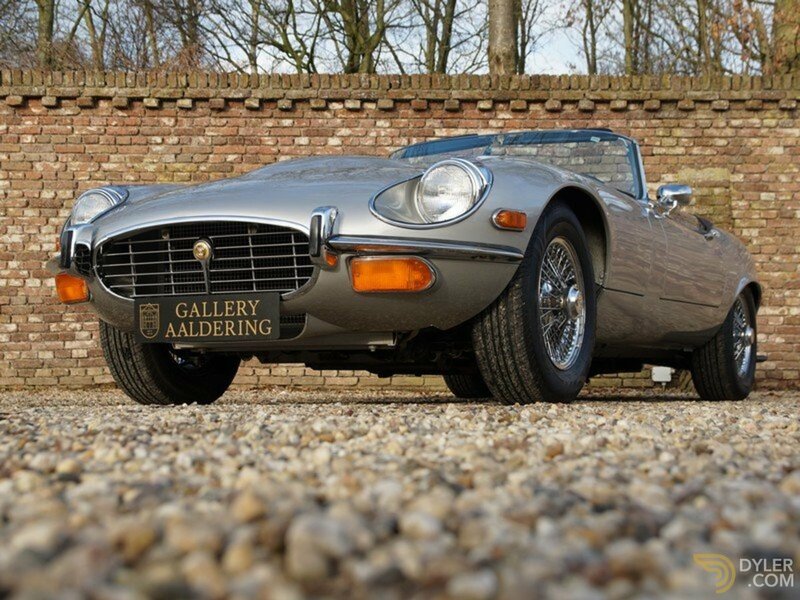 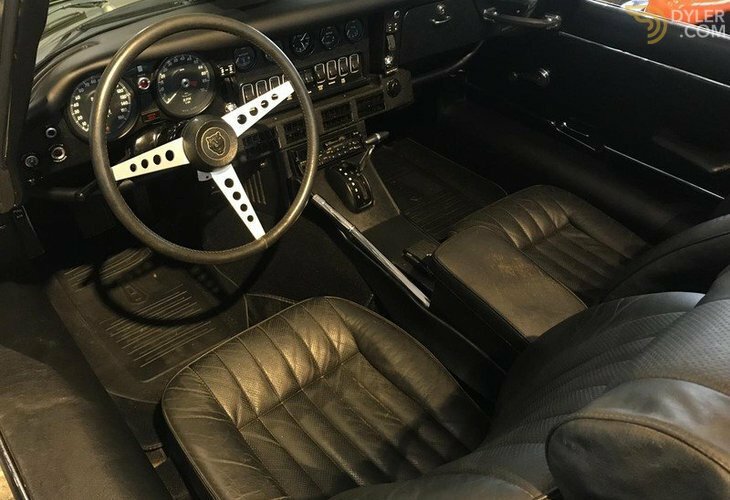 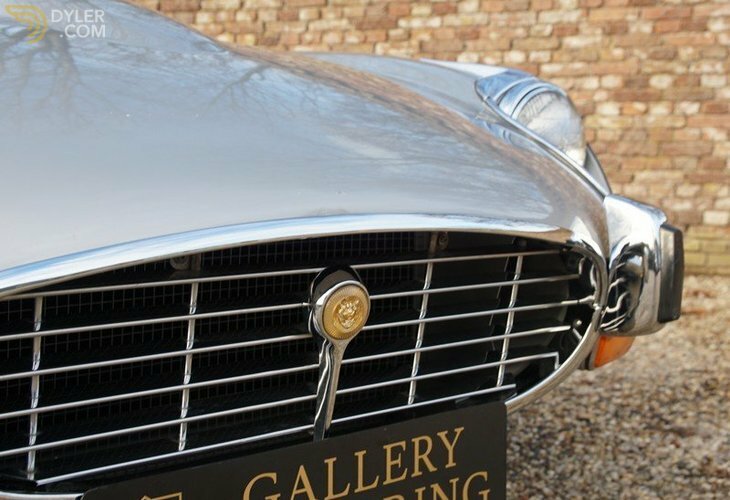 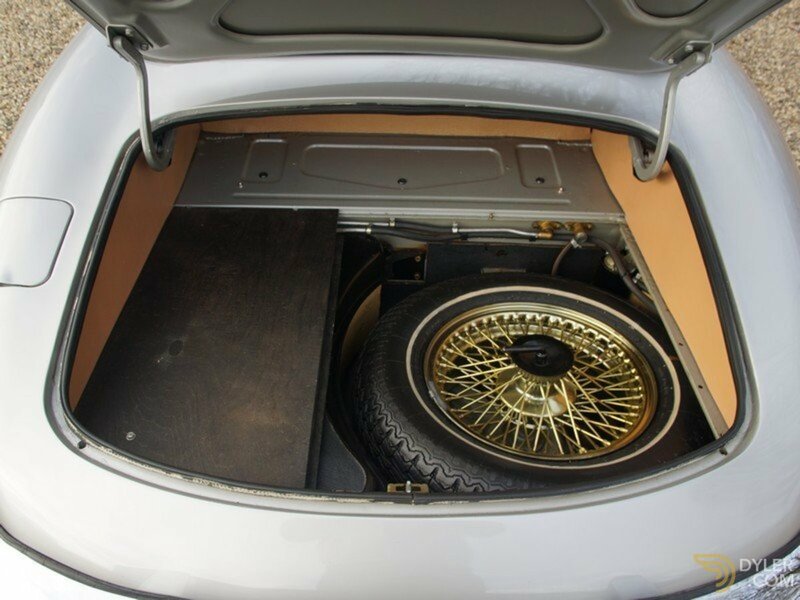 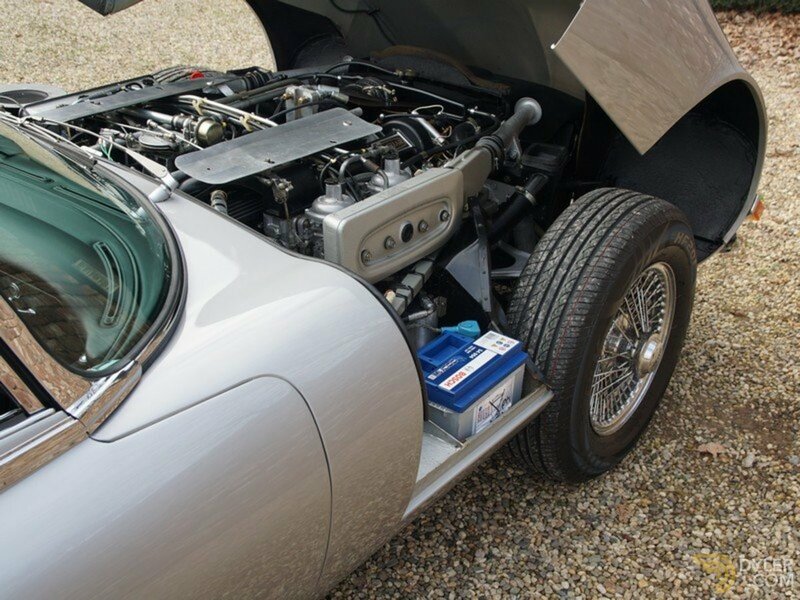 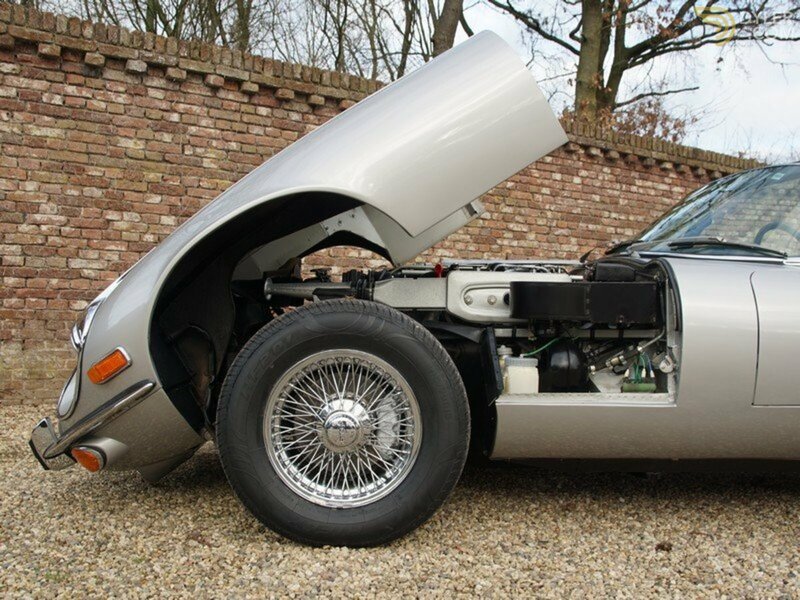 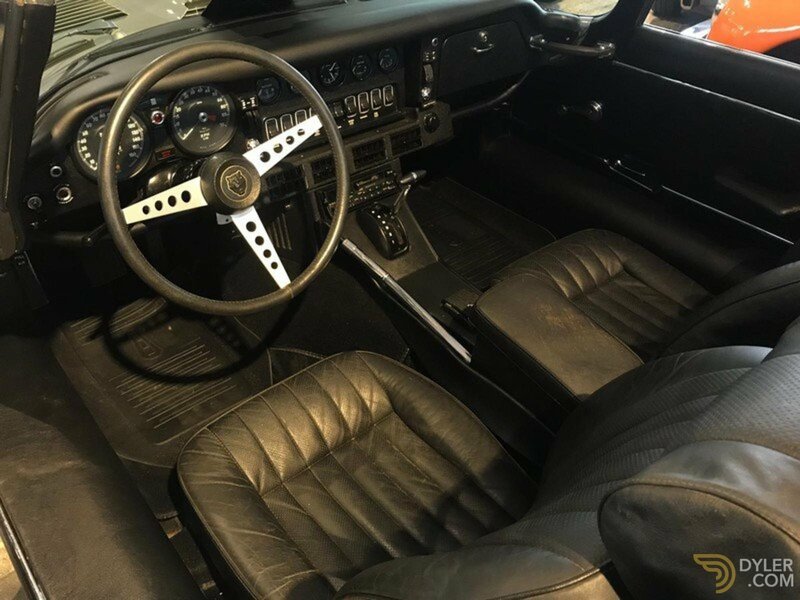 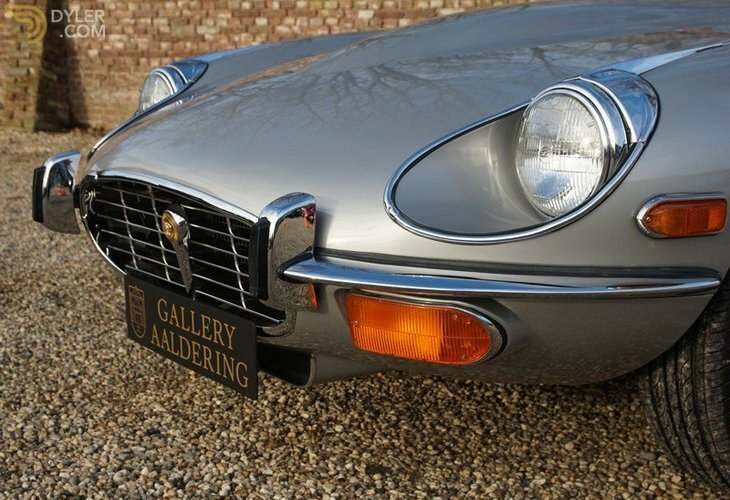 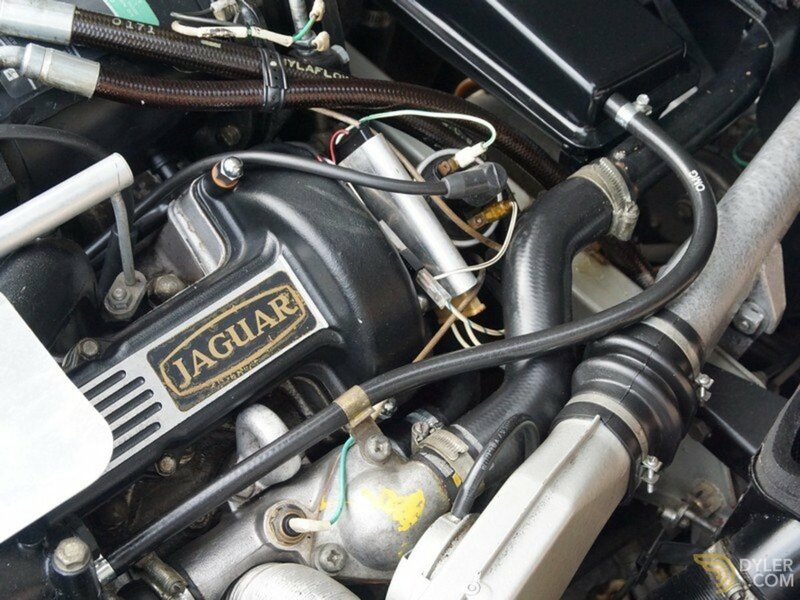 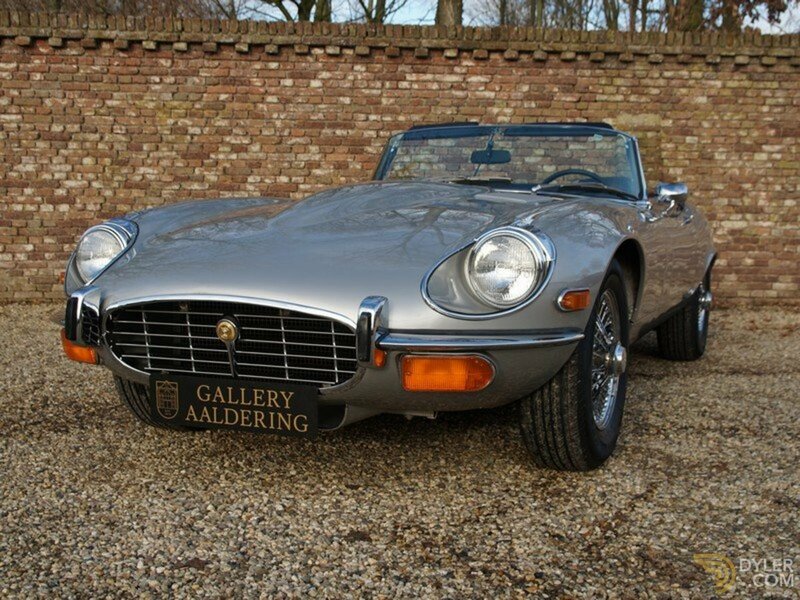 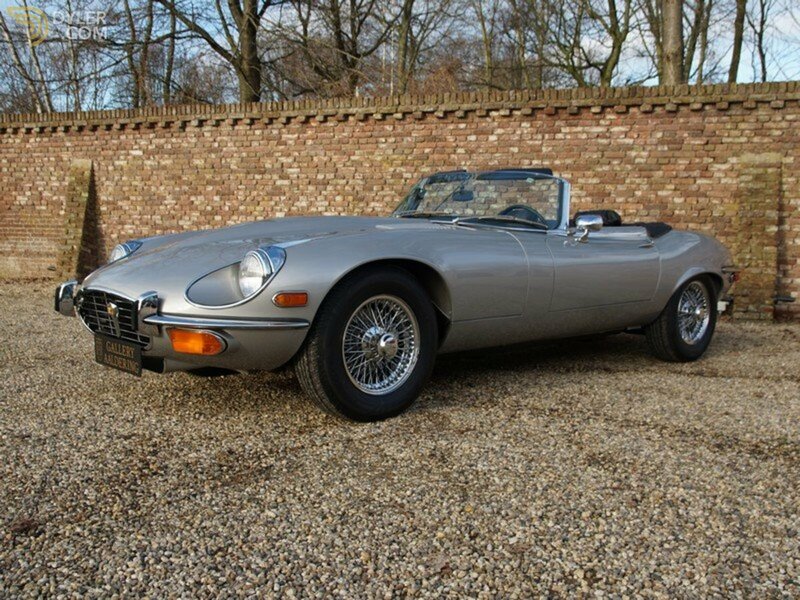 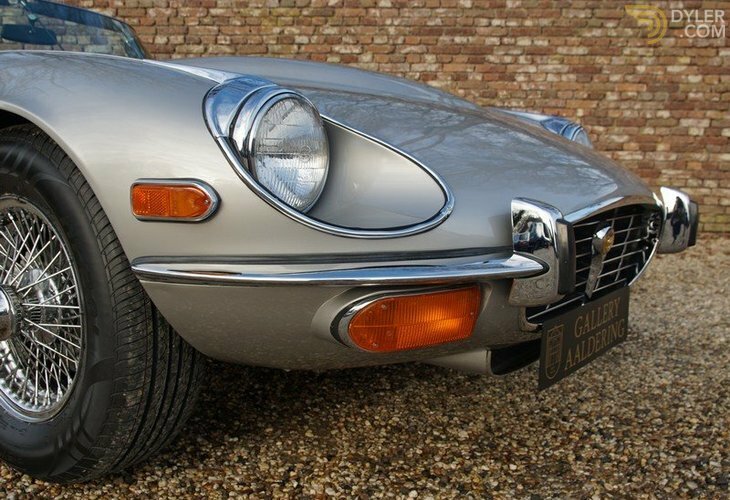 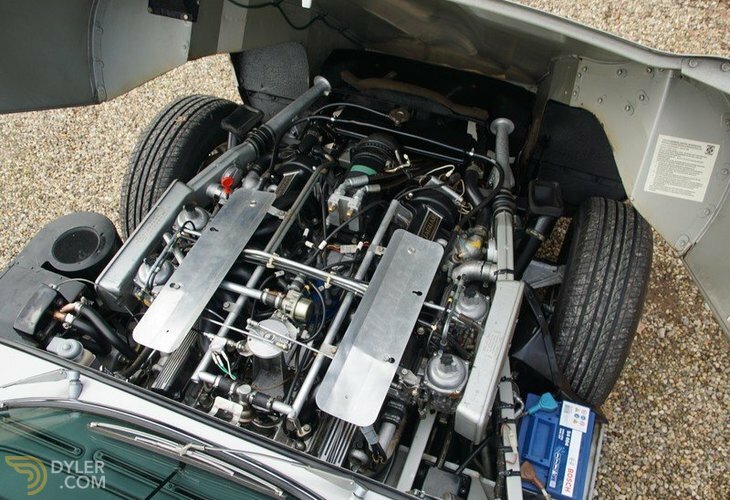 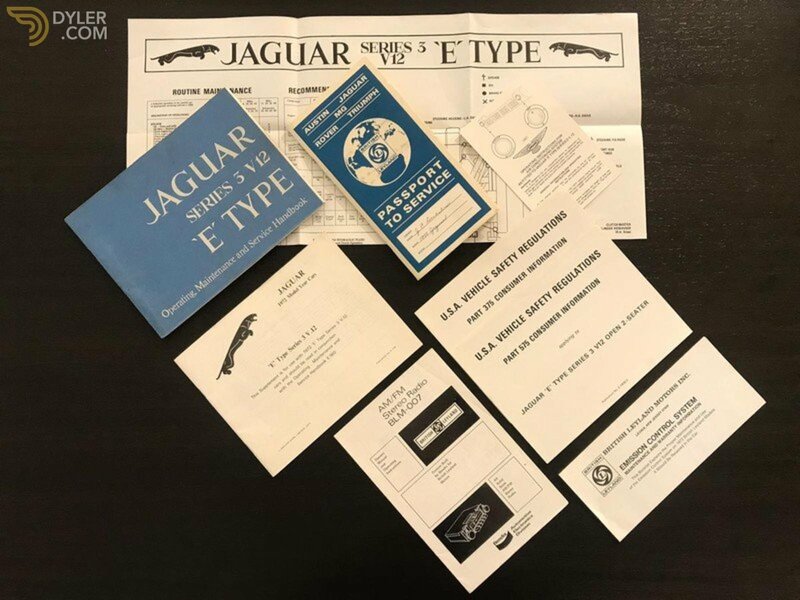 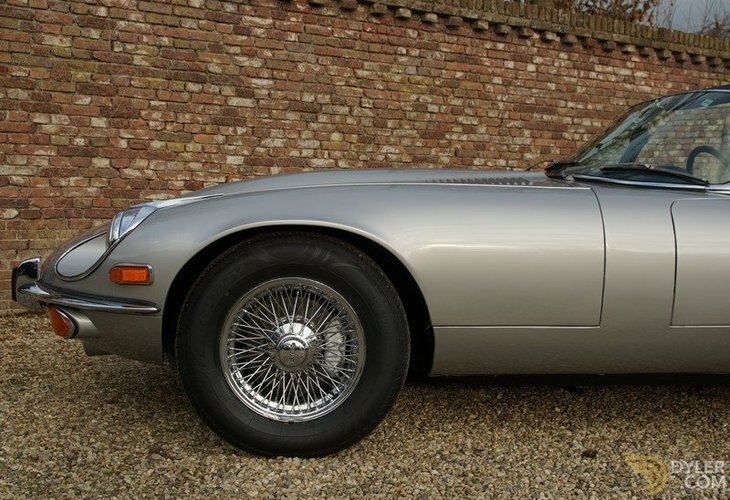 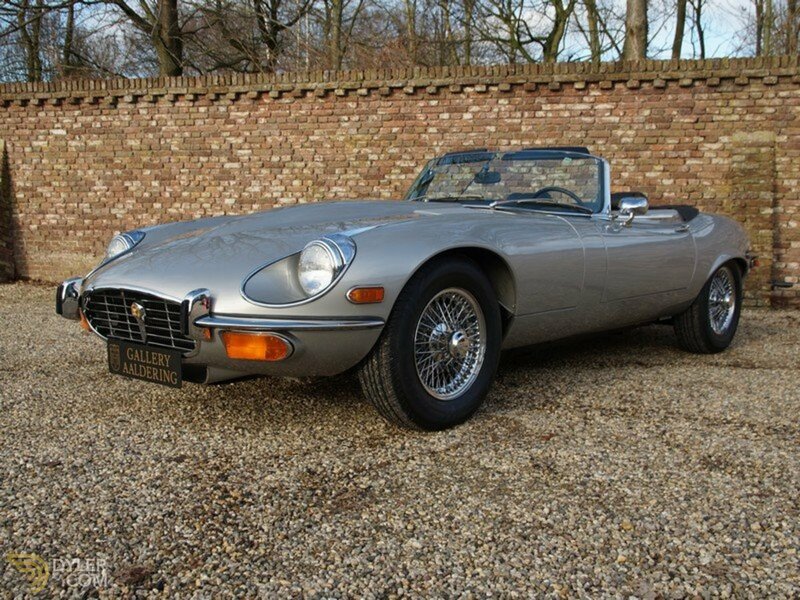 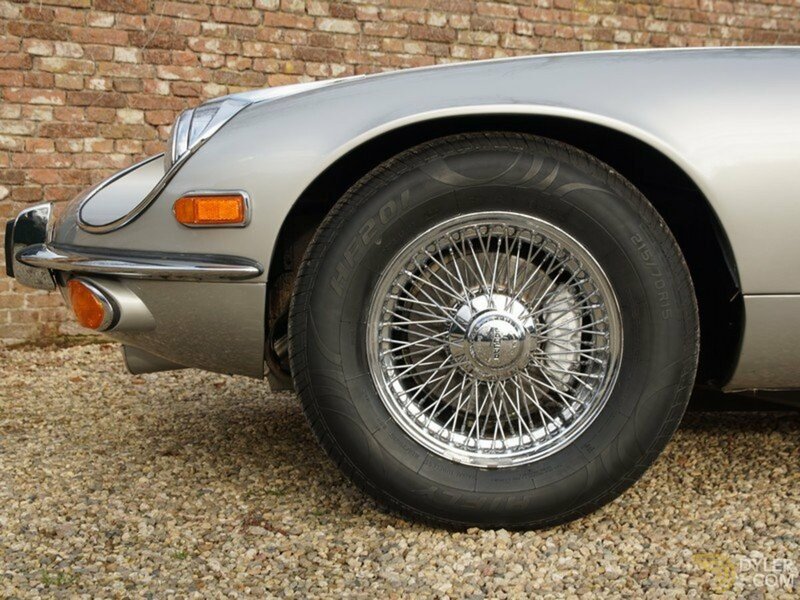 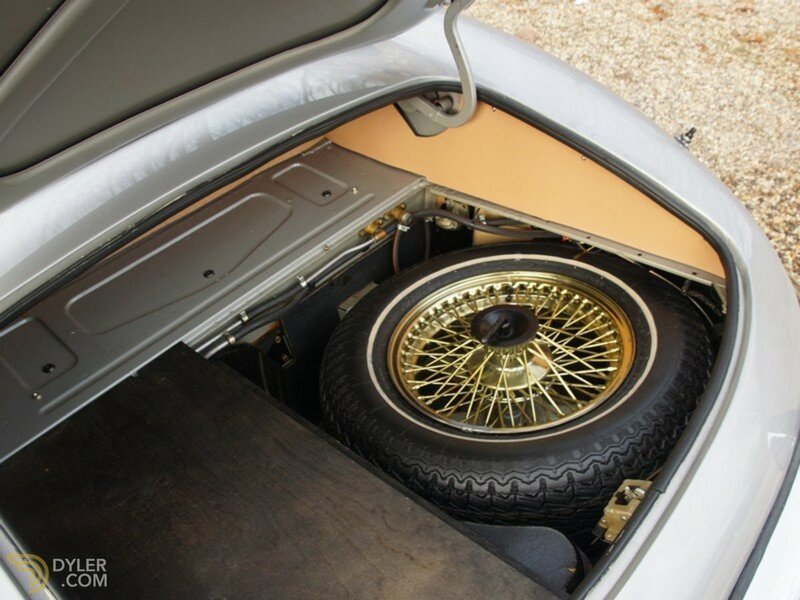 A pristine E-Type V12 complete with the original documentation!